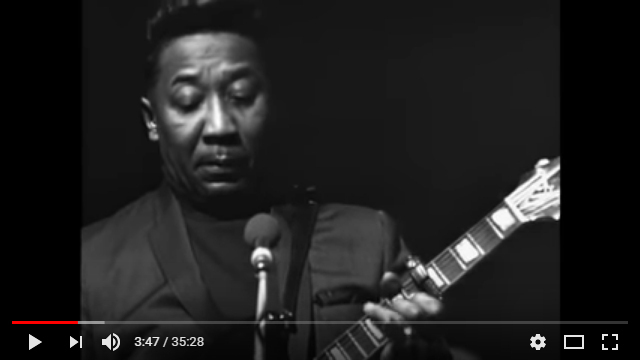 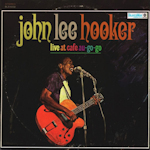 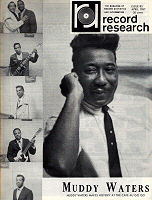 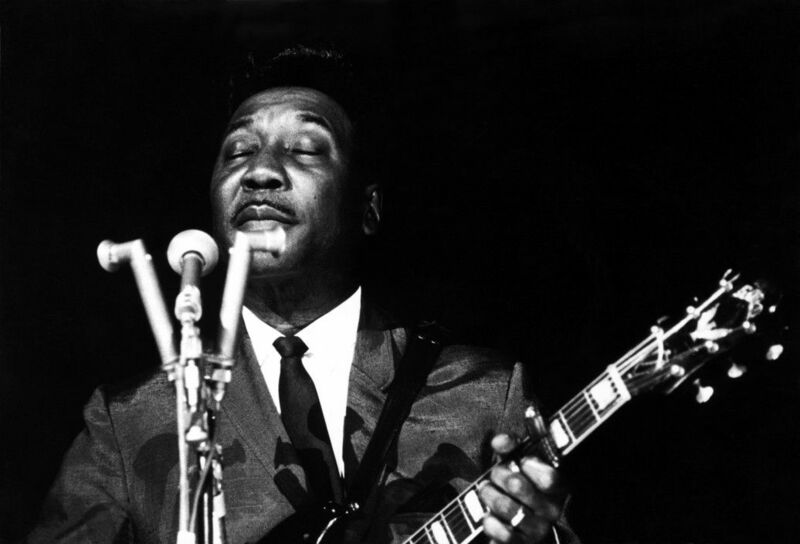 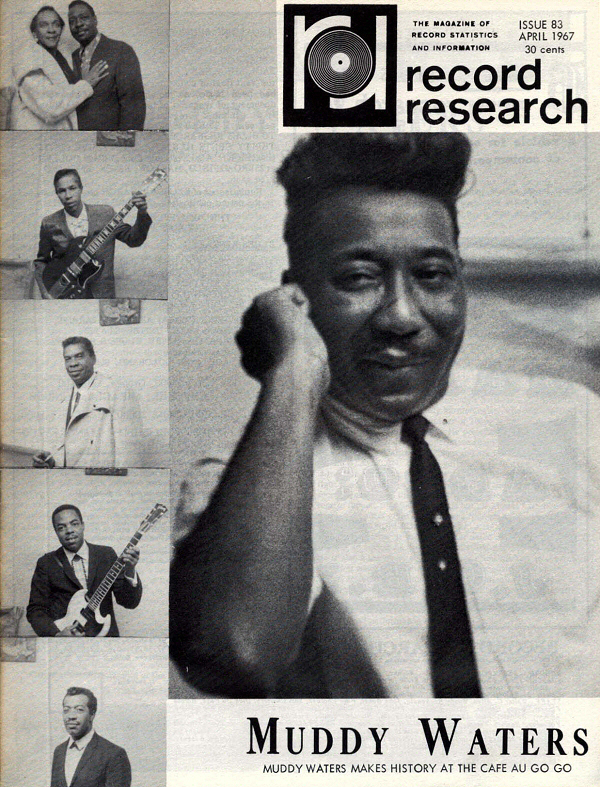 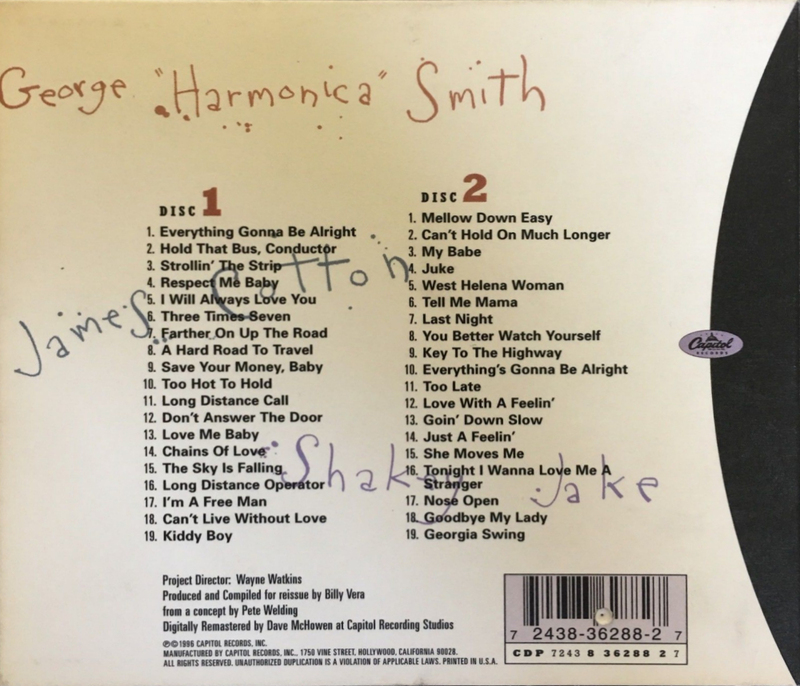 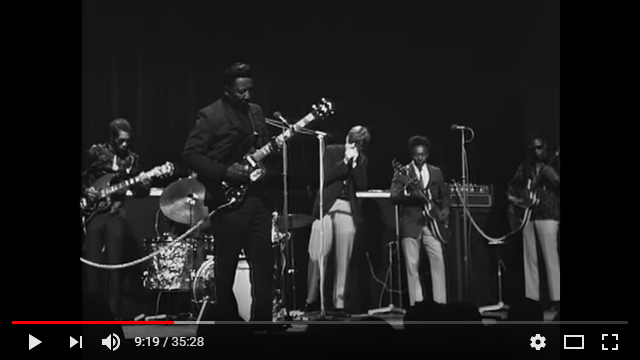 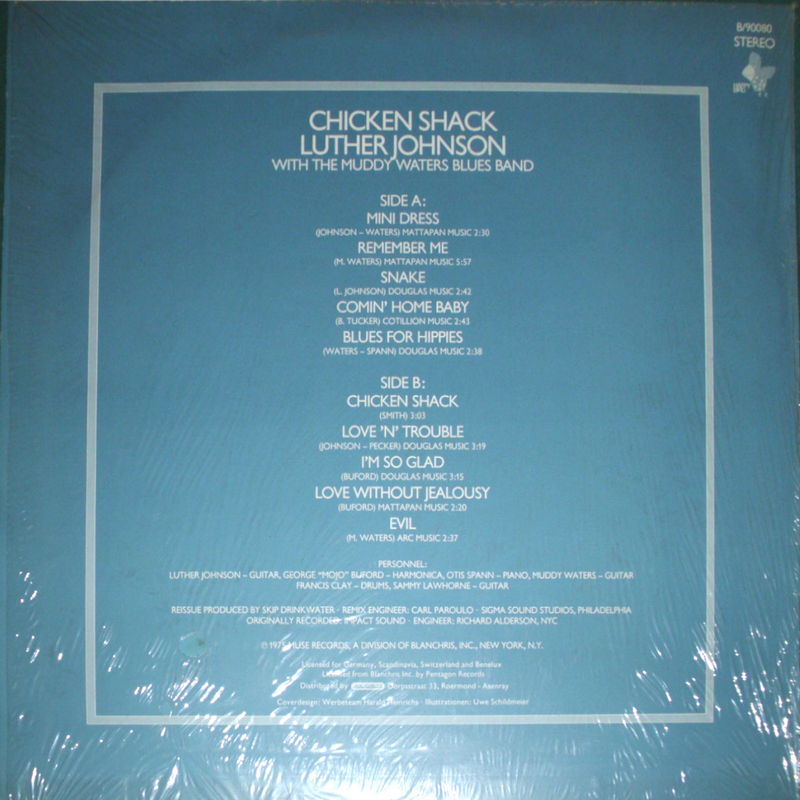 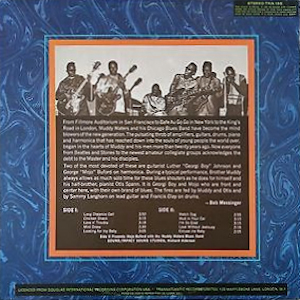 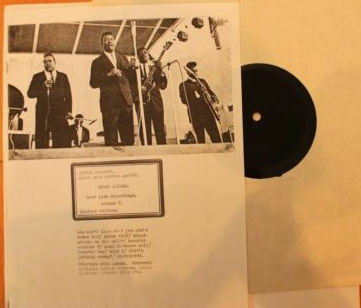 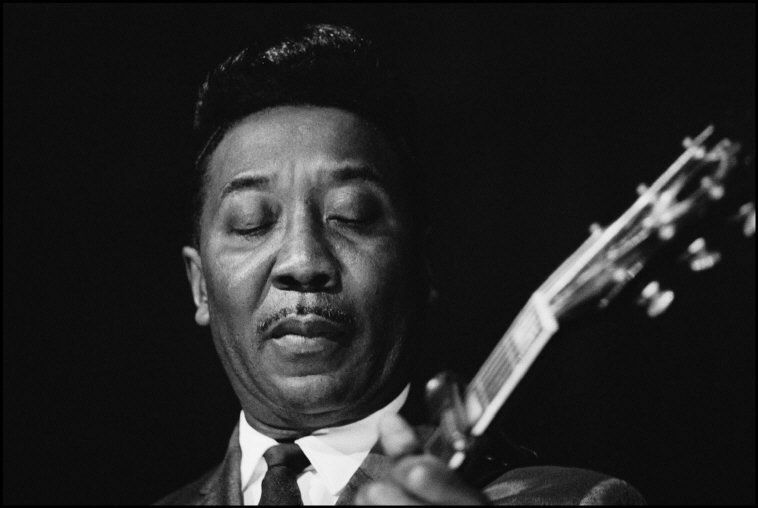 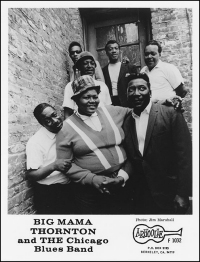 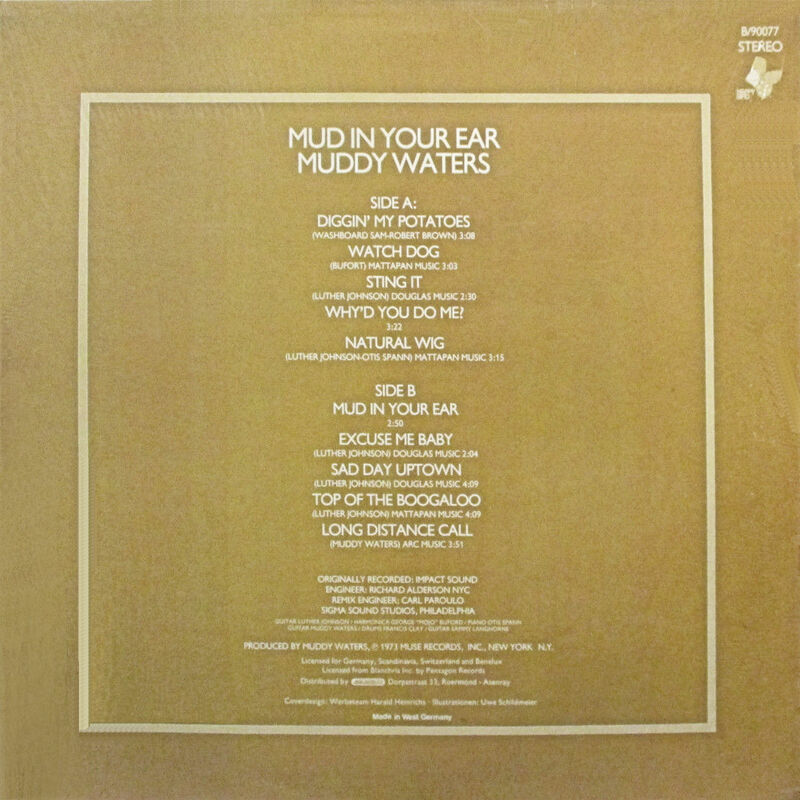 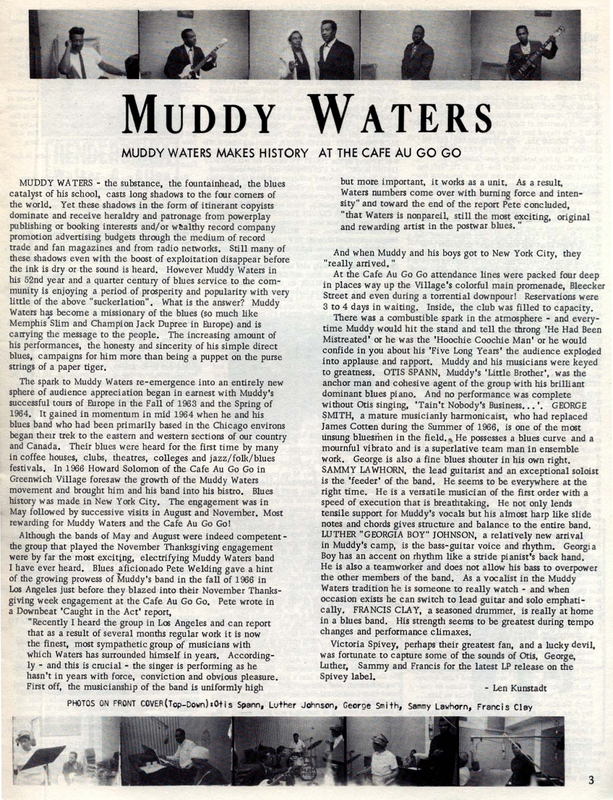 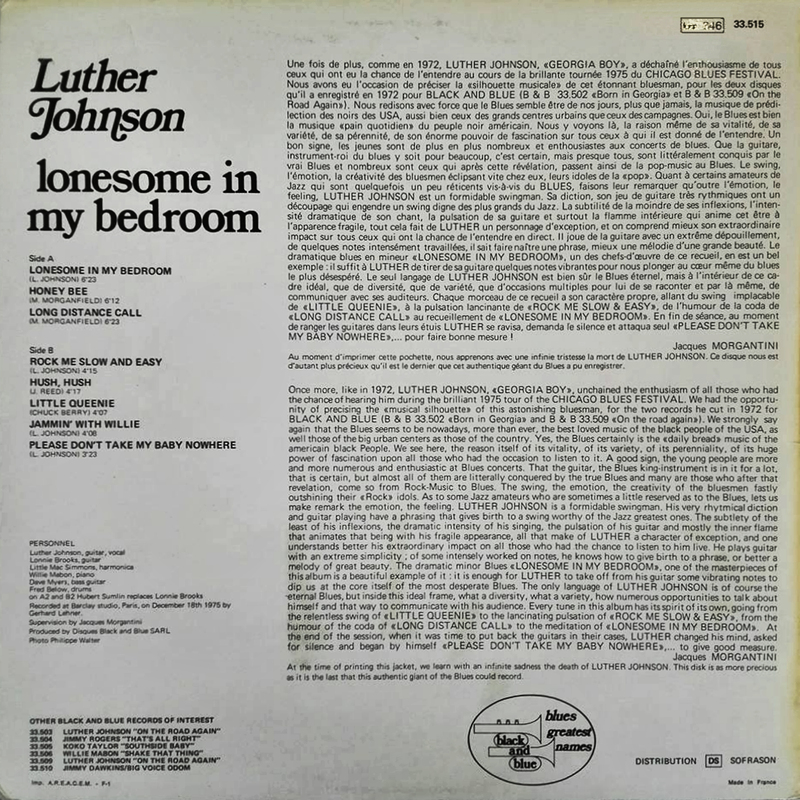 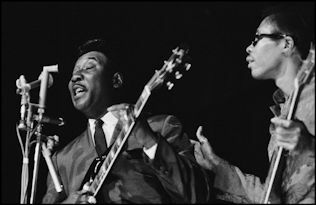 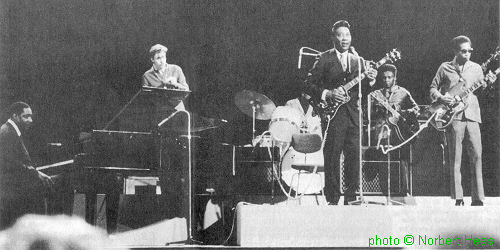 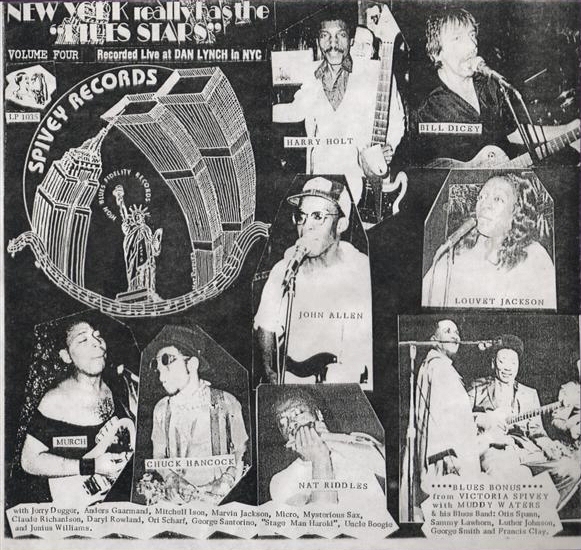 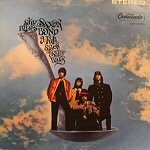 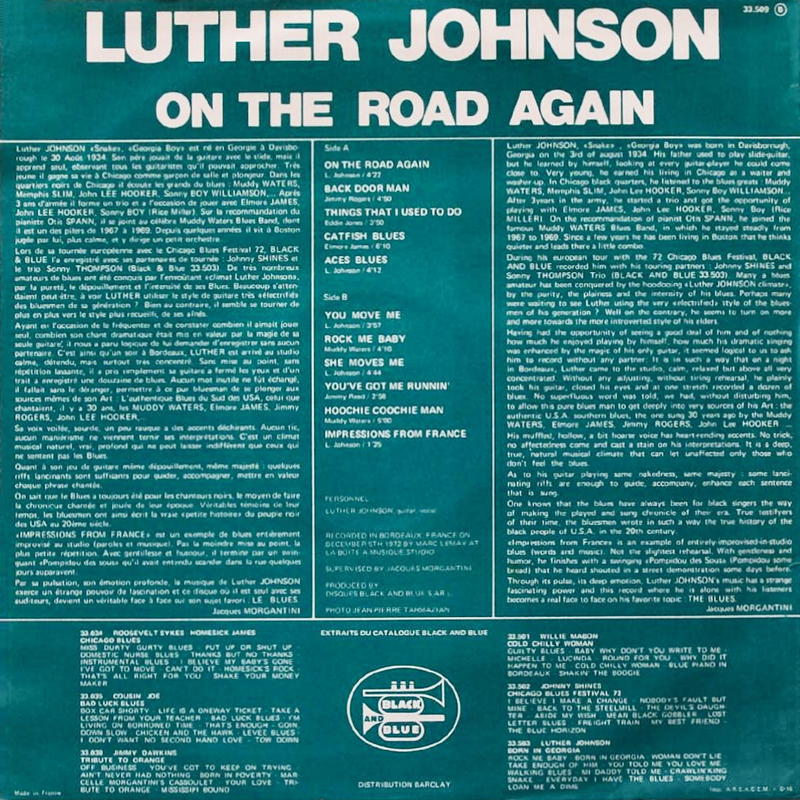 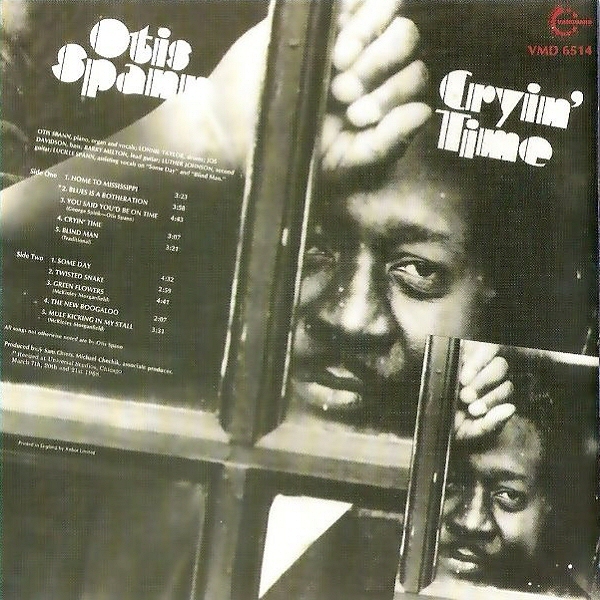 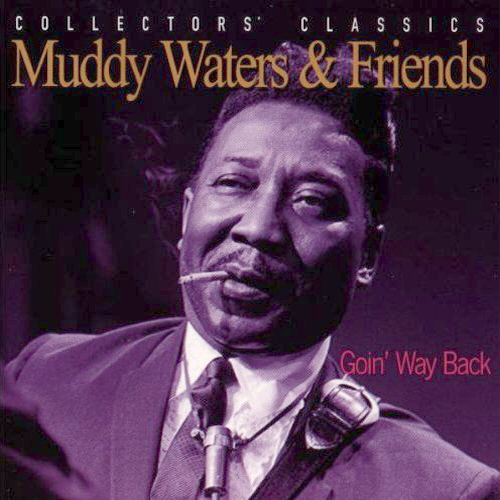 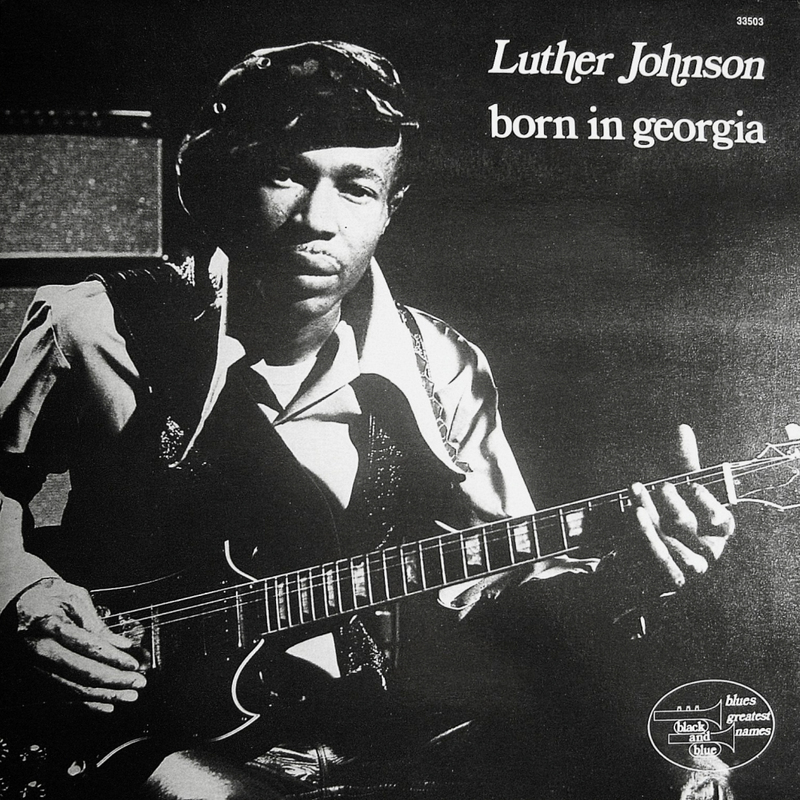 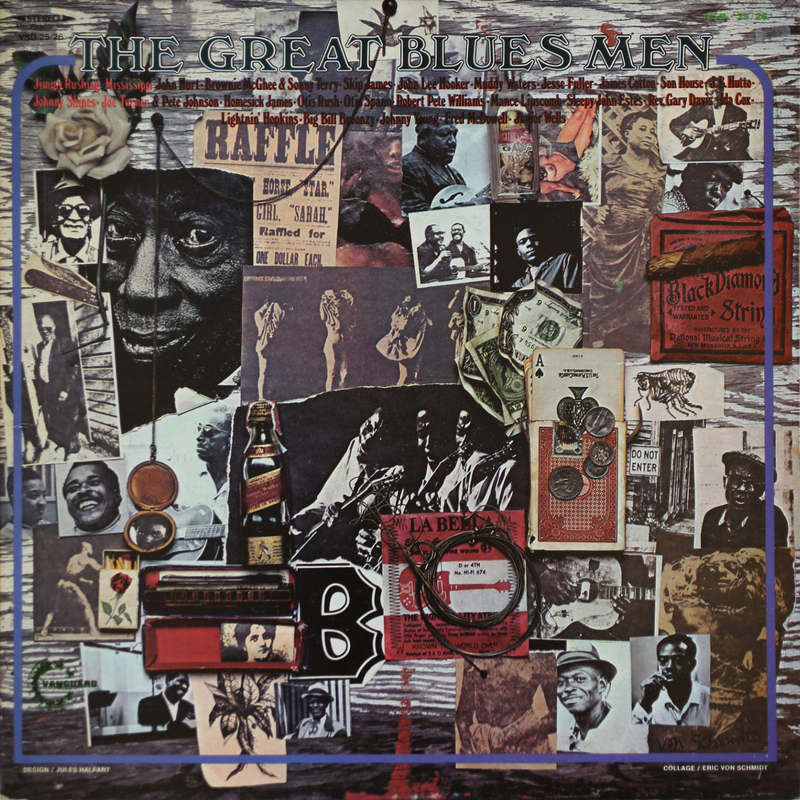 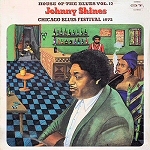 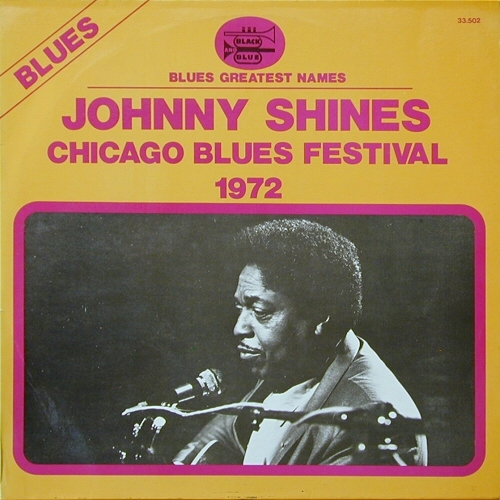 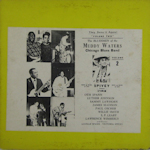 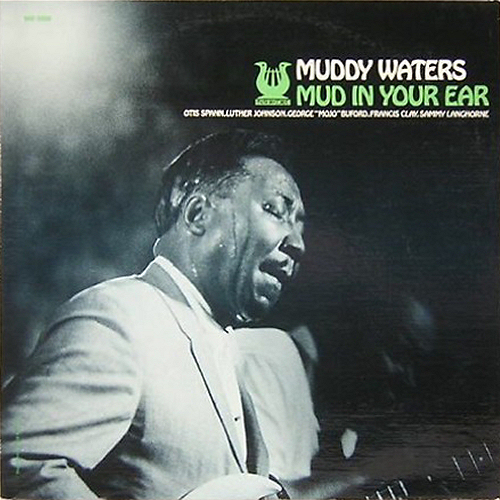 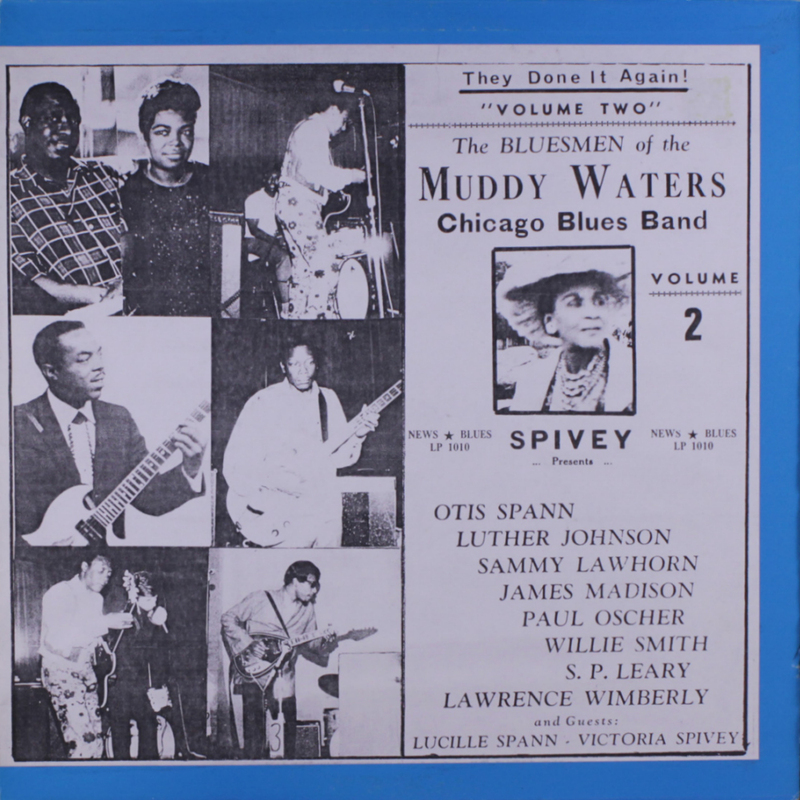 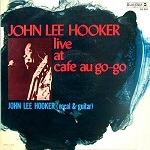 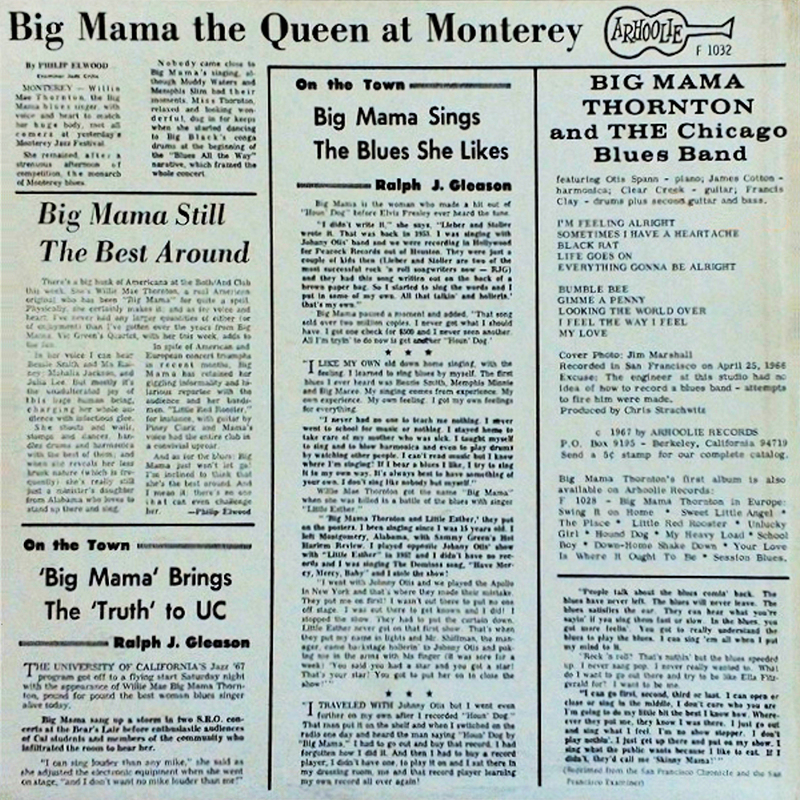 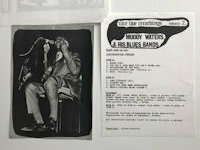 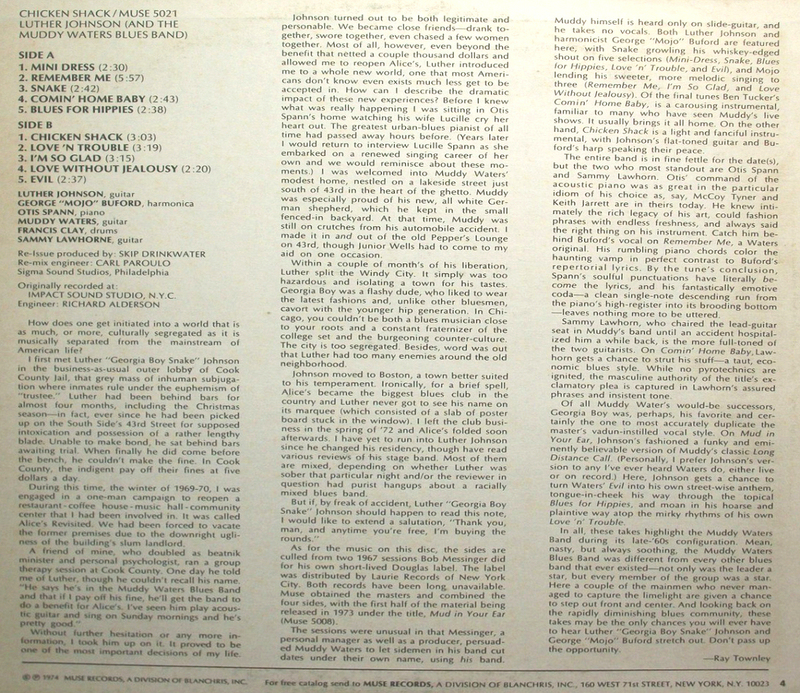 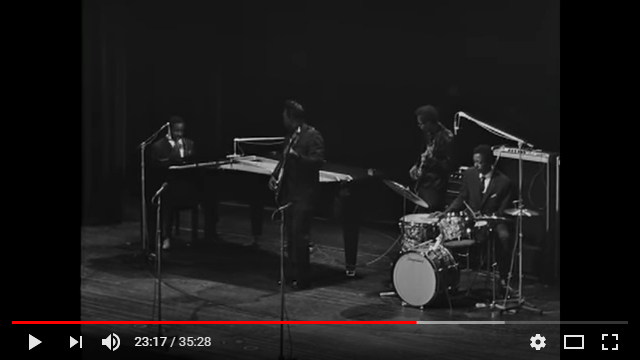 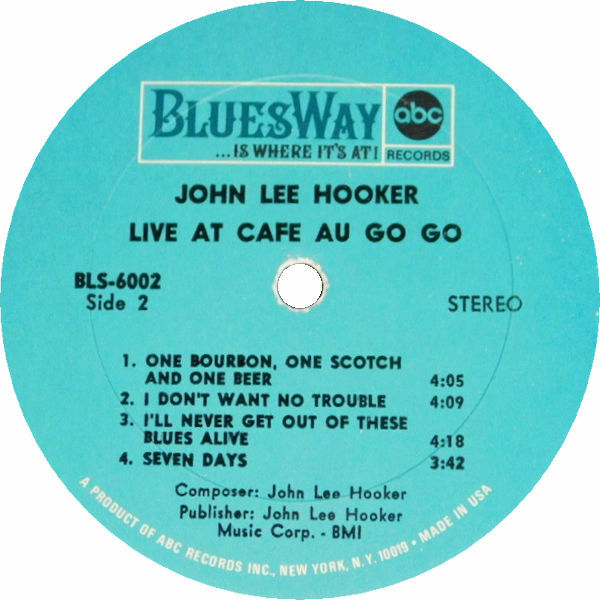 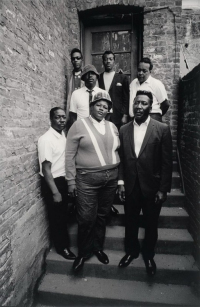 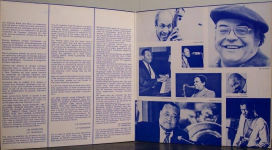 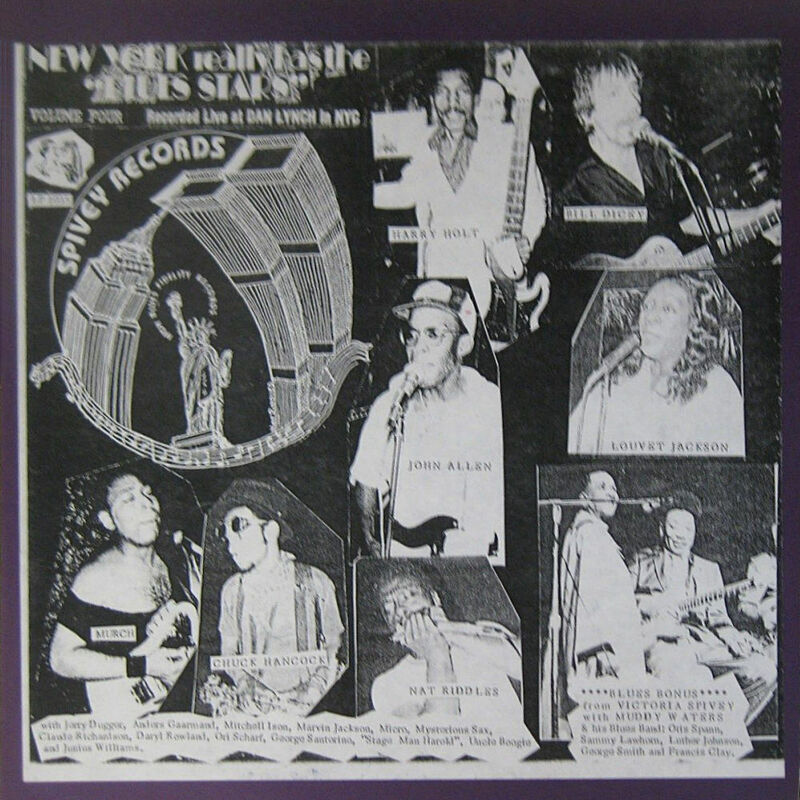 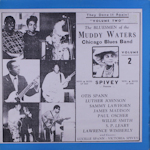 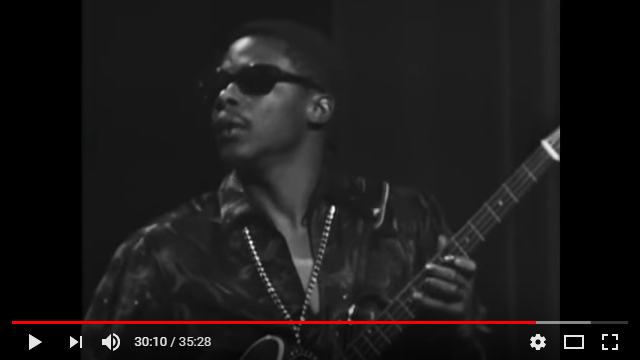 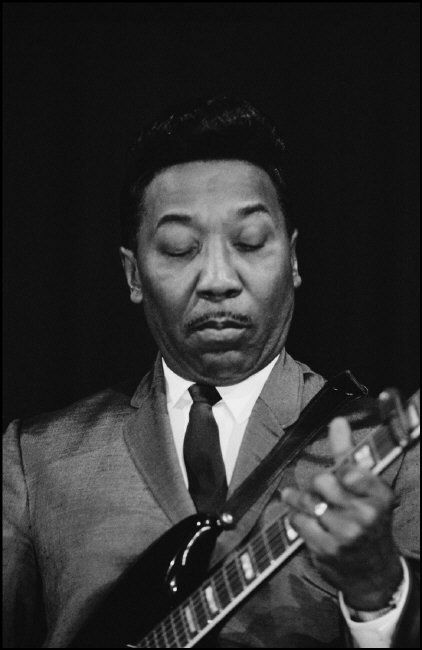 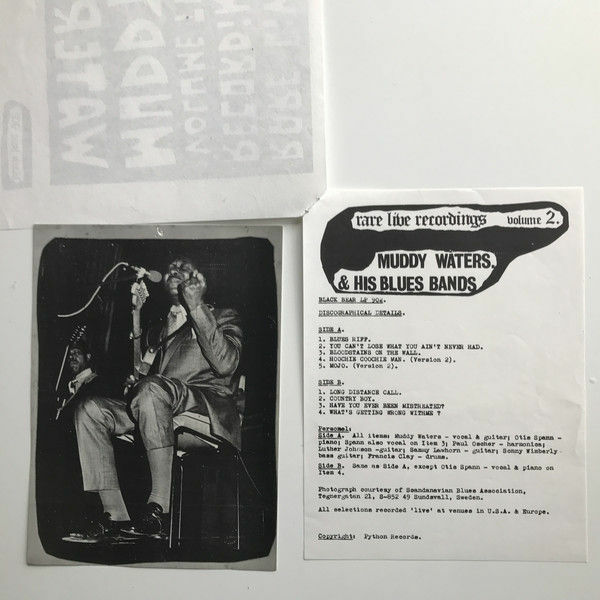 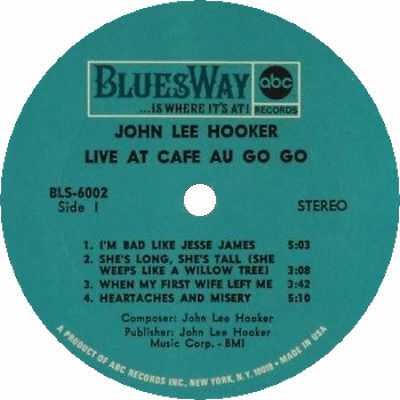 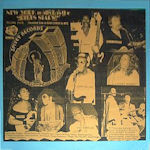 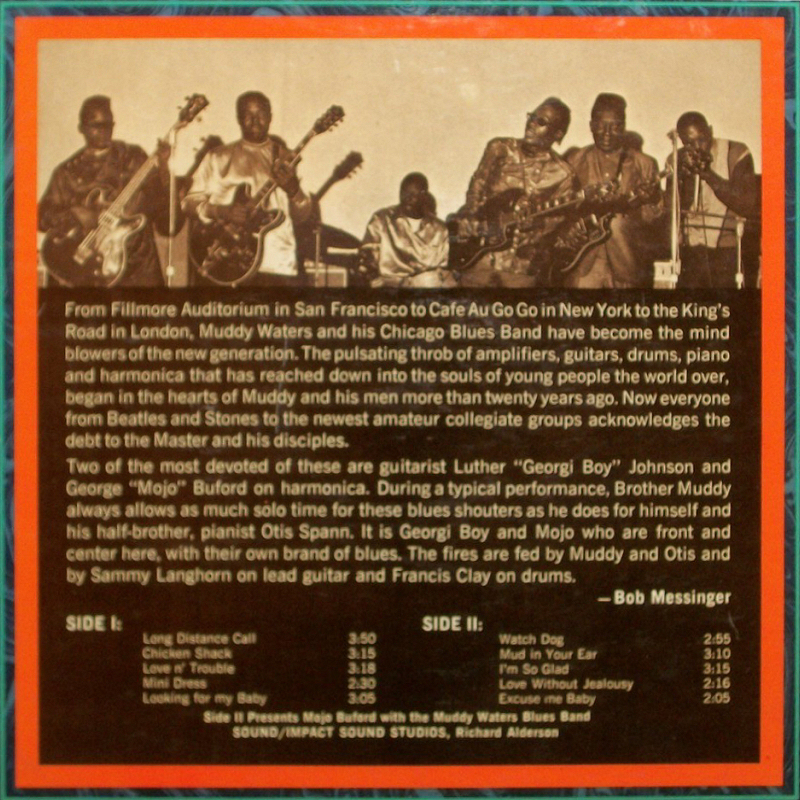 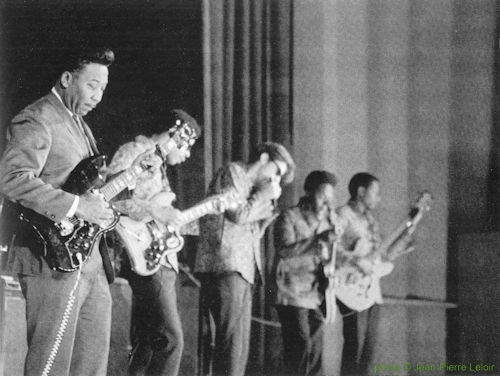 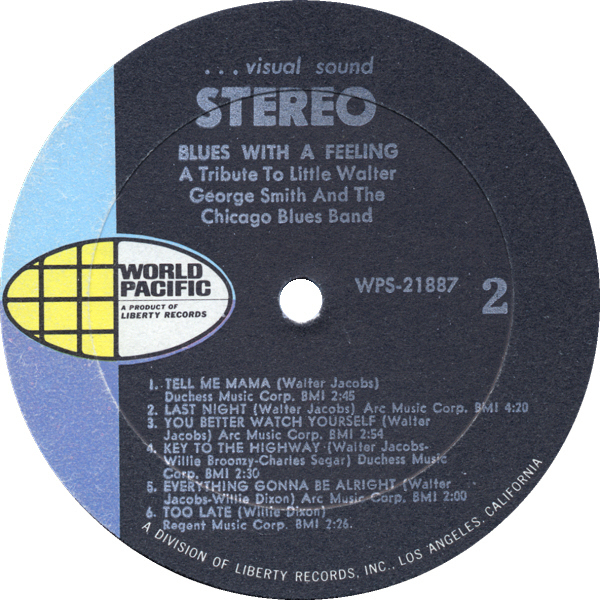 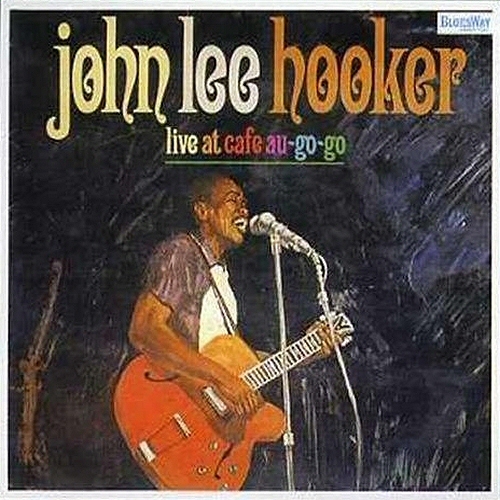 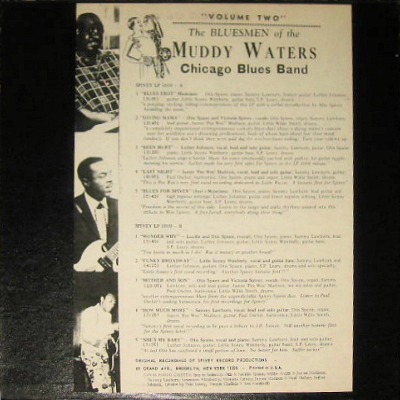 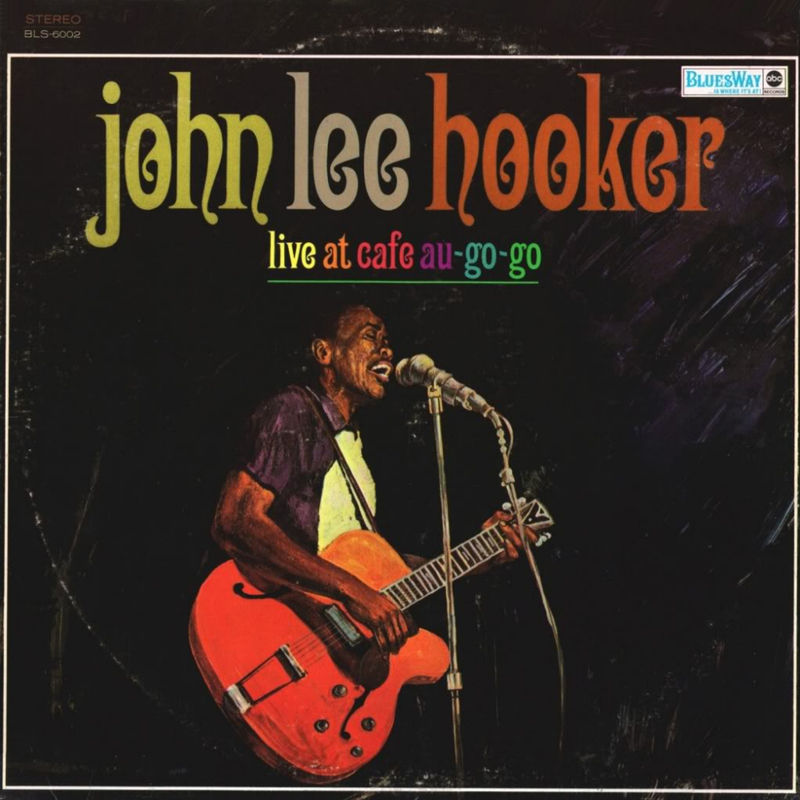 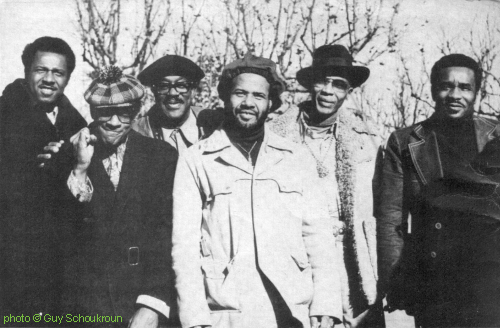 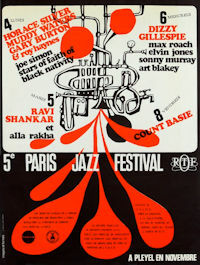 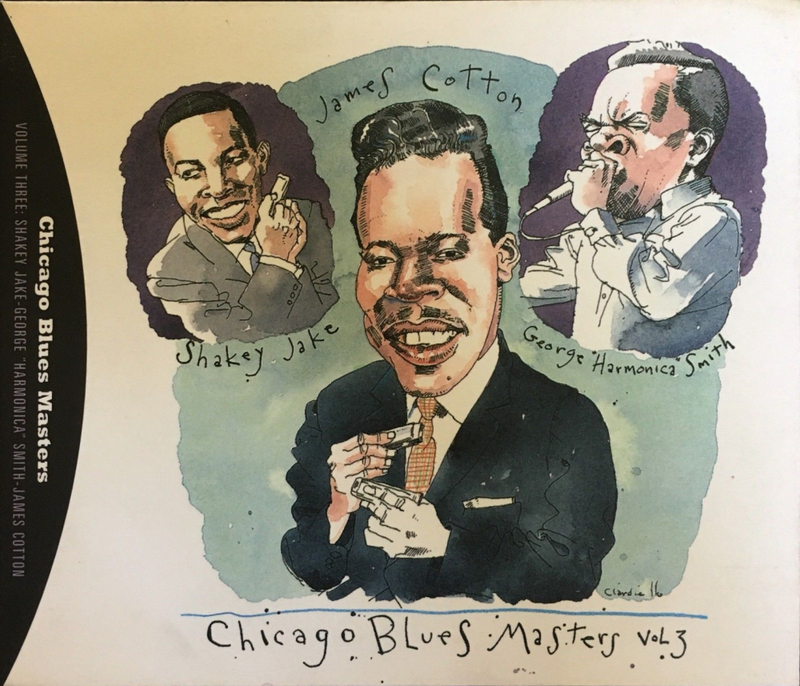 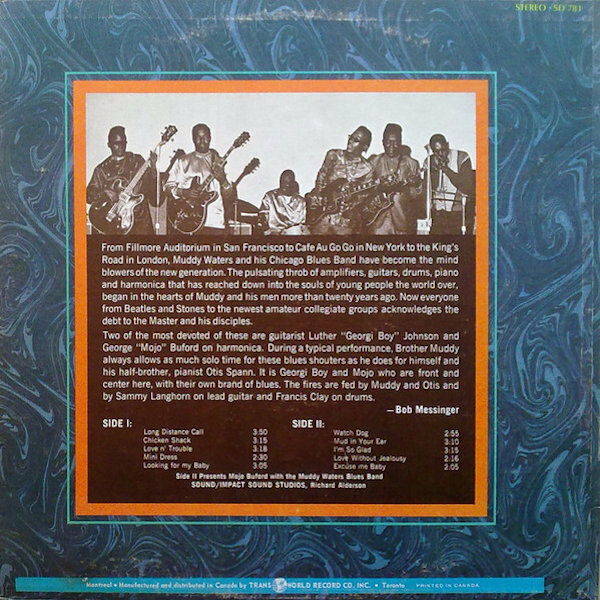 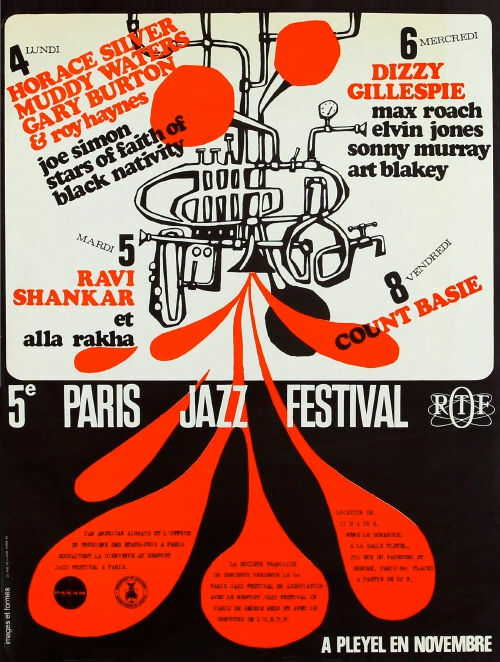 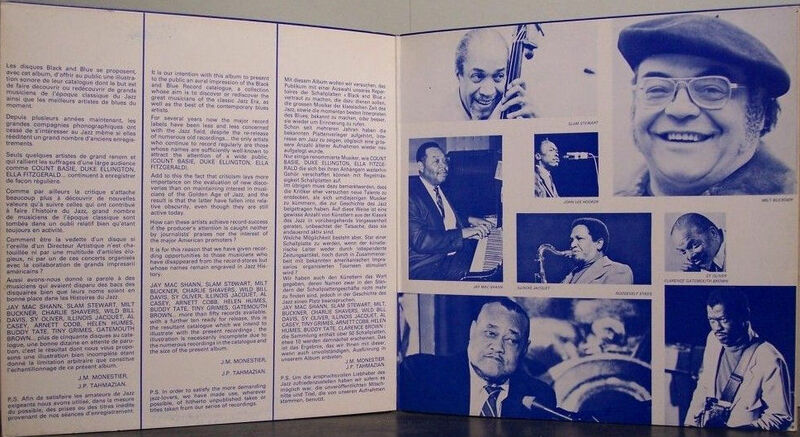 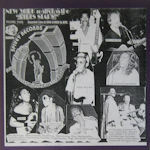 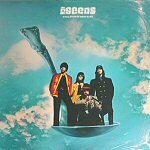 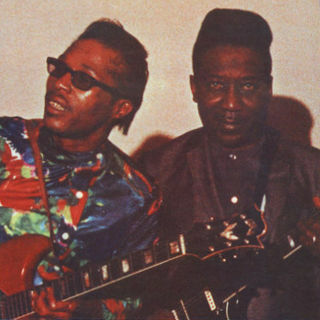 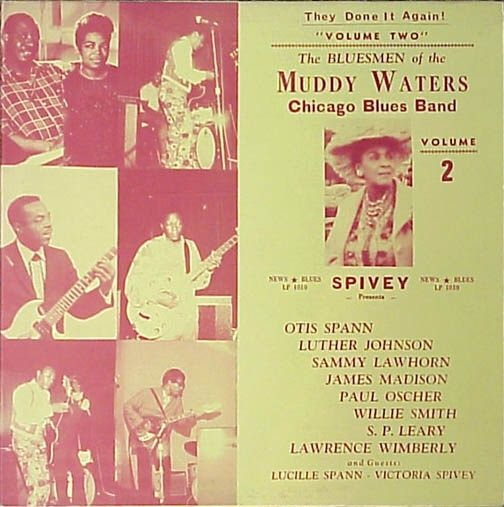 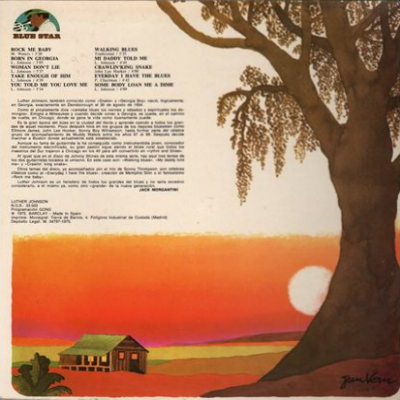 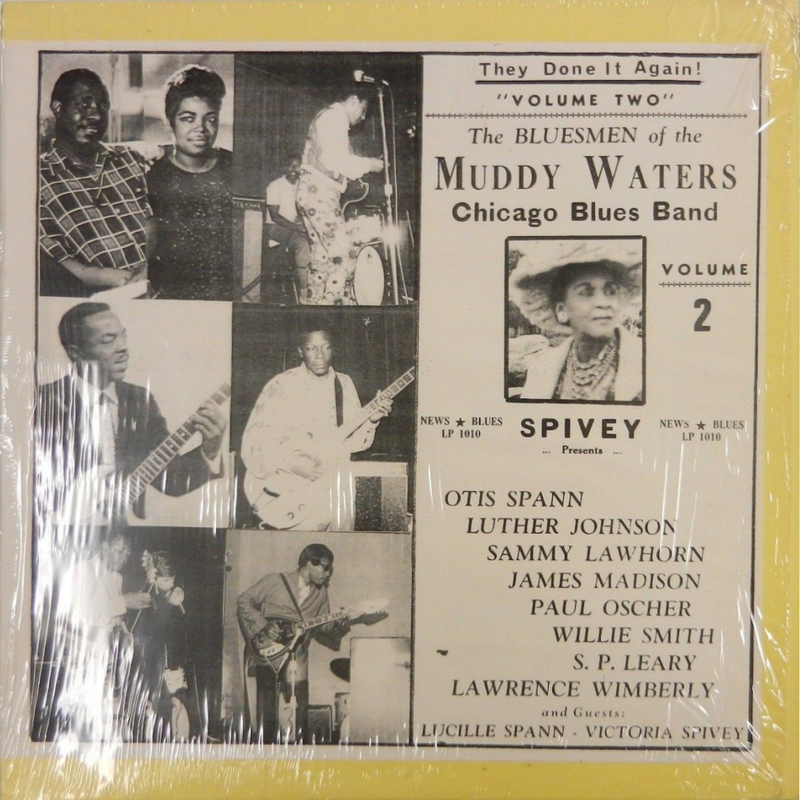 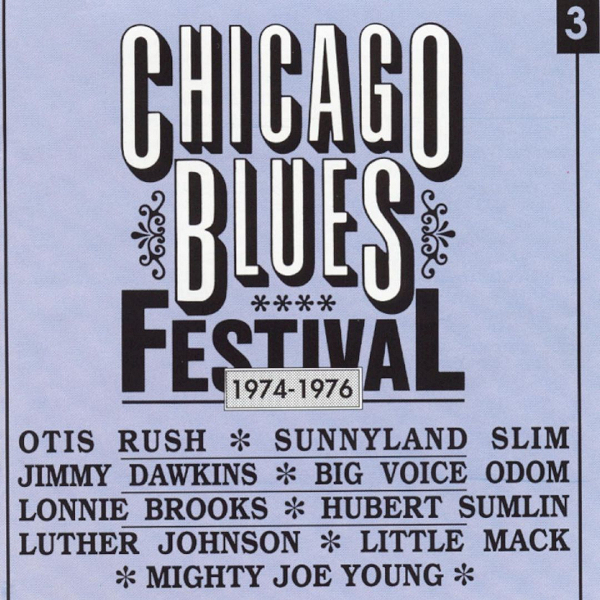 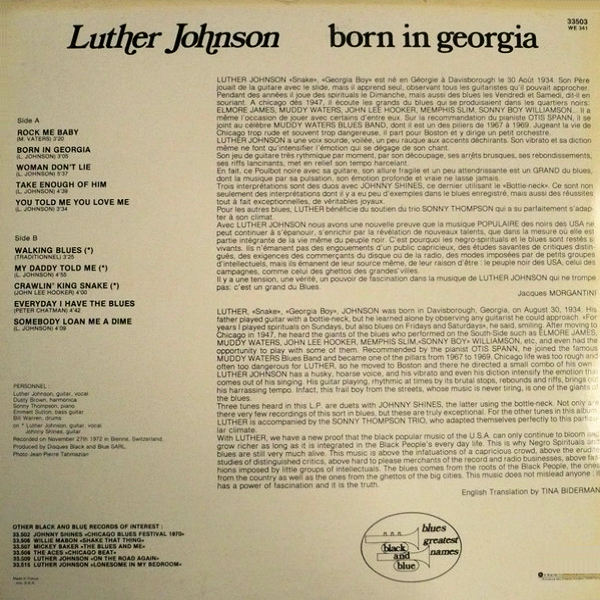 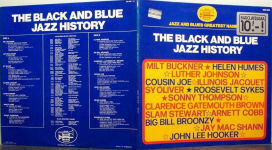 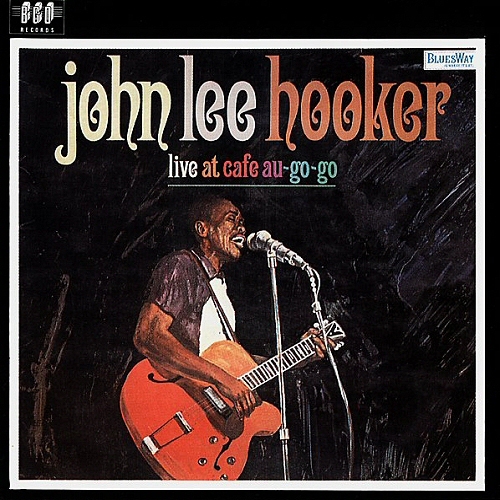 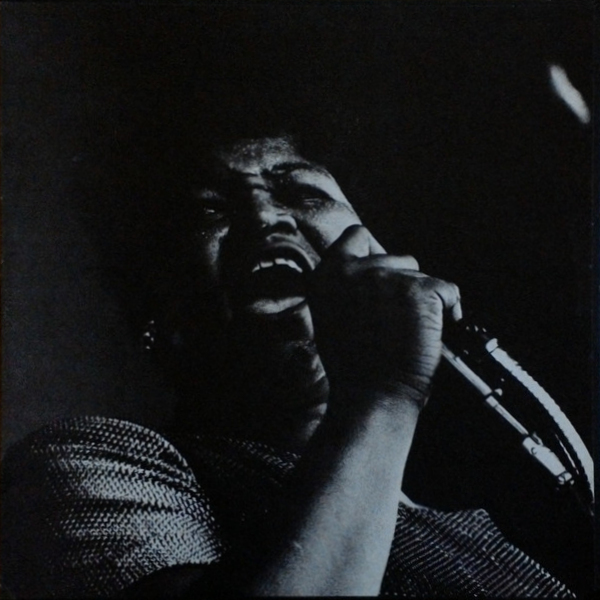 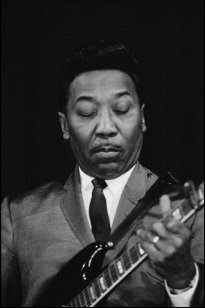 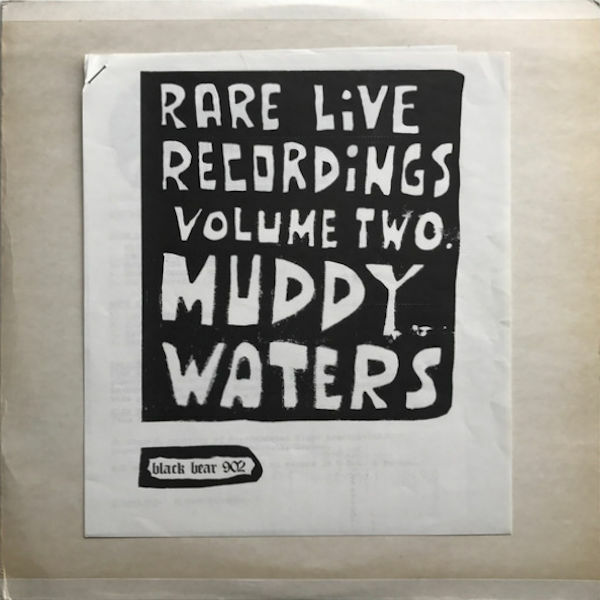 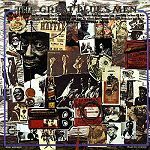 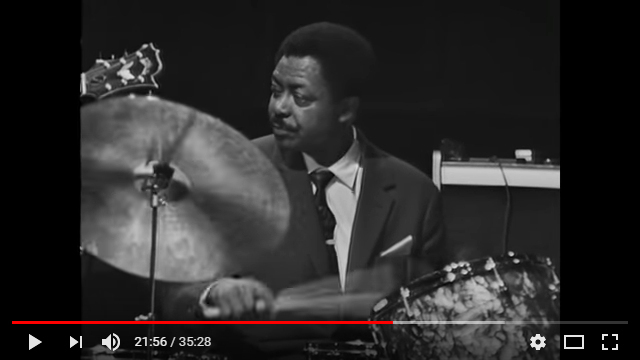 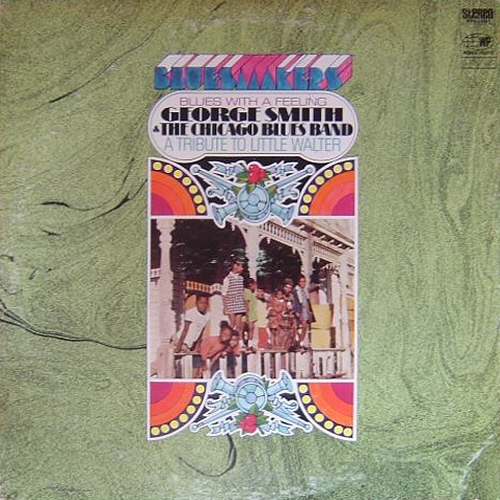 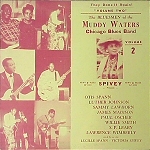 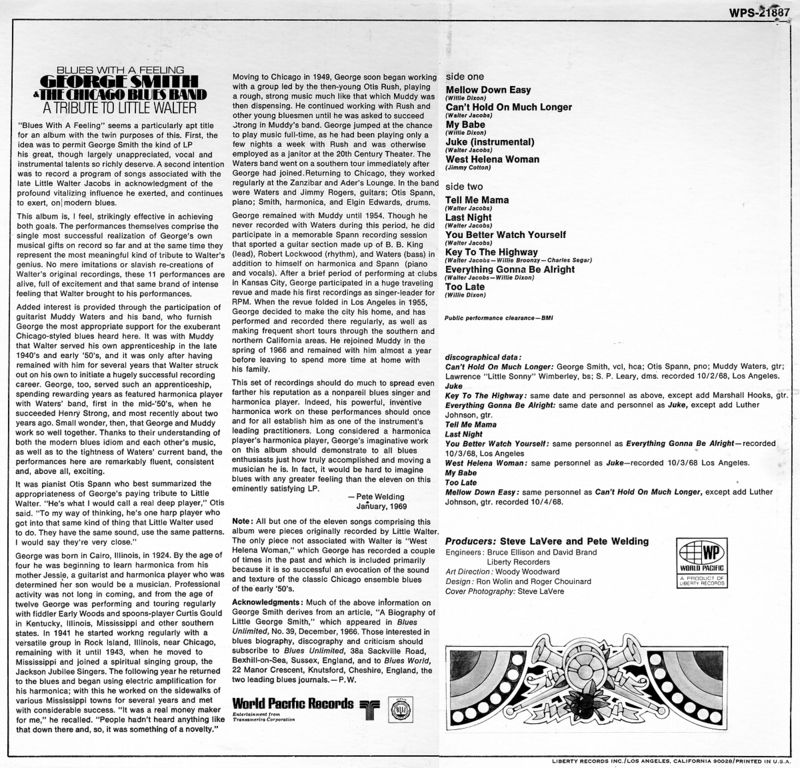 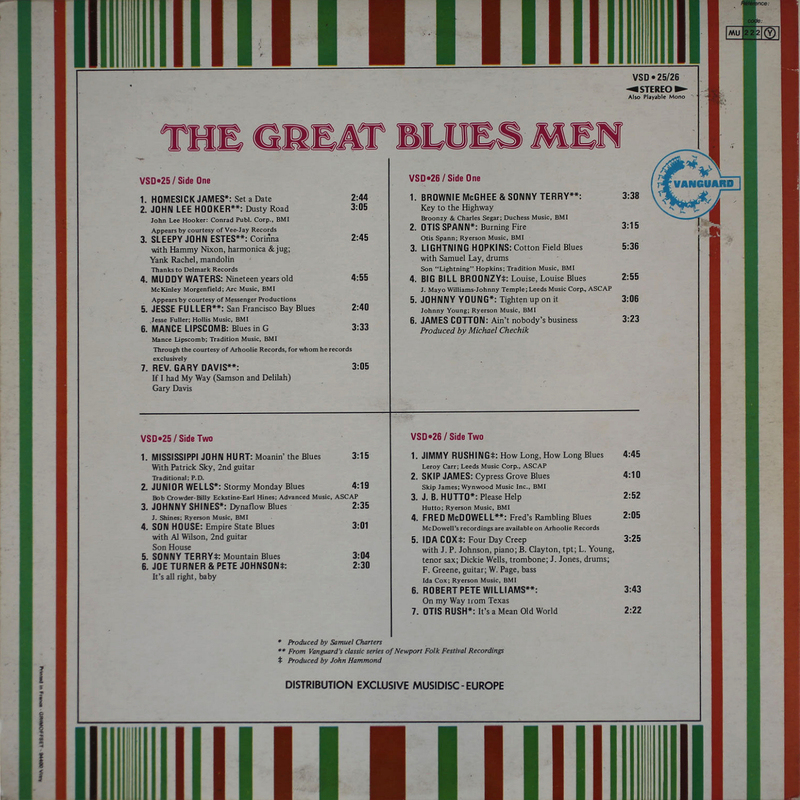 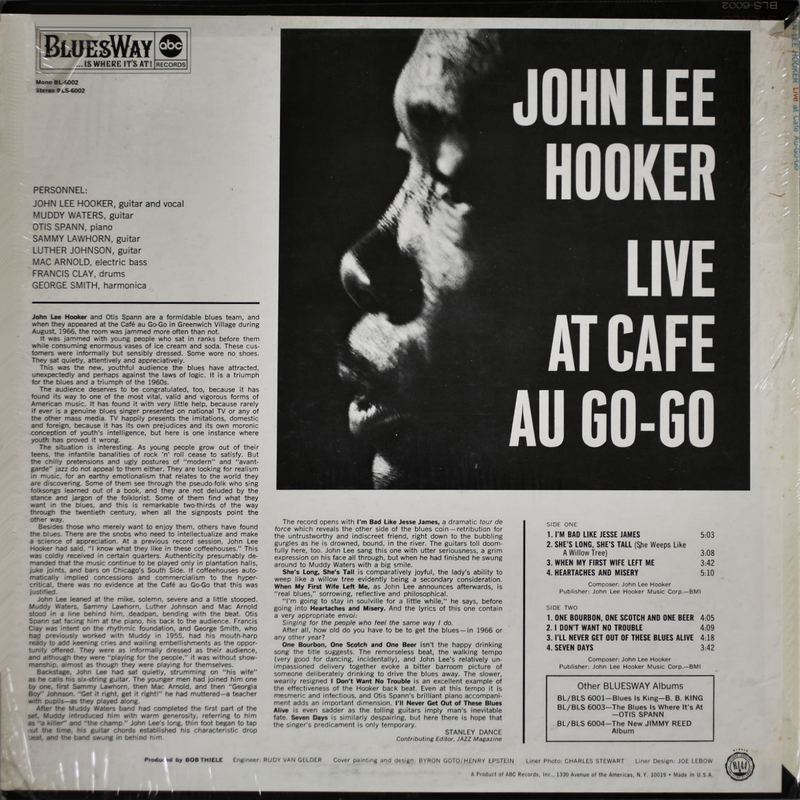 The hamonicist on the back cover photo (far right) is not Mojo Buford, but rather Birmingham Jones, who had been a member of the Muddy Waters Band for a short timespan before this LP was recorded! 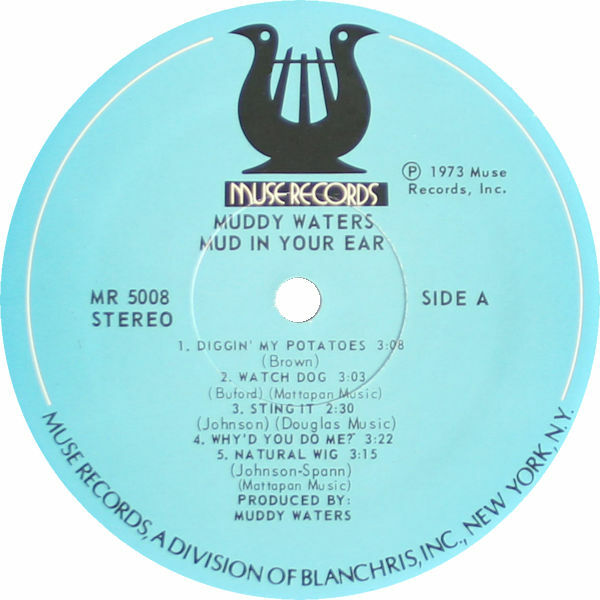 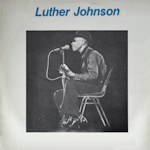 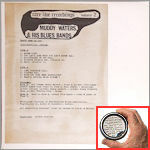 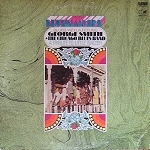 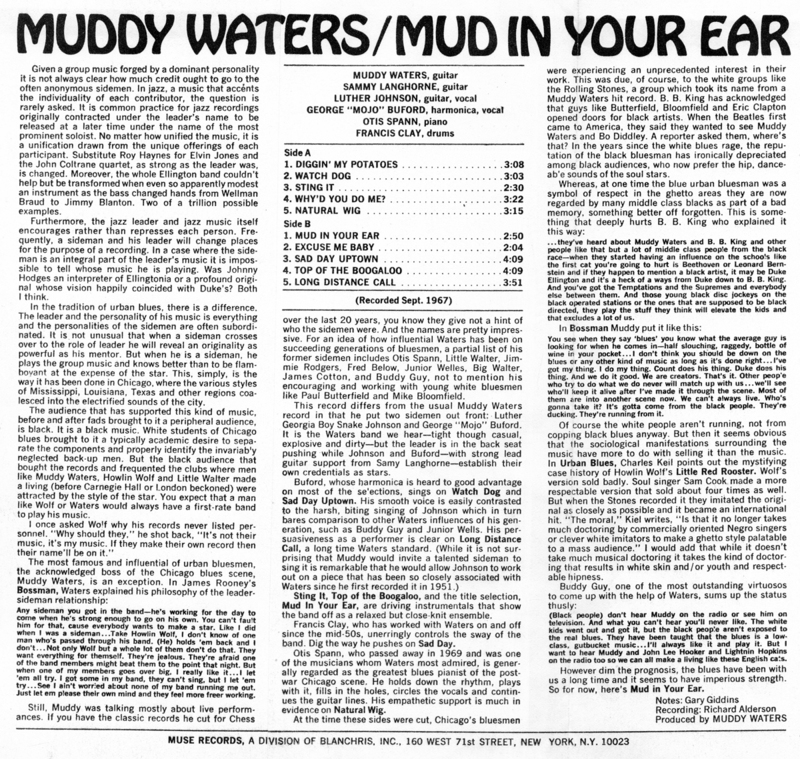 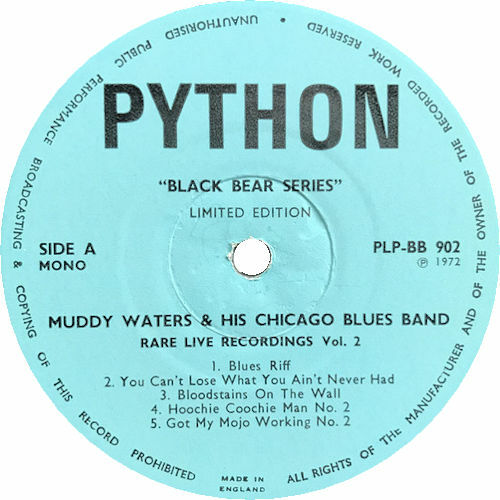 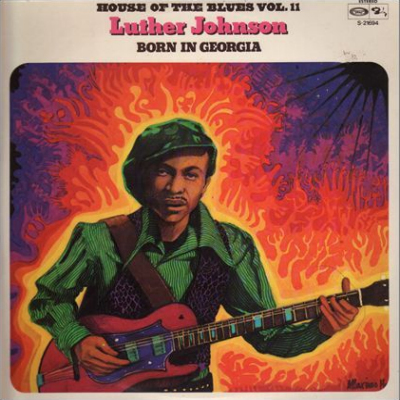 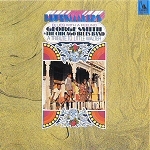 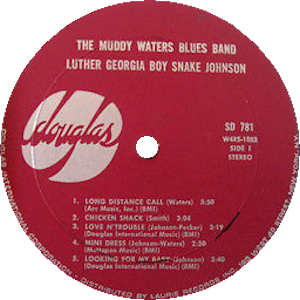 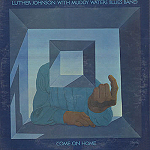 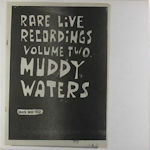 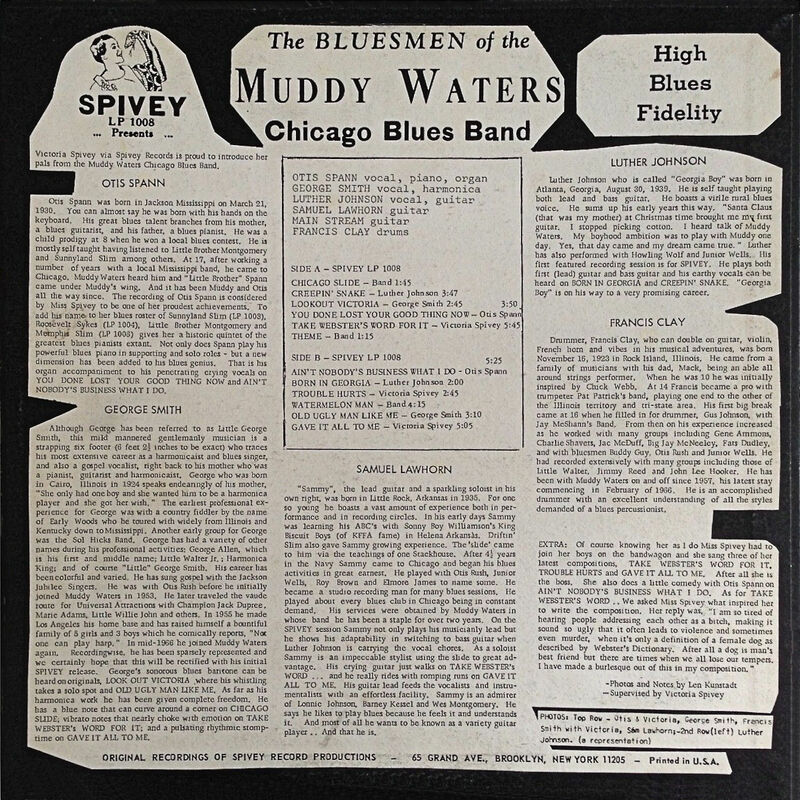 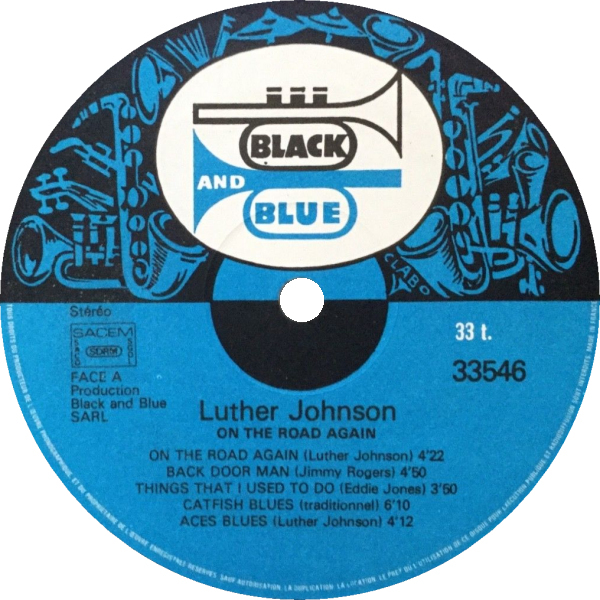 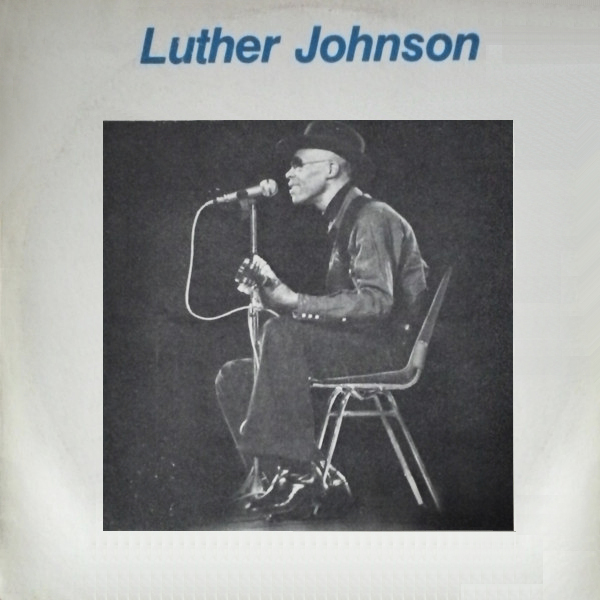 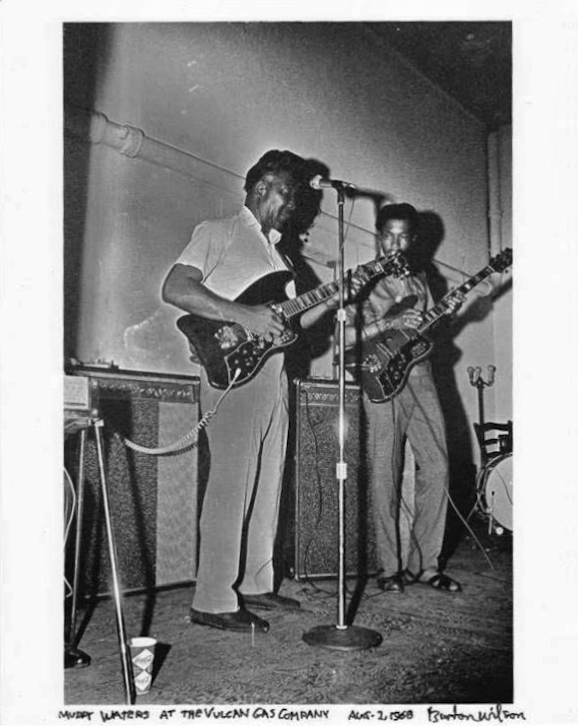 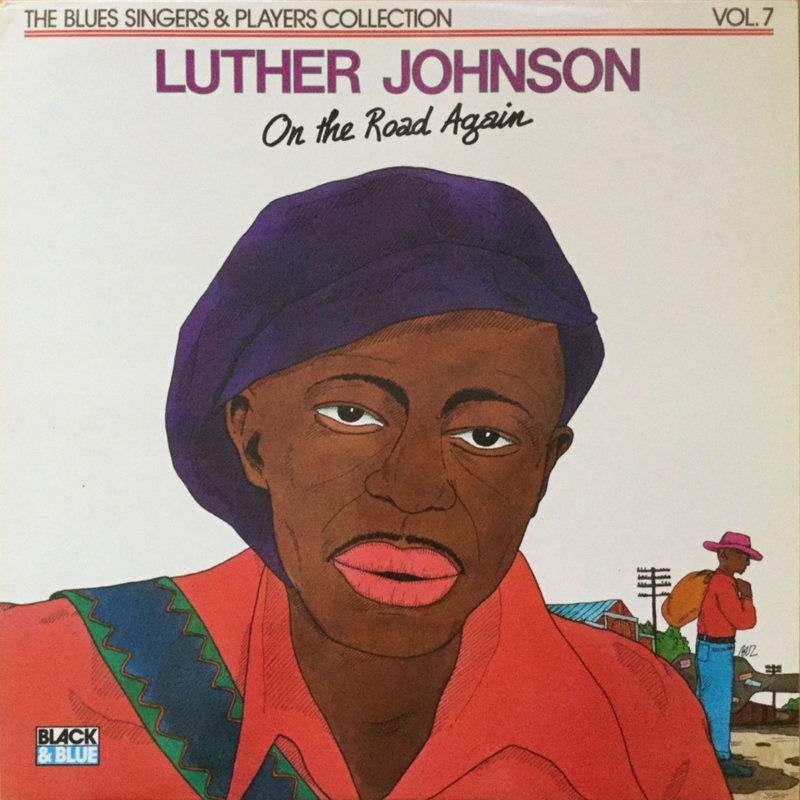 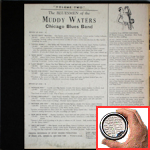 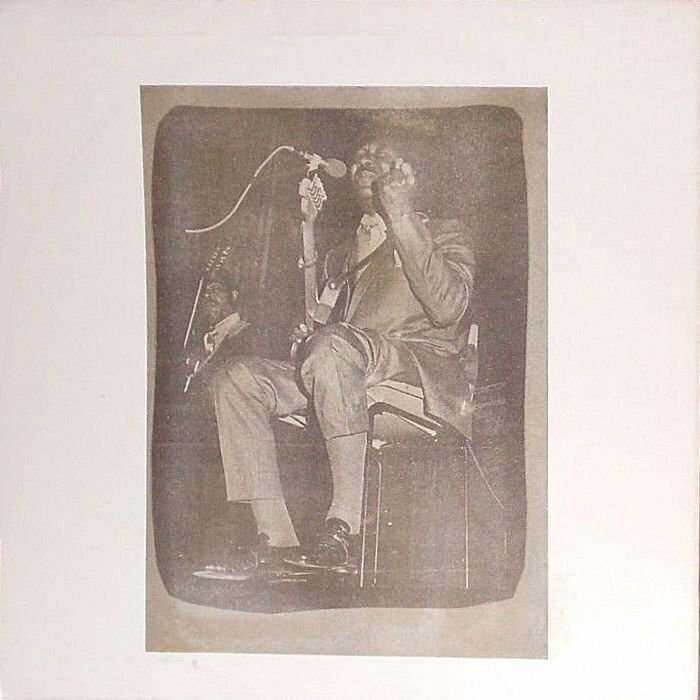 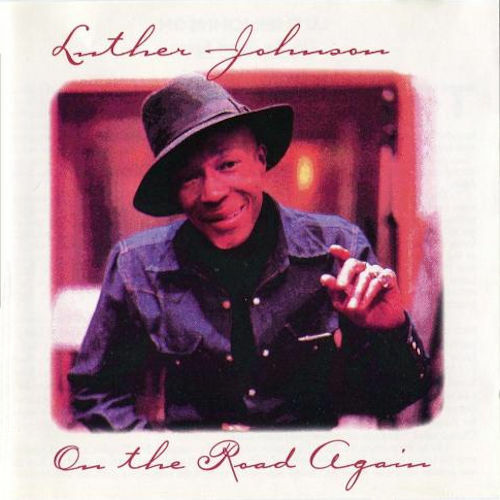 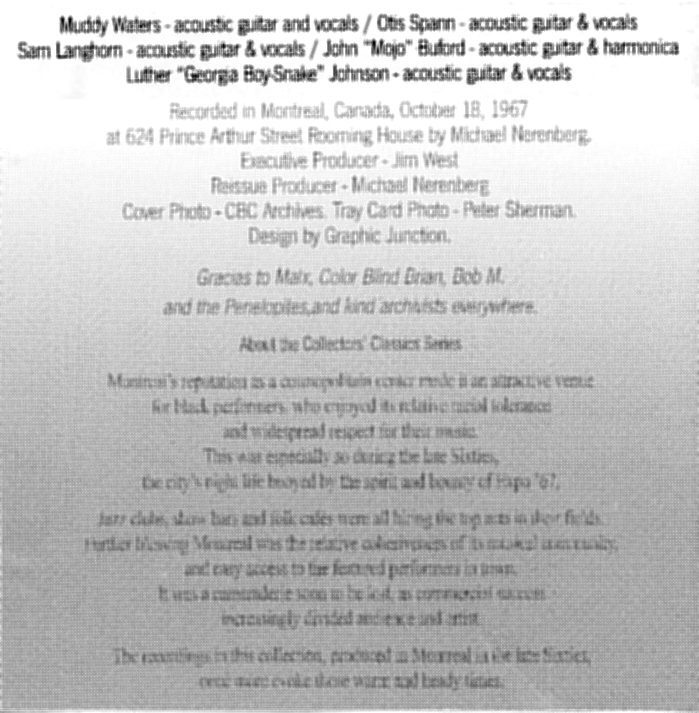 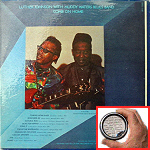 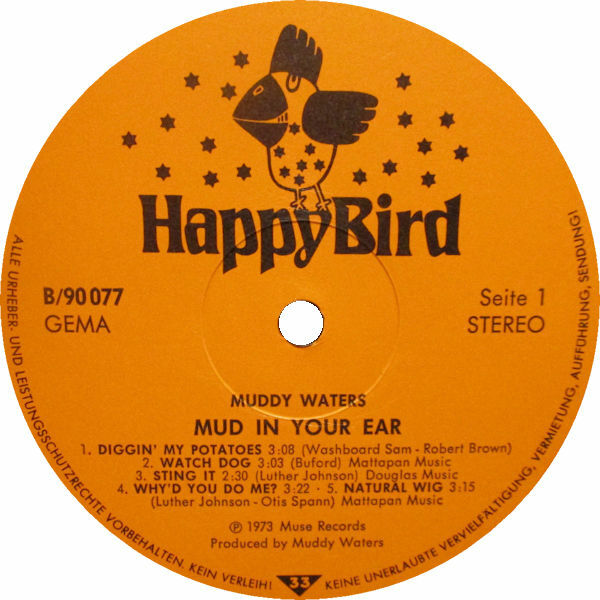 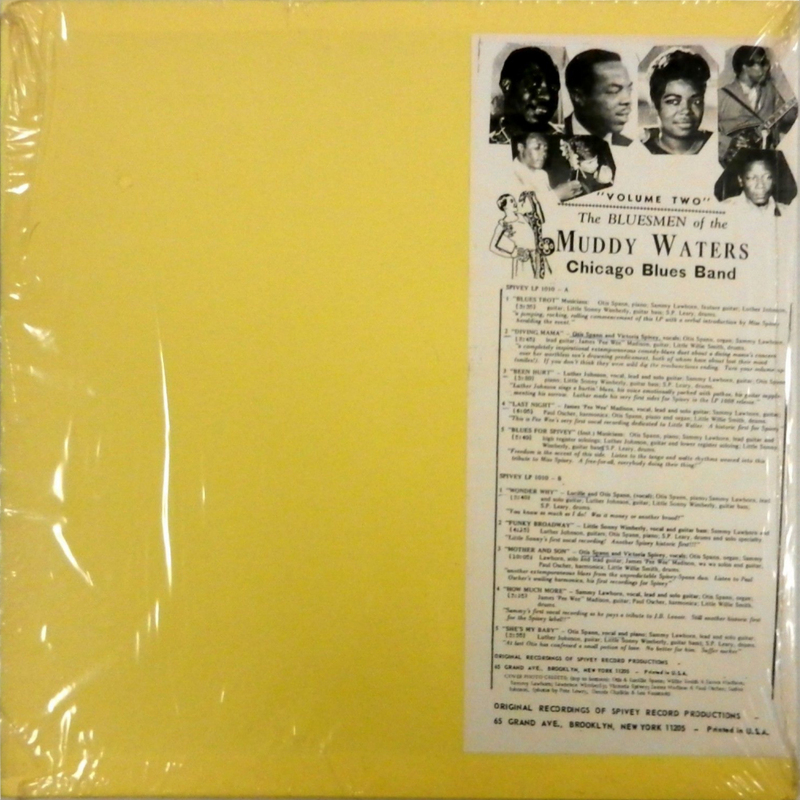 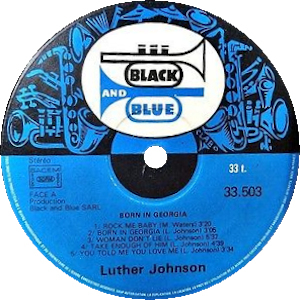 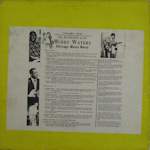 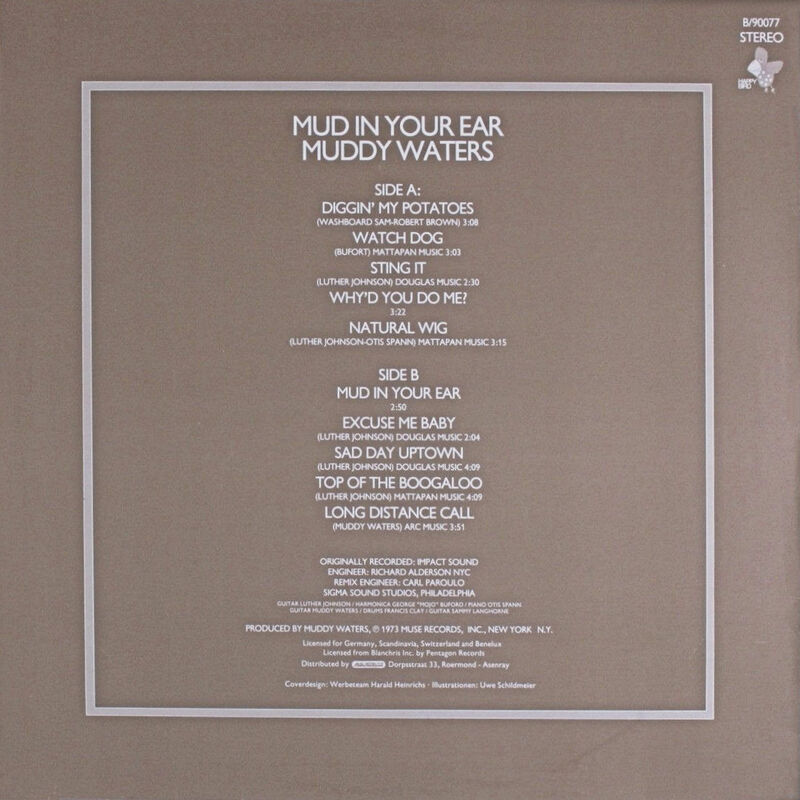 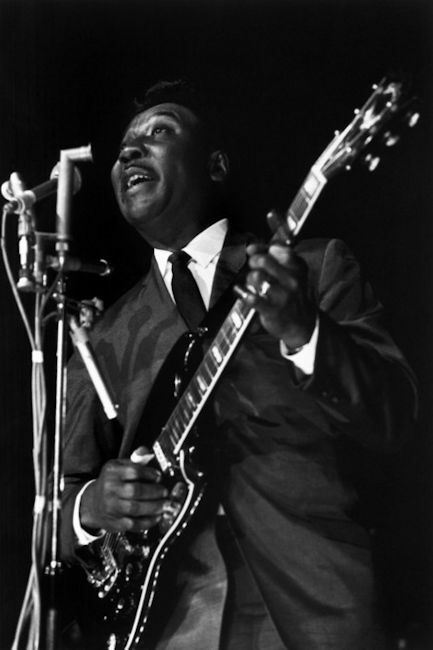 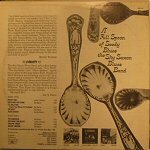 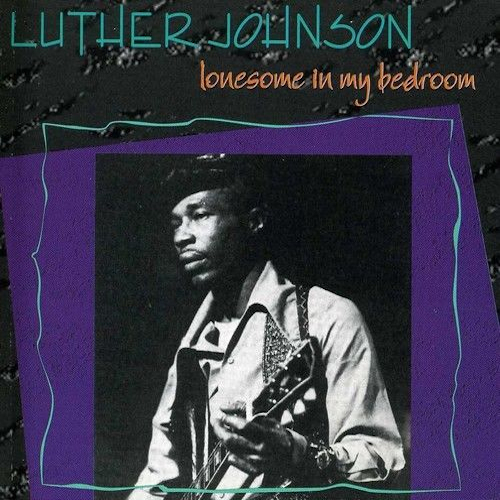 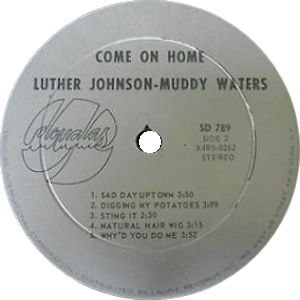 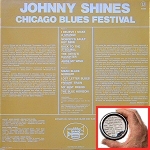 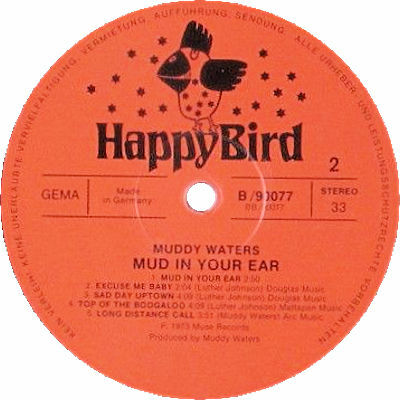 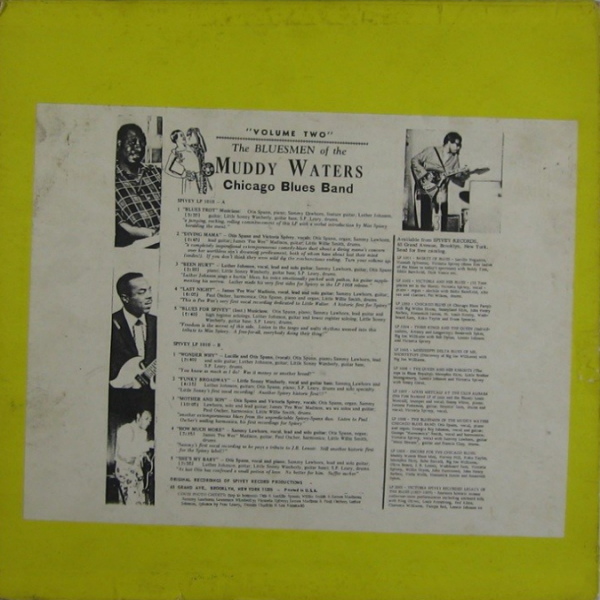 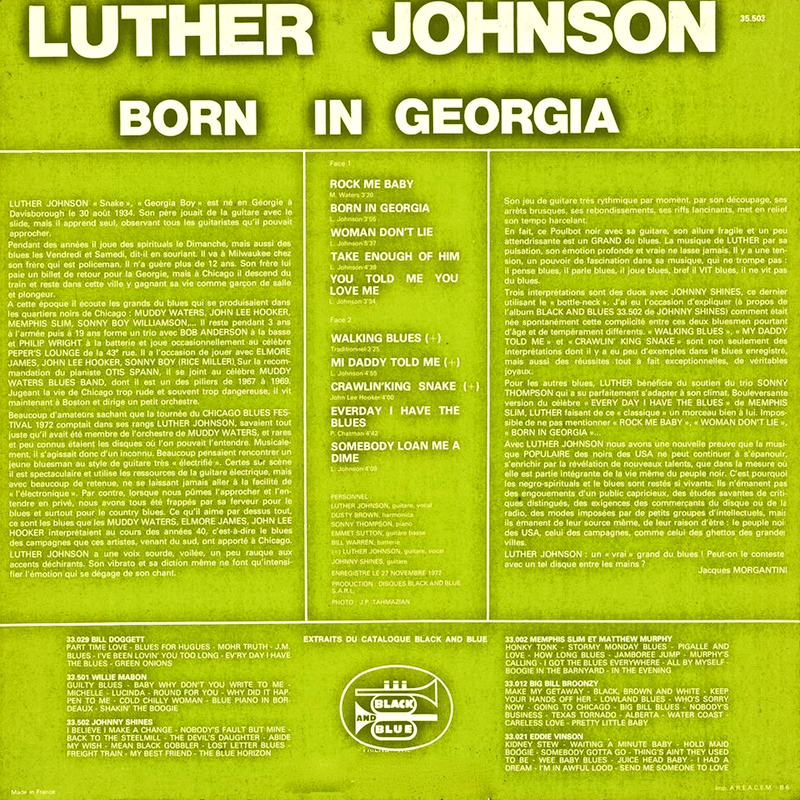 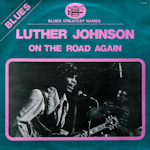 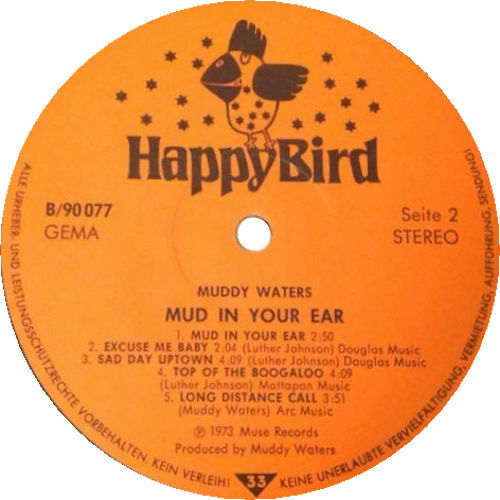 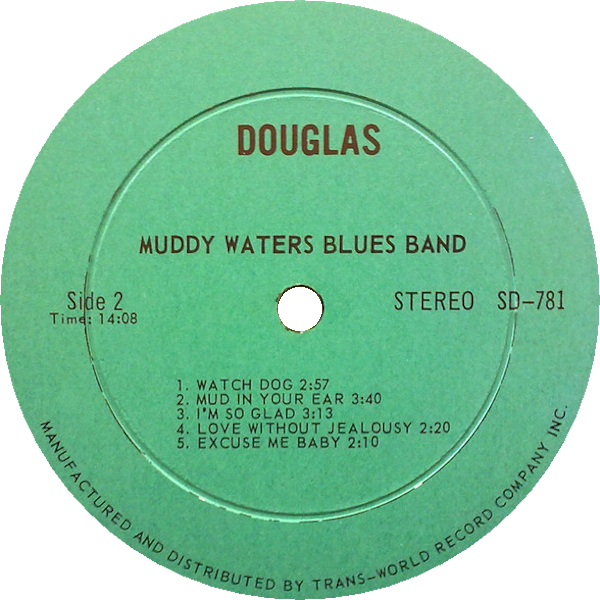 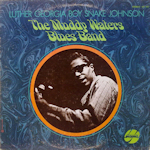 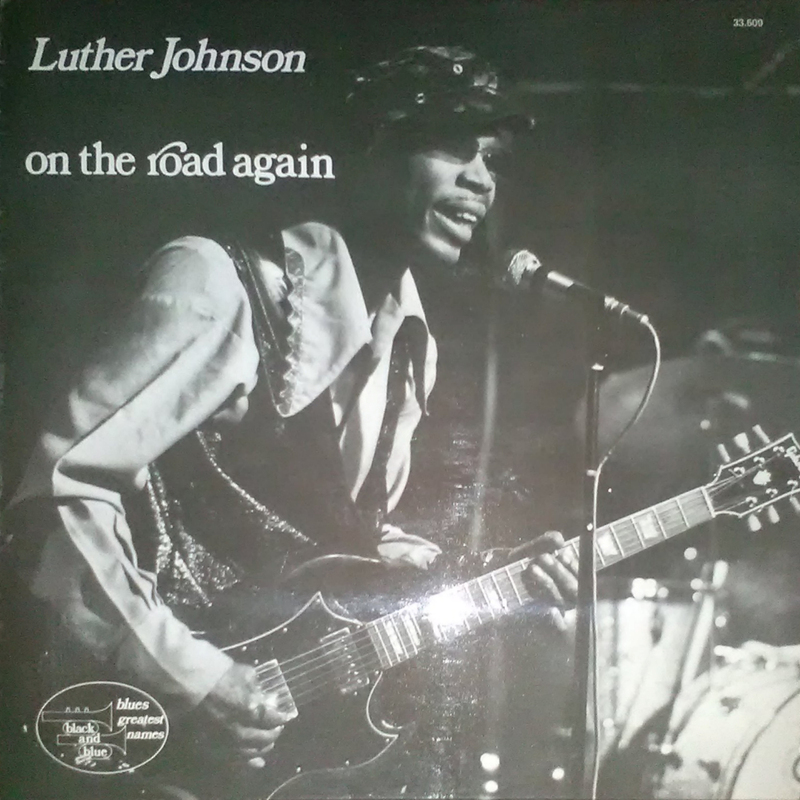 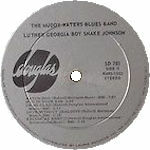 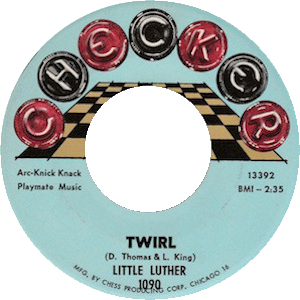 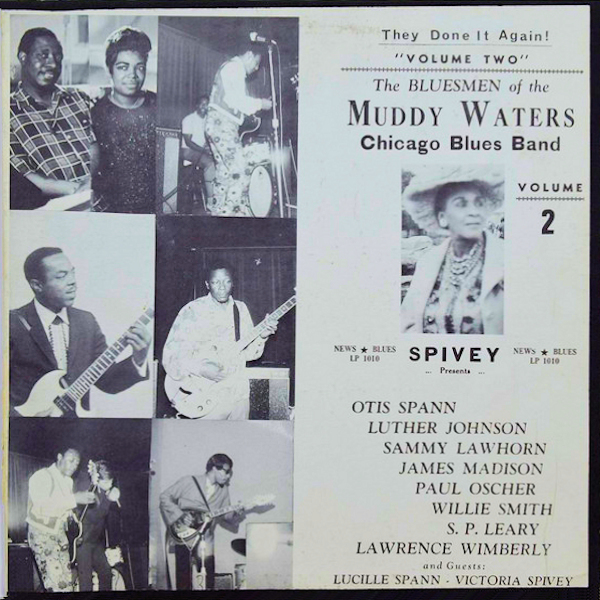 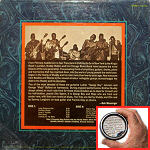 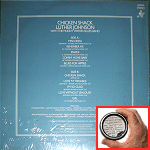 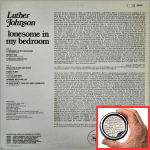 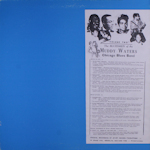 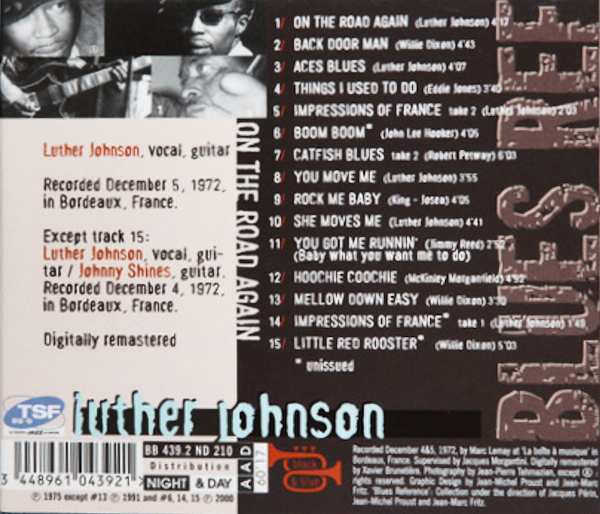 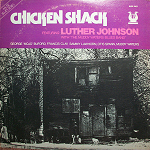 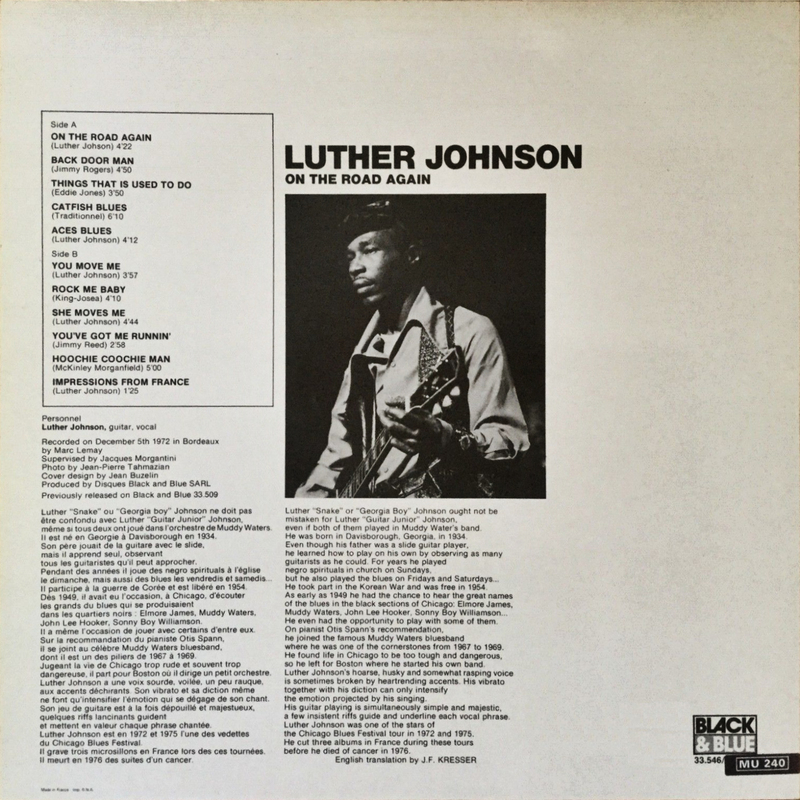 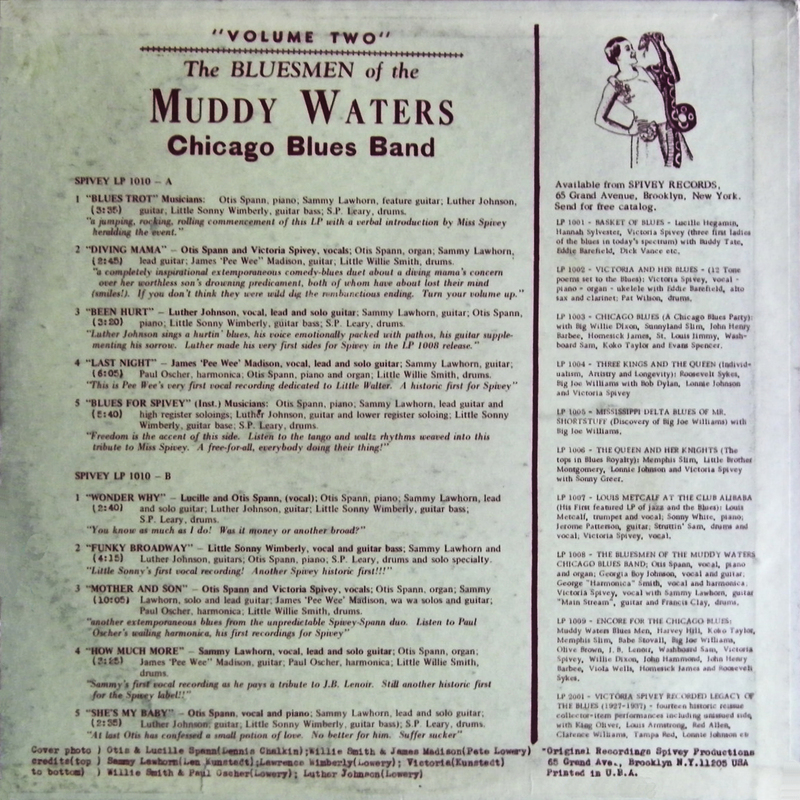 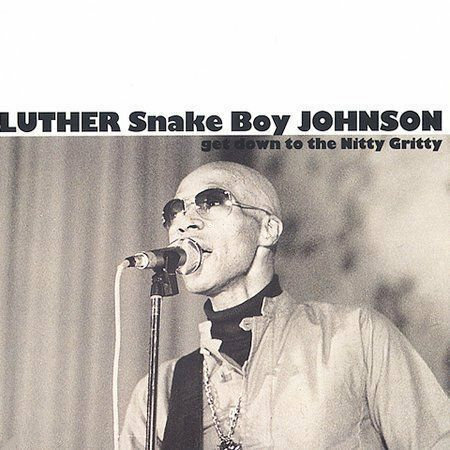 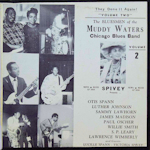 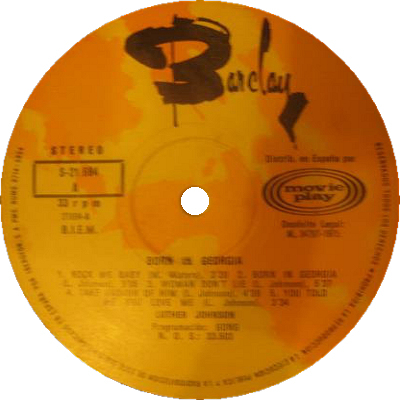 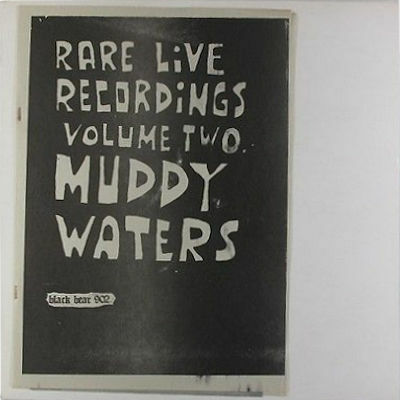 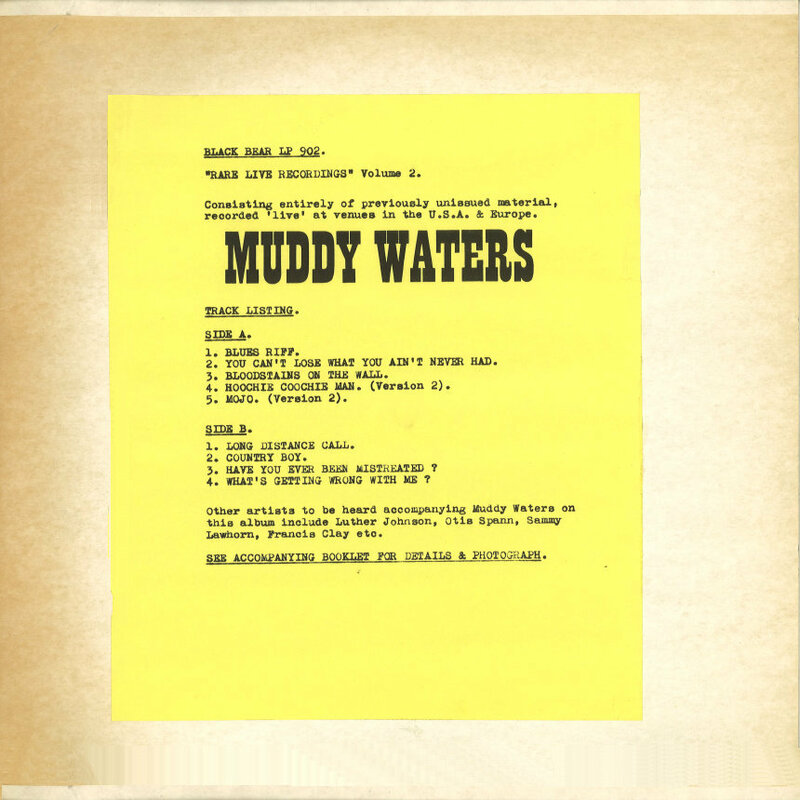 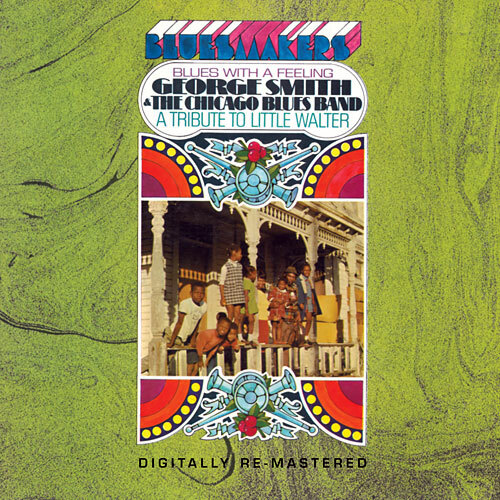 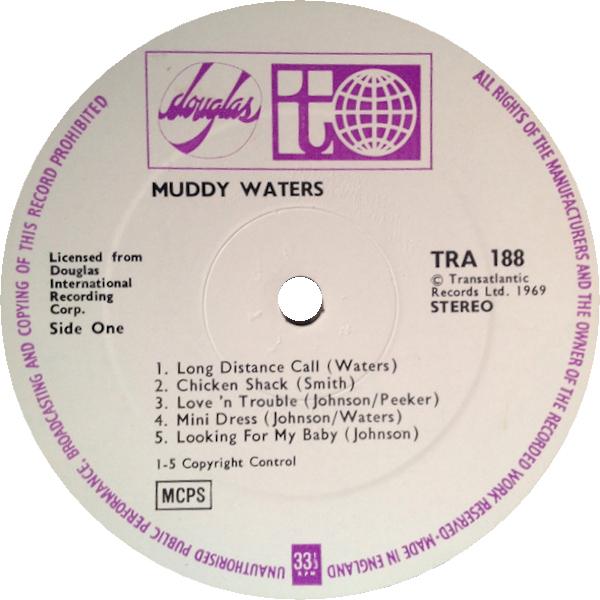 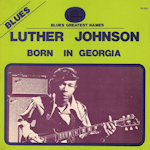 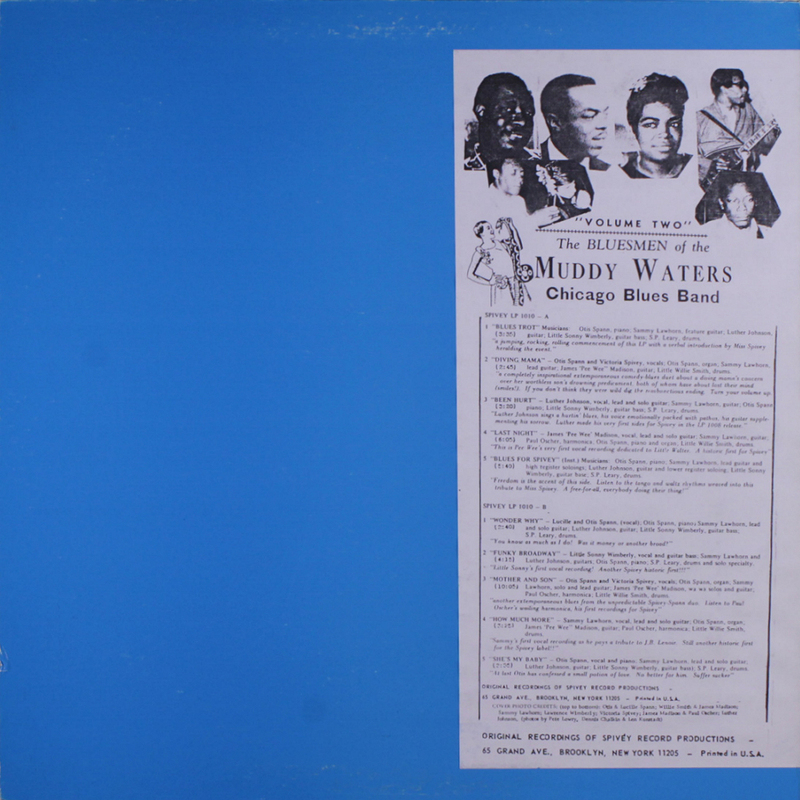 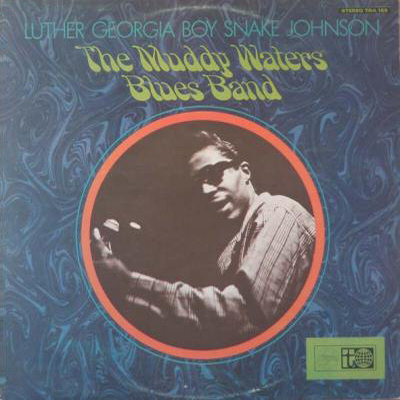 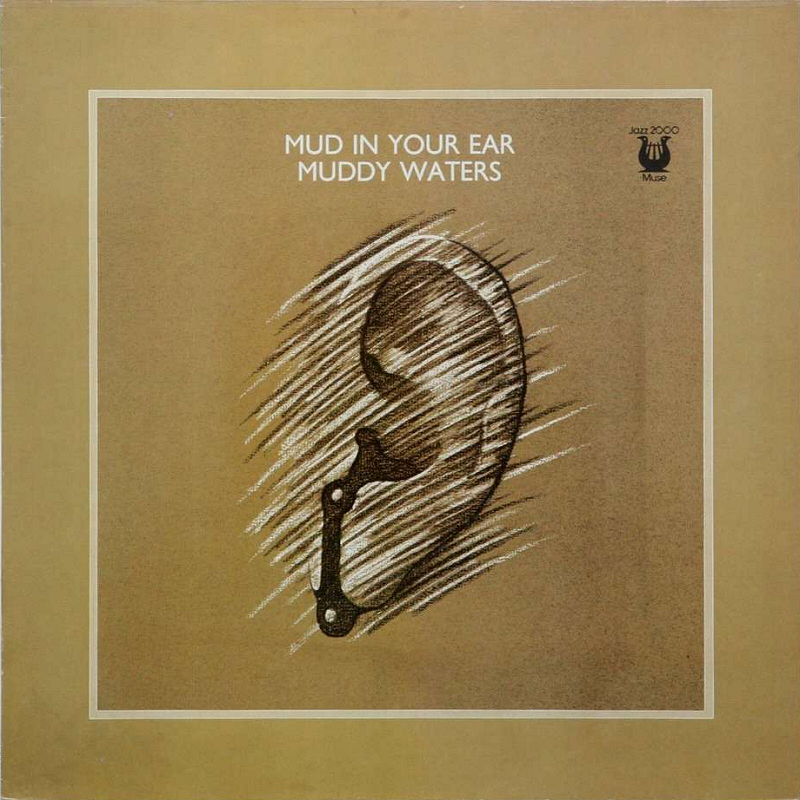 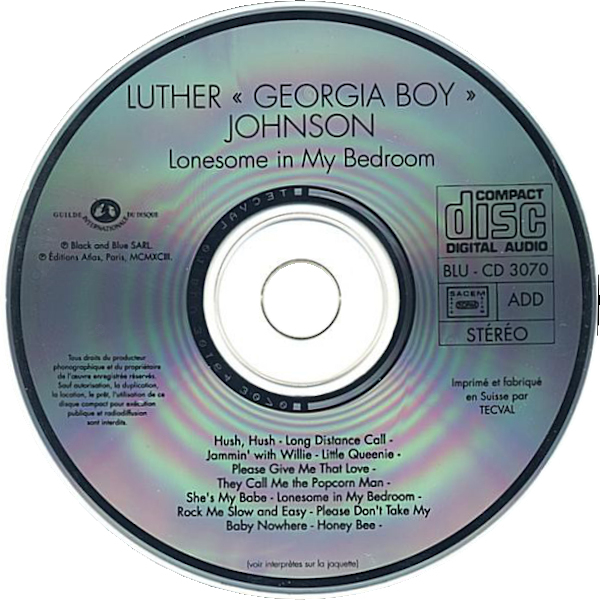 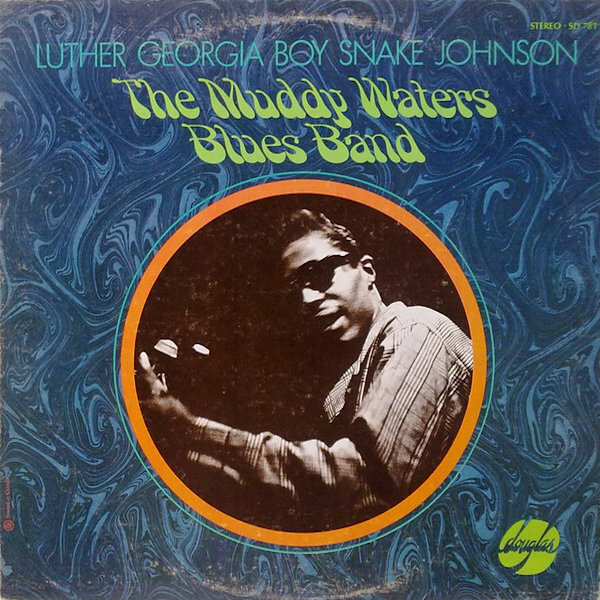 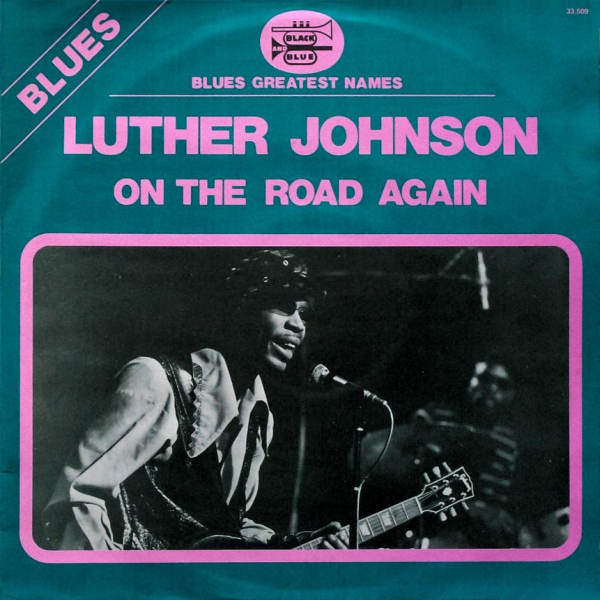 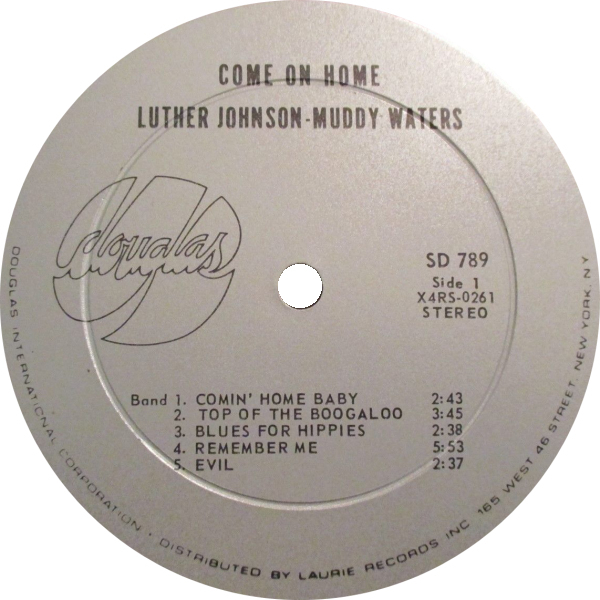 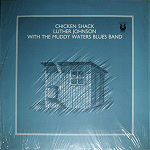 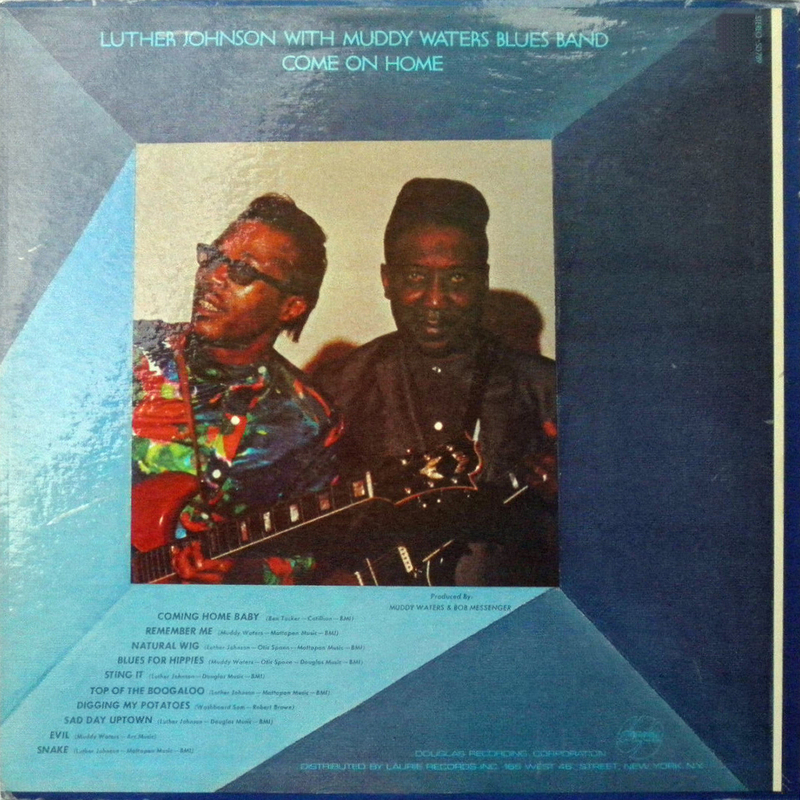 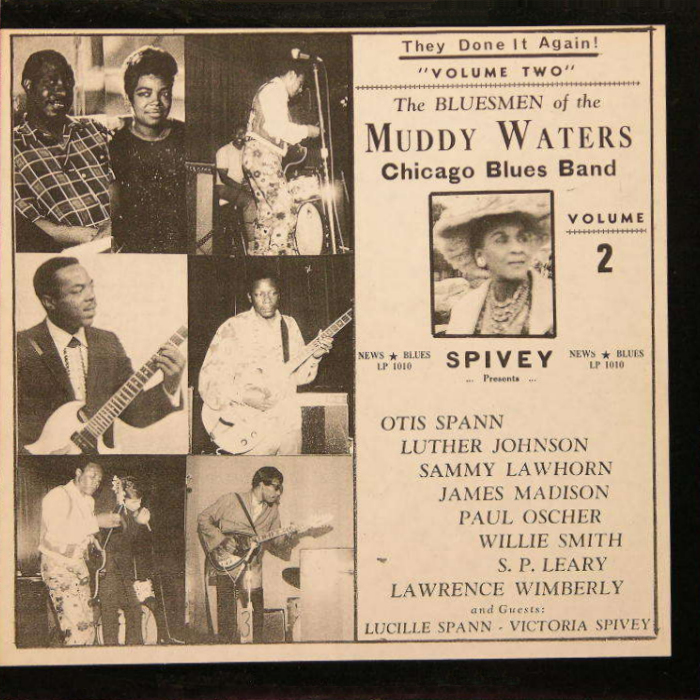 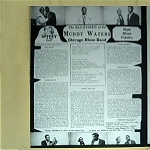 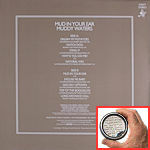 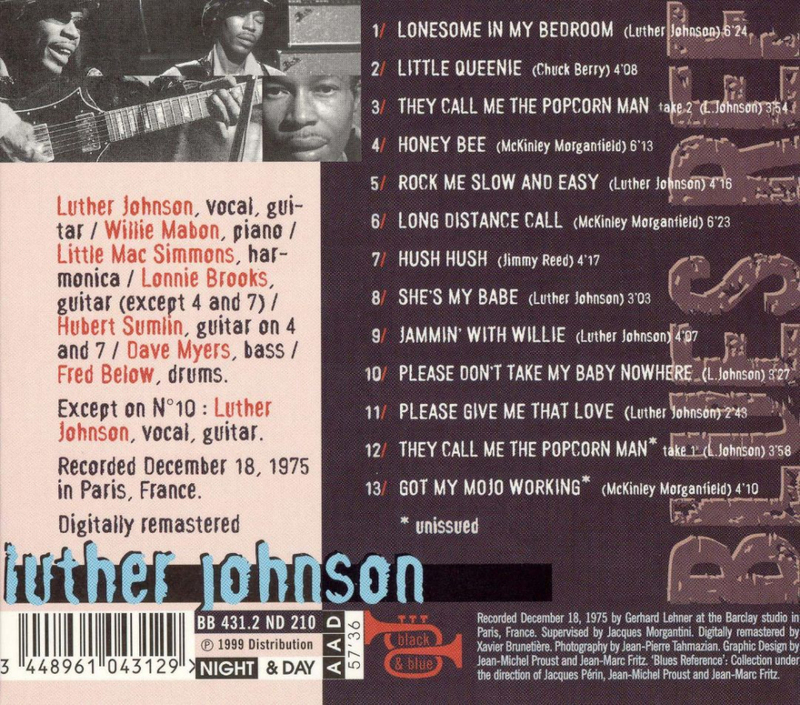 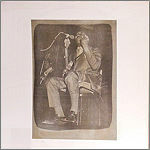 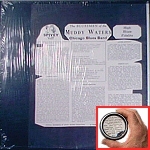 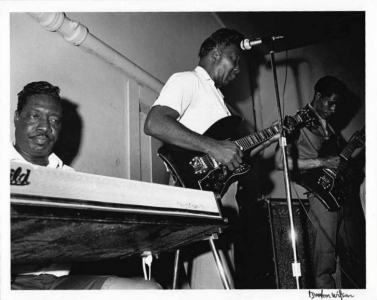 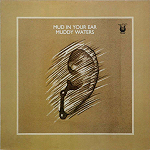 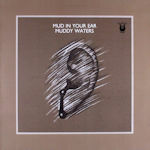 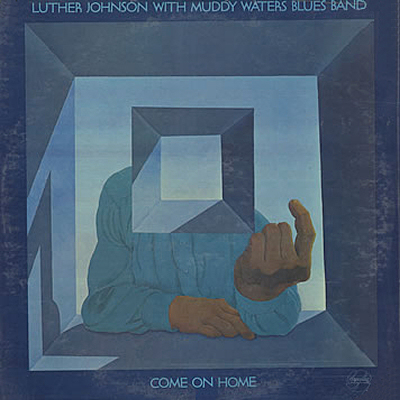 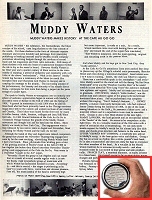 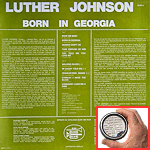 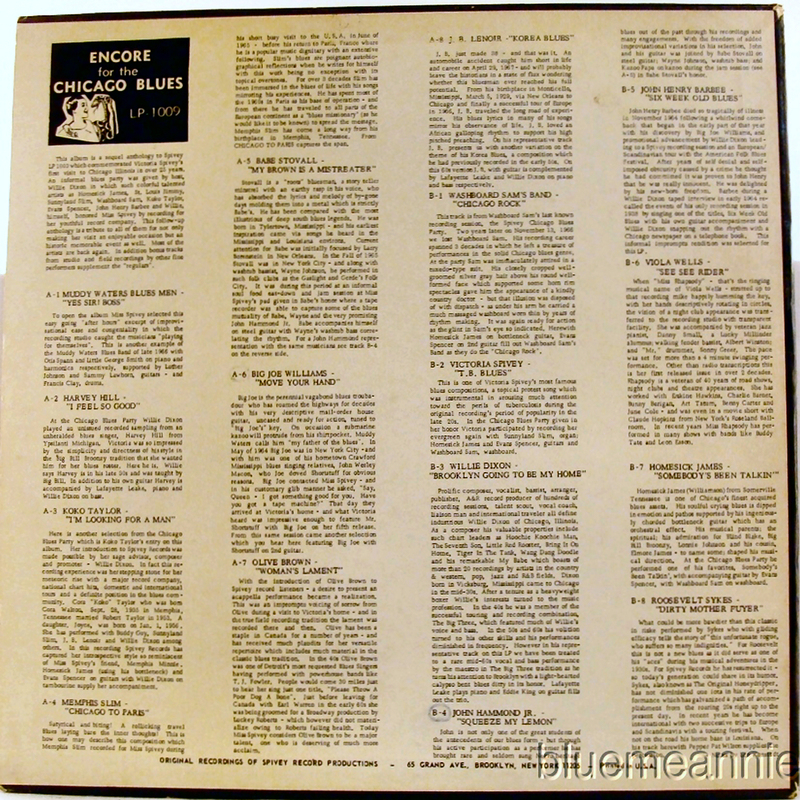 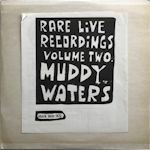 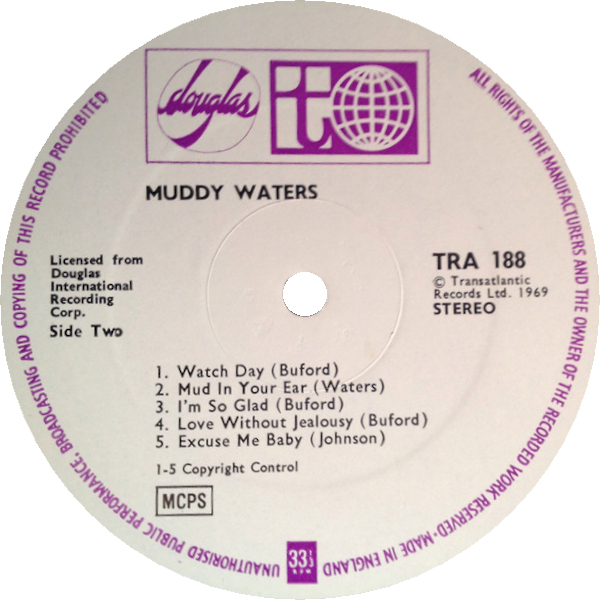 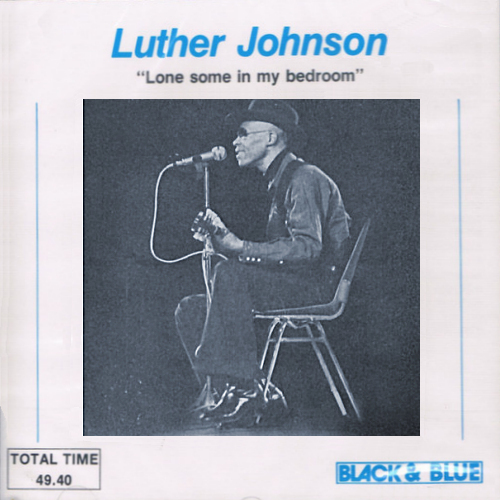 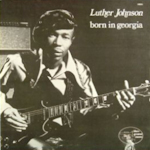 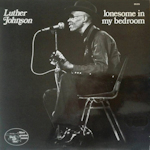 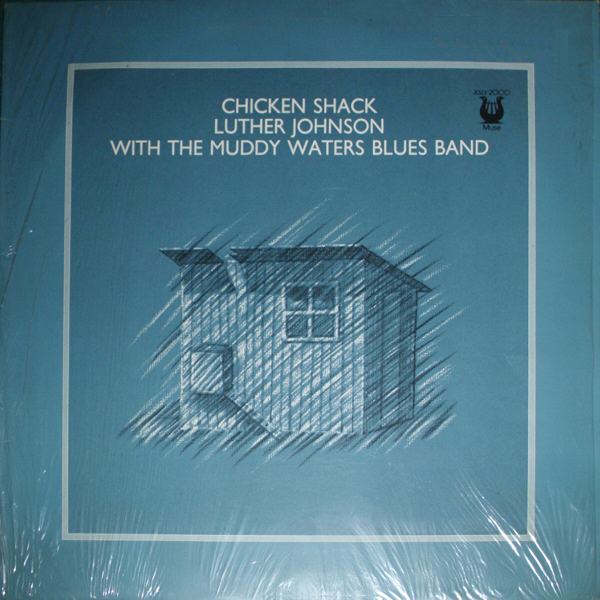 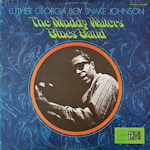 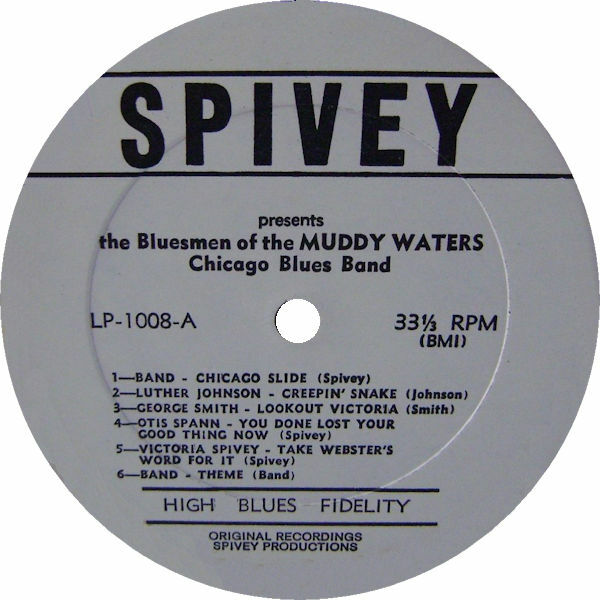 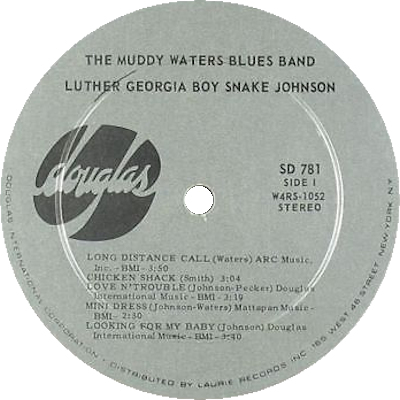 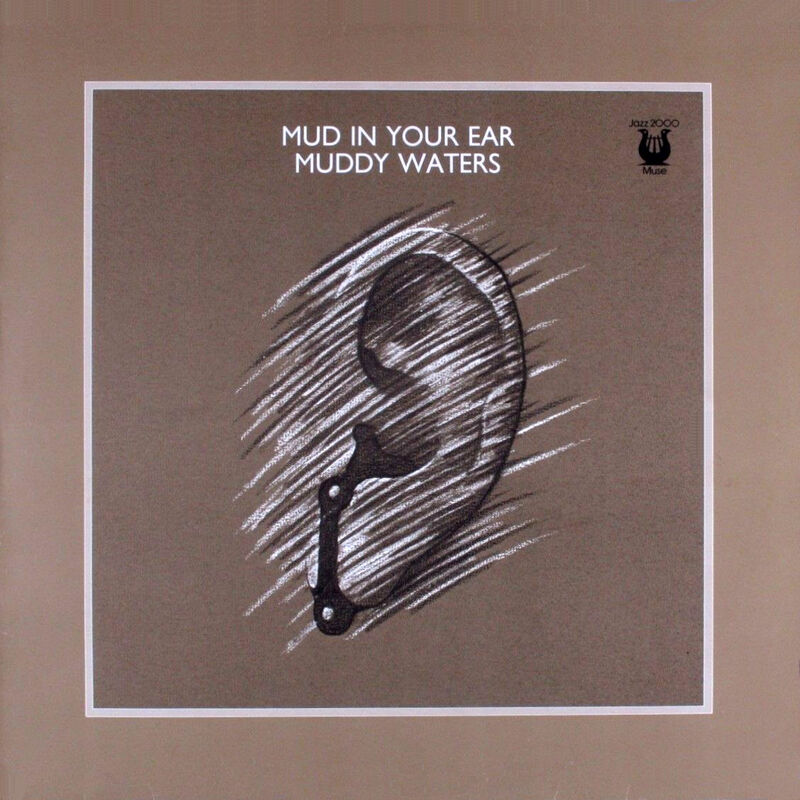 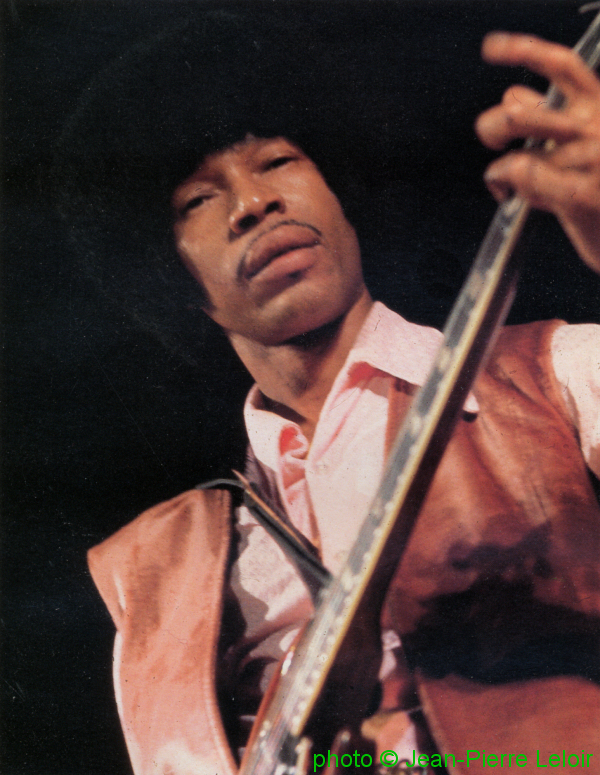 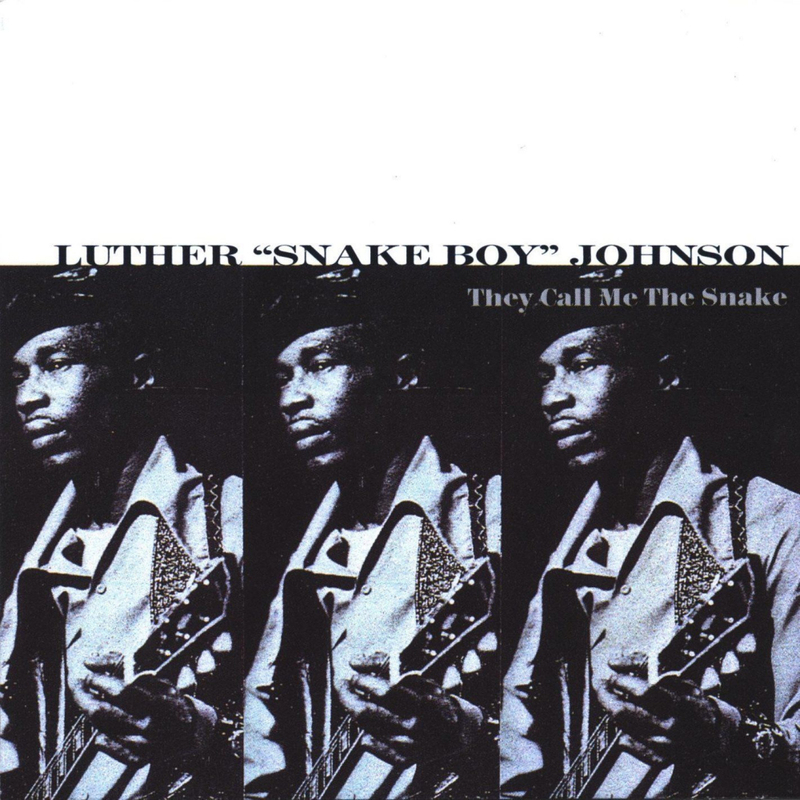 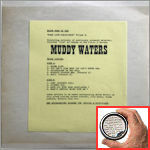 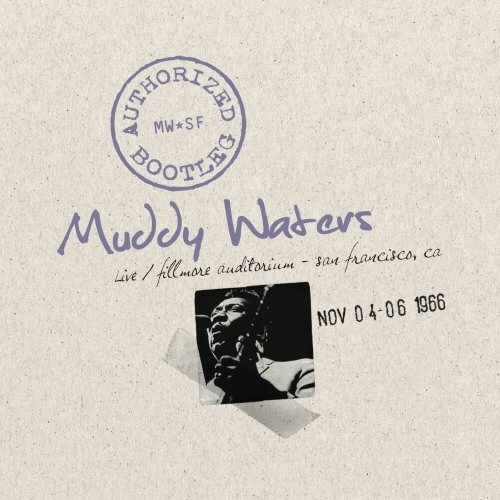 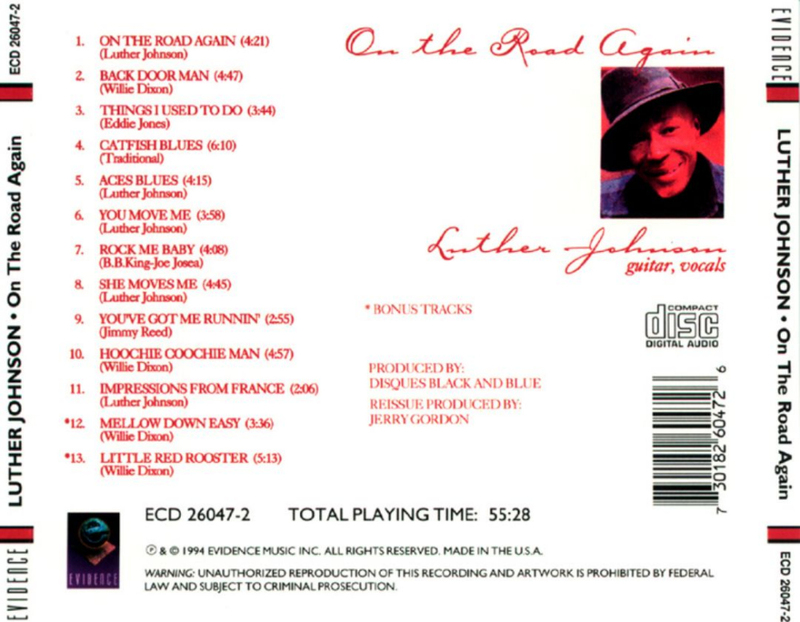 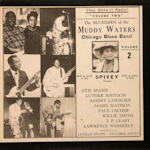 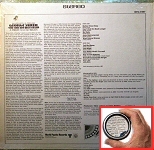 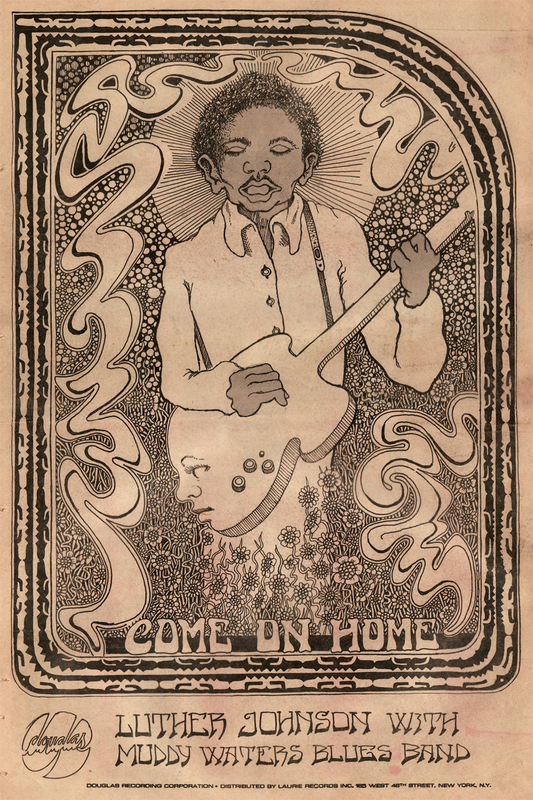 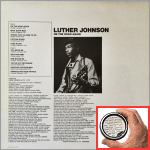 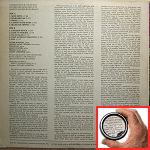 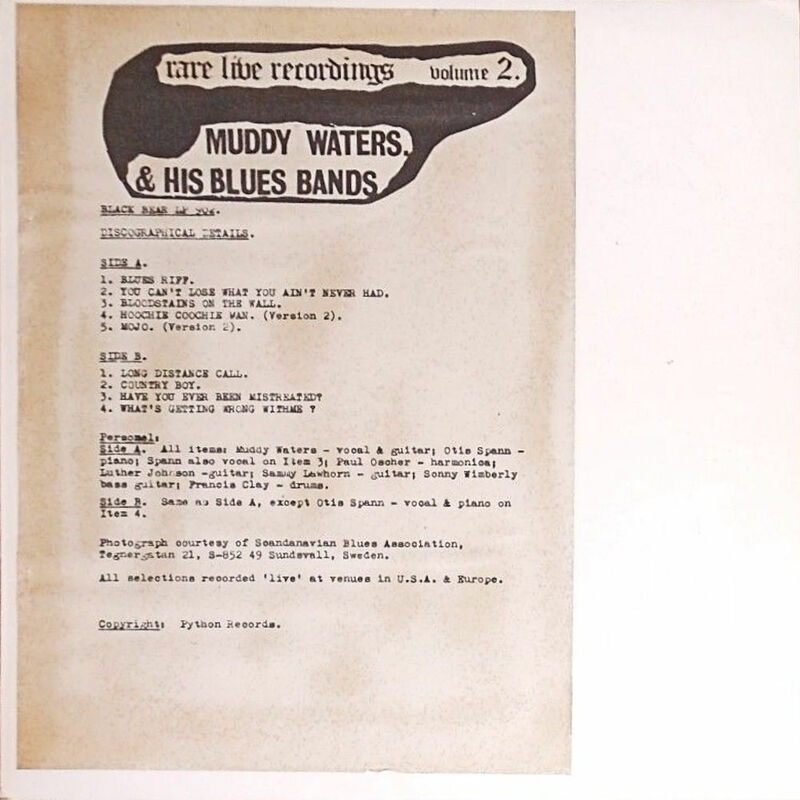 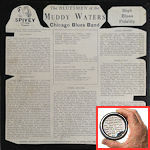 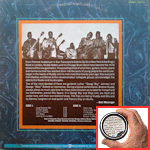 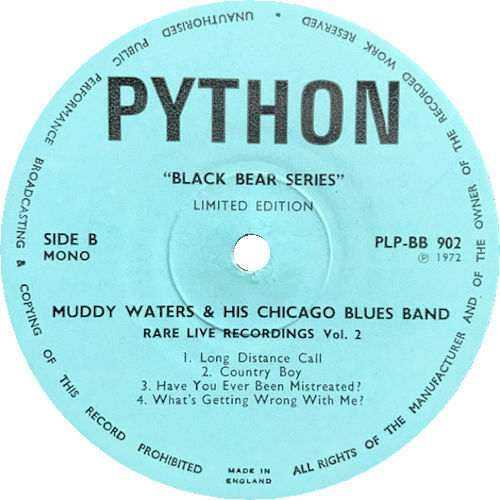 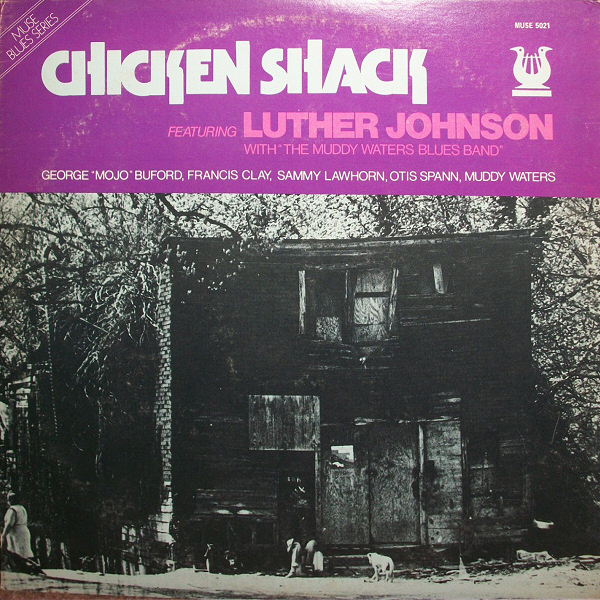 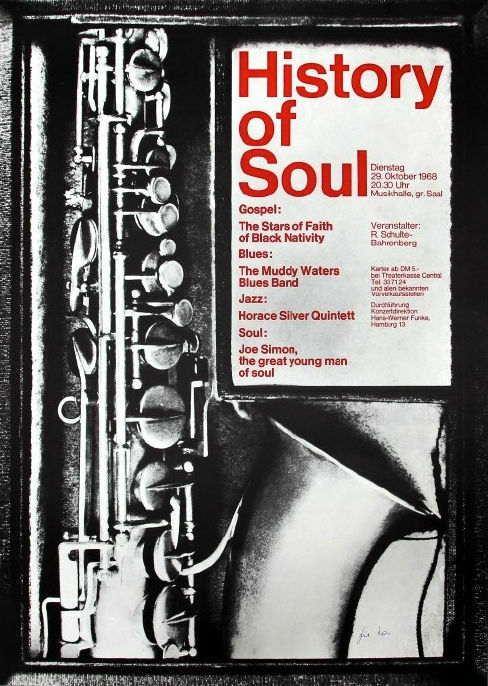 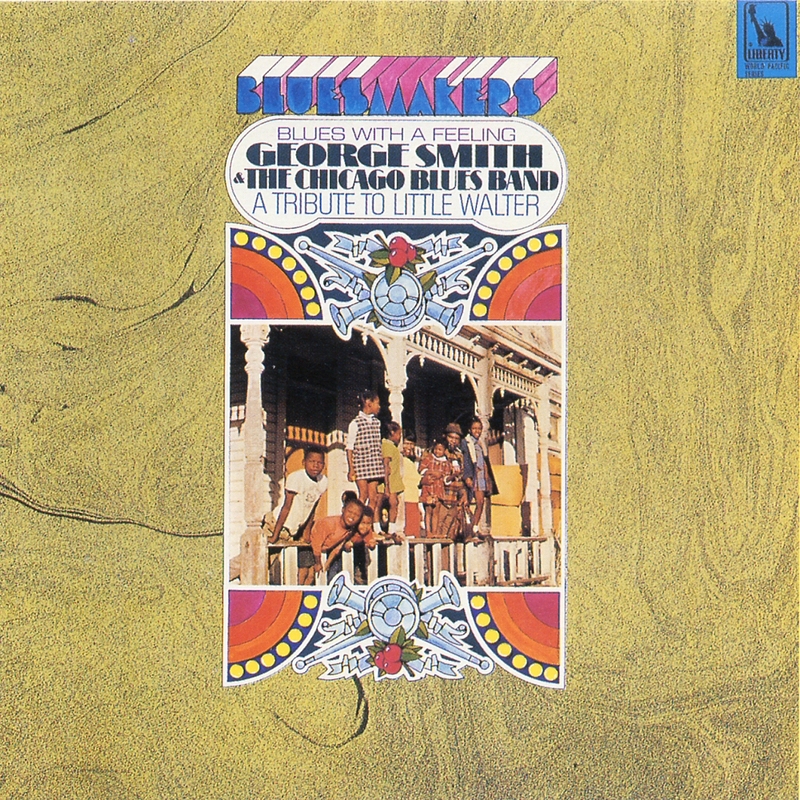 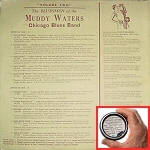 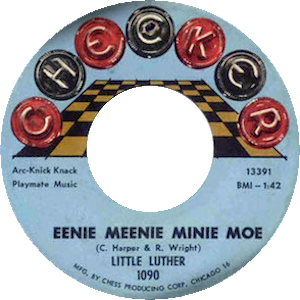 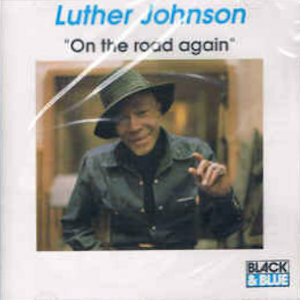 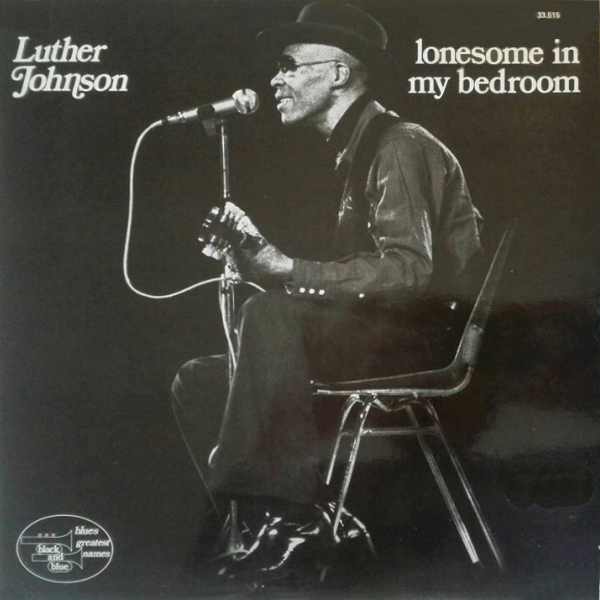 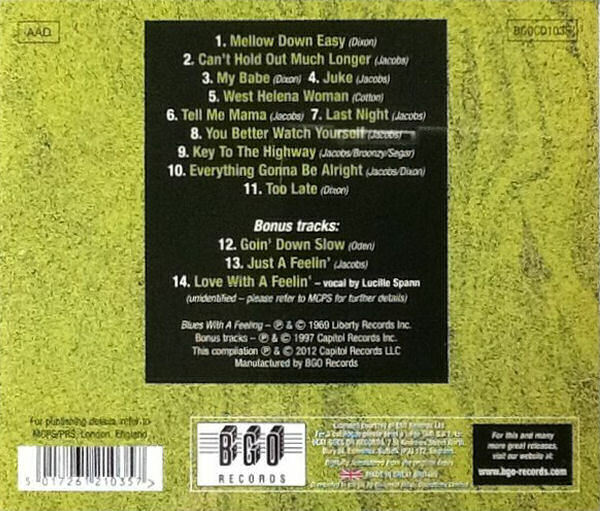 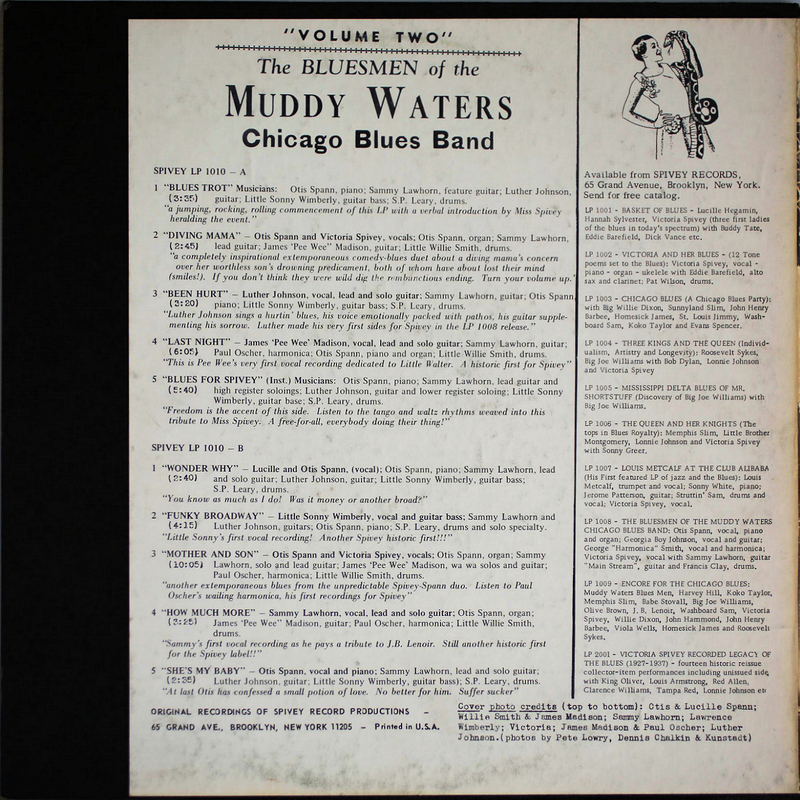 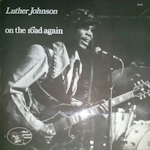 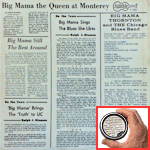 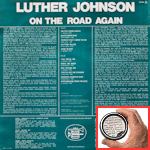 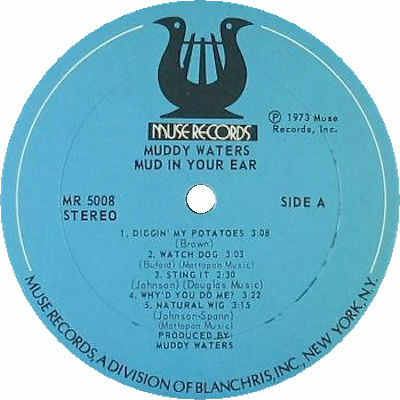 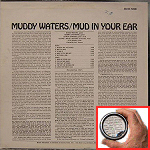 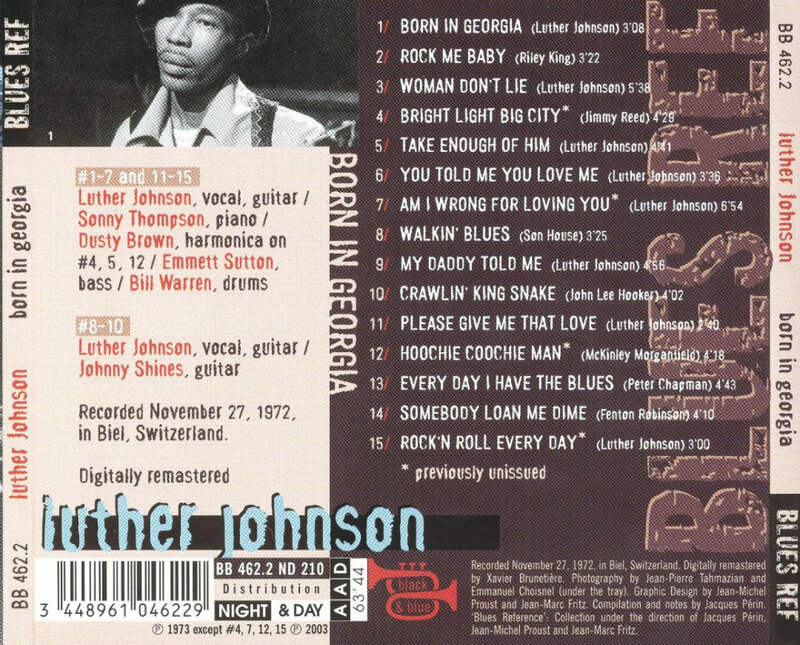 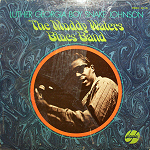 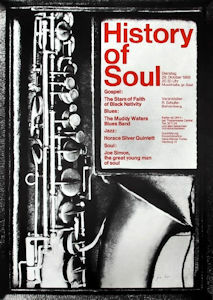 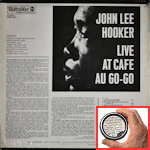 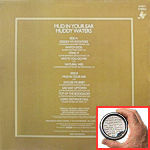 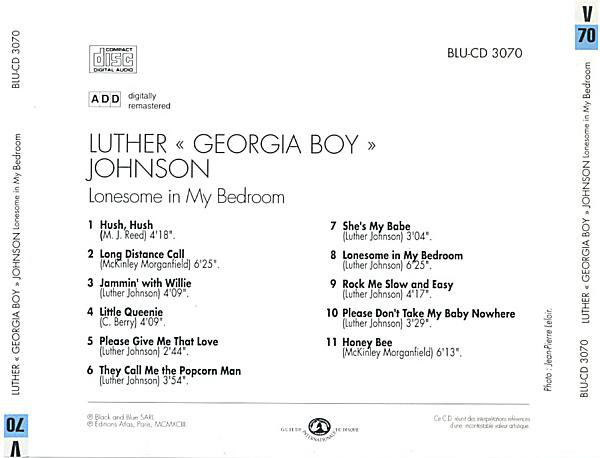 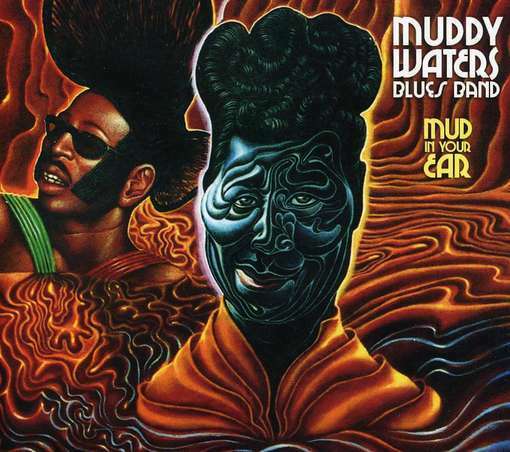 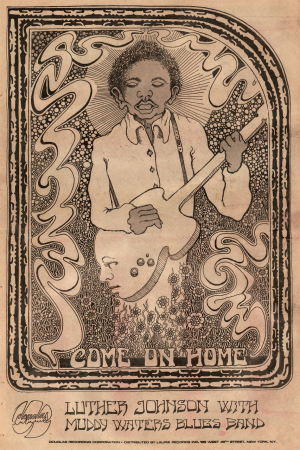 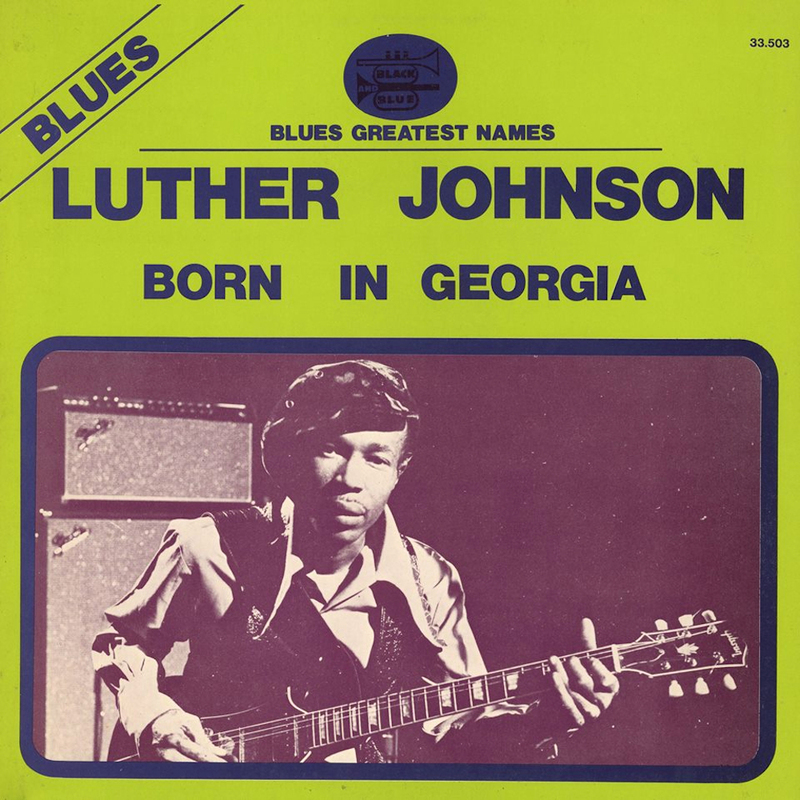 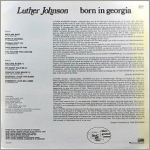 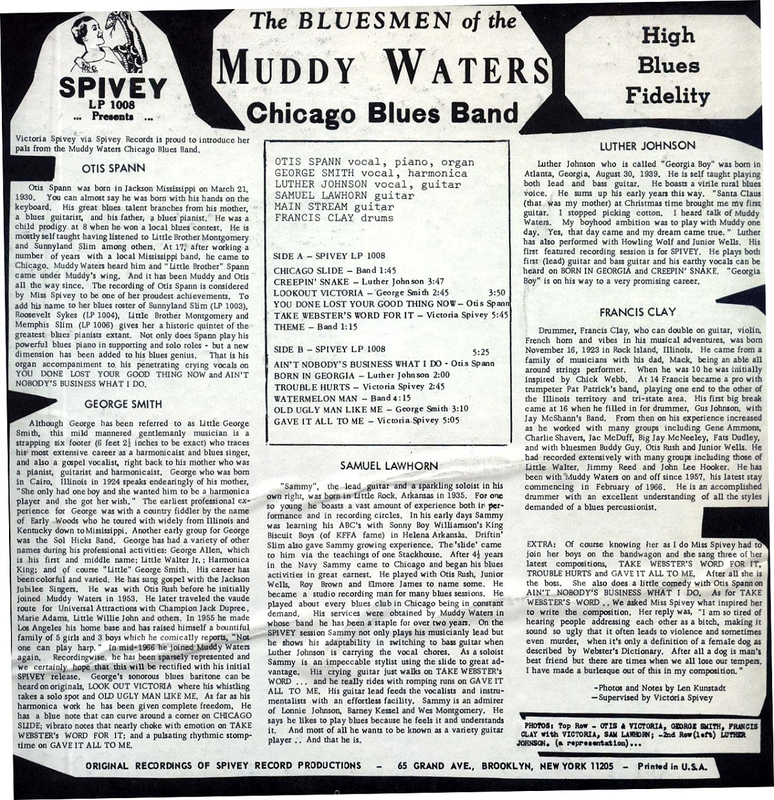 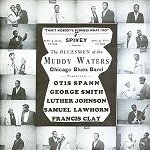 = Douglas SD 781 (Ca 1968) "Muddy Water [sic] Blues Band" on label side 1 - no mention of Luther Johnson on both labels! 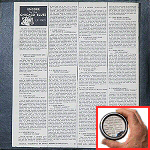 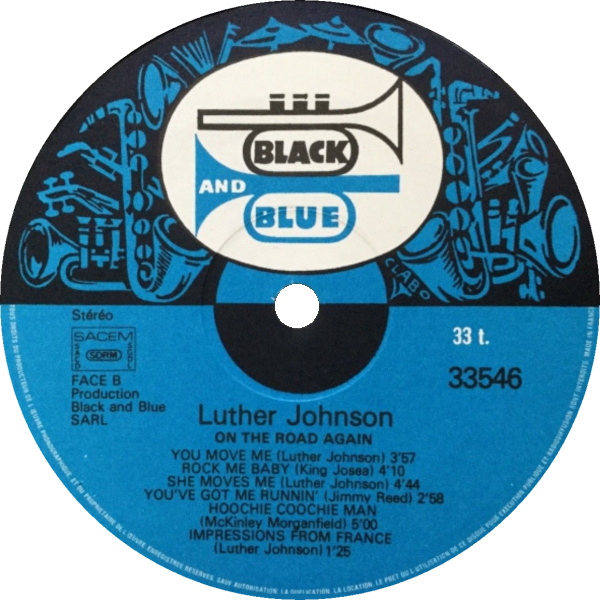 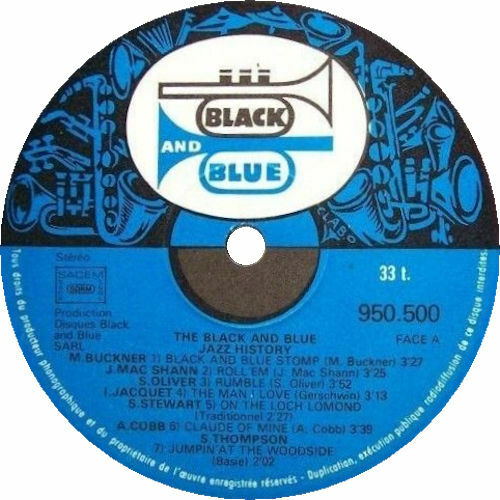 = Black & Blue 33.541 (Fr 197?) 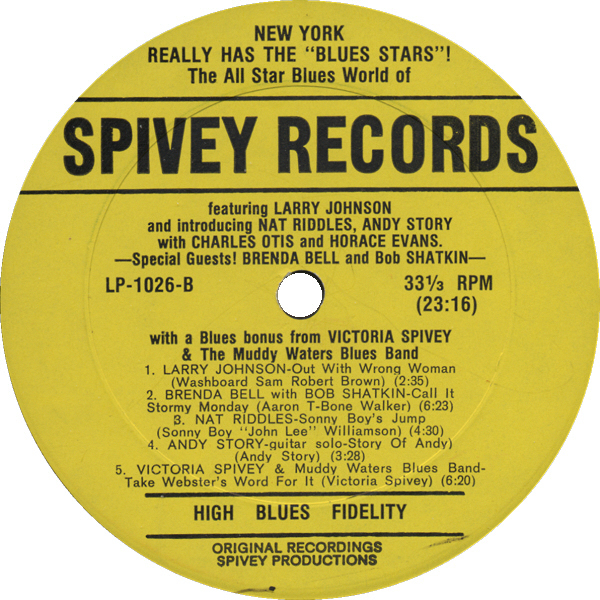 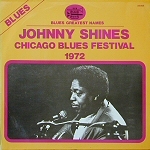 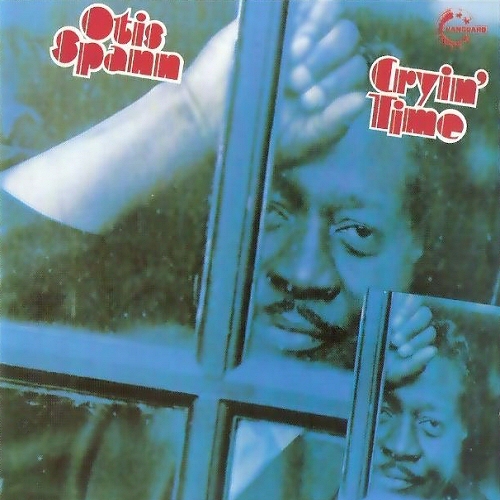 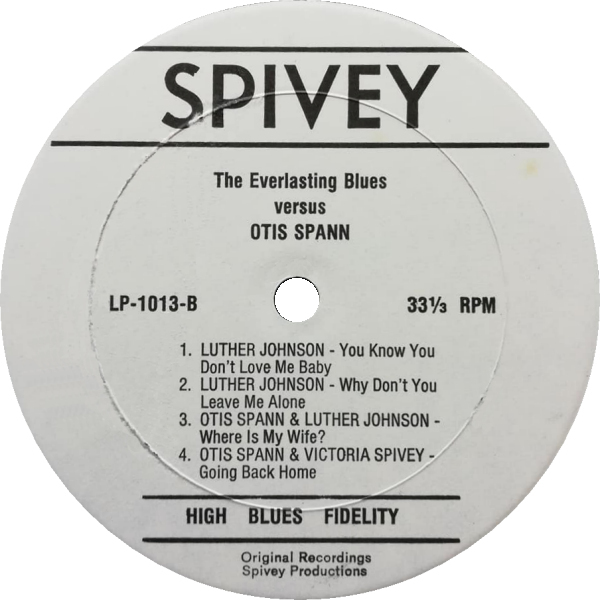 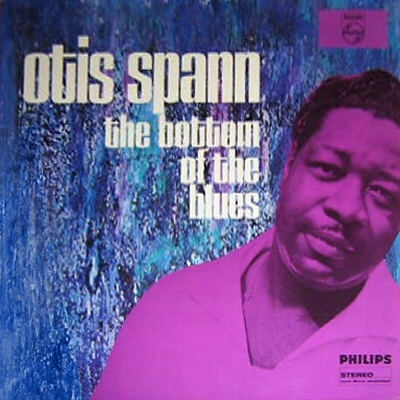 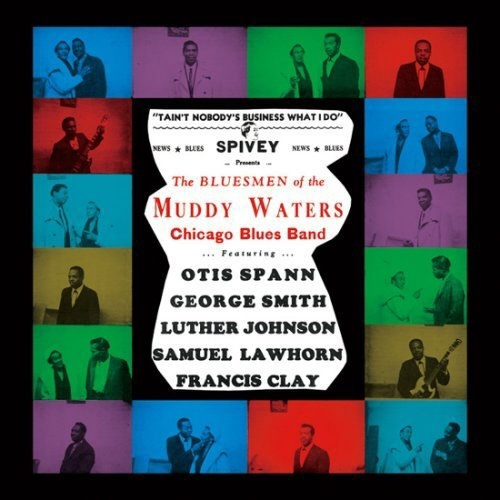 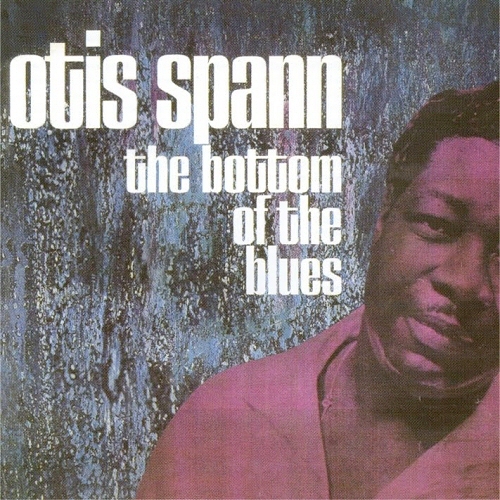 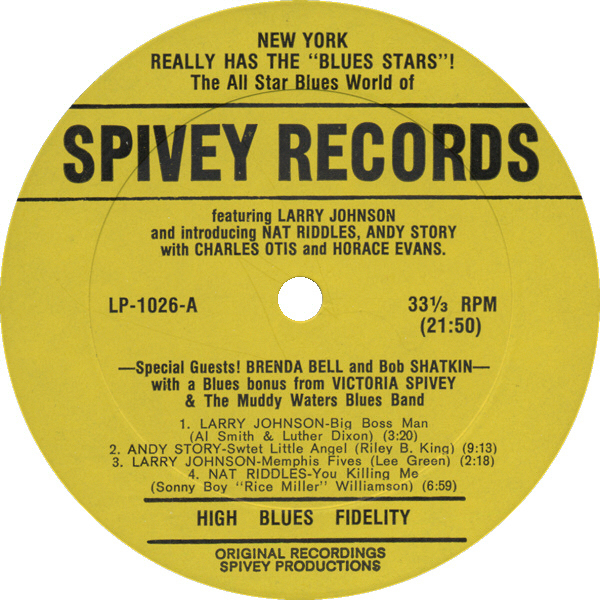 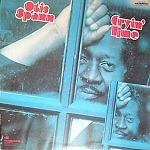 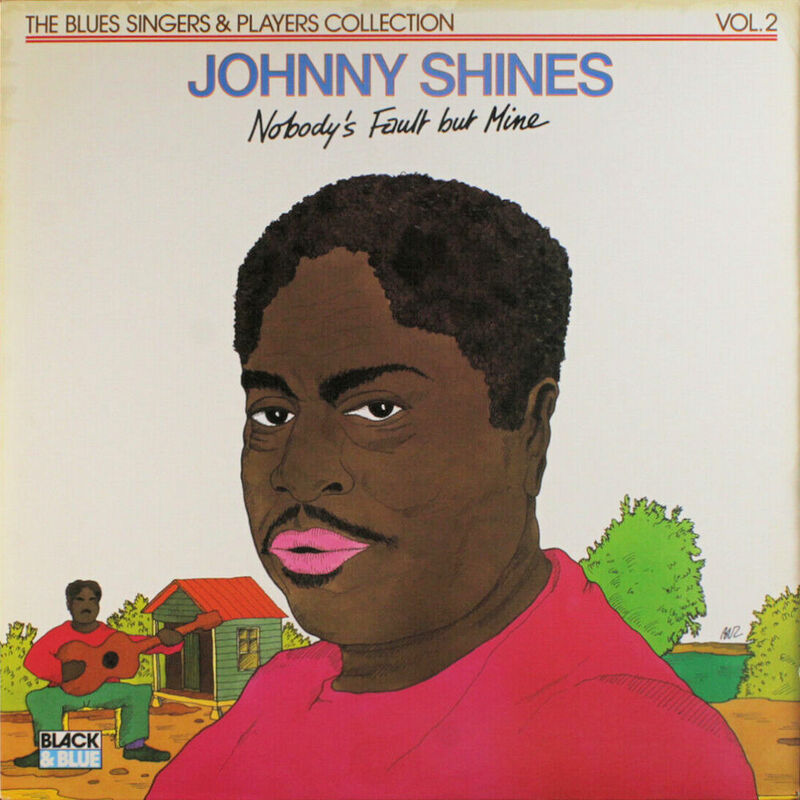 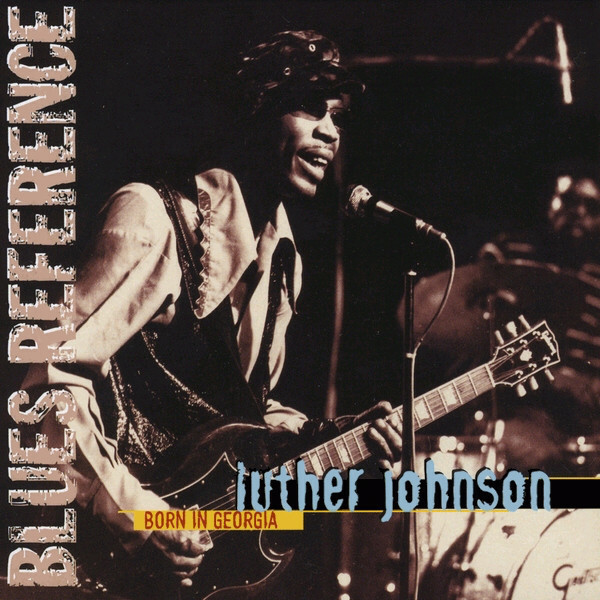 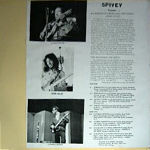 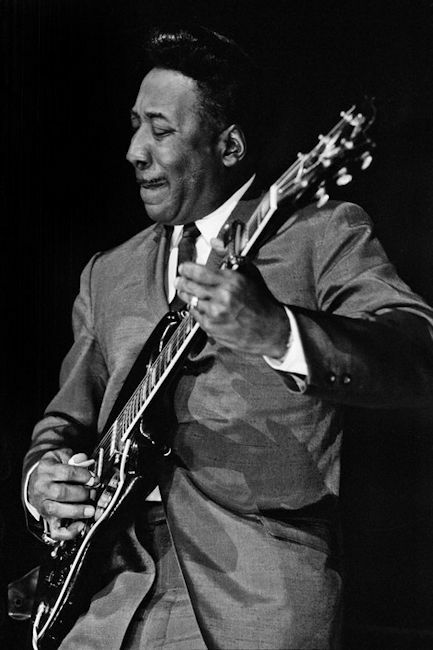 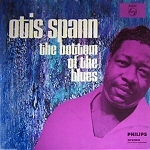 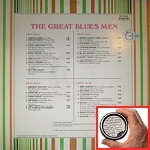 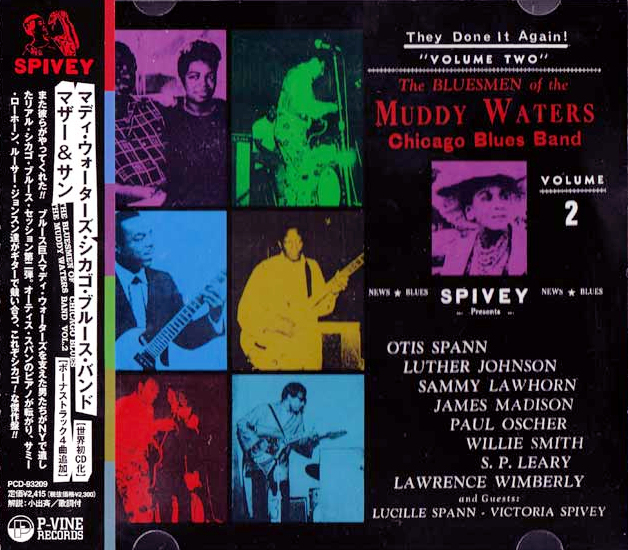 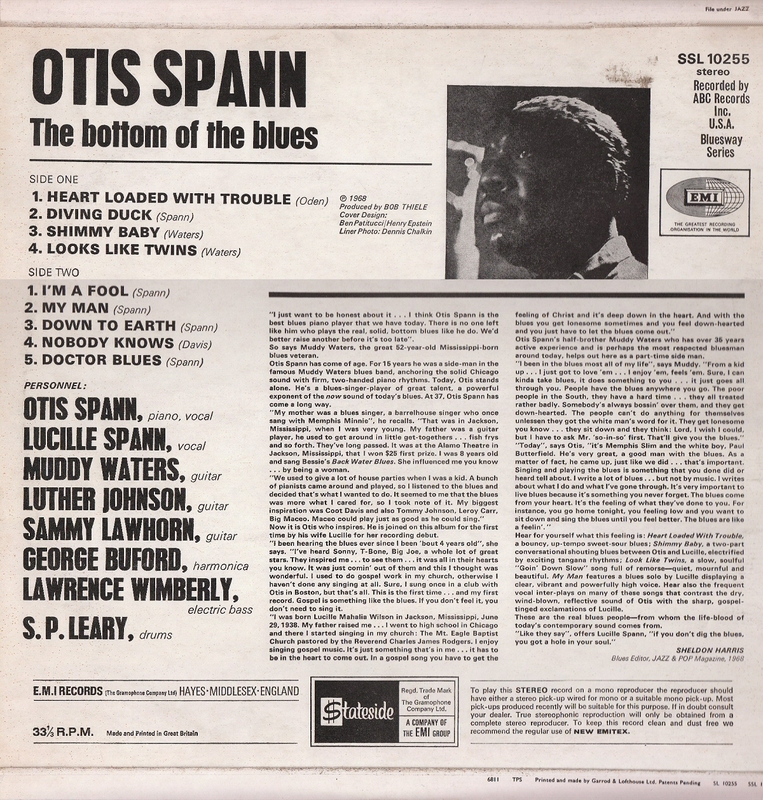 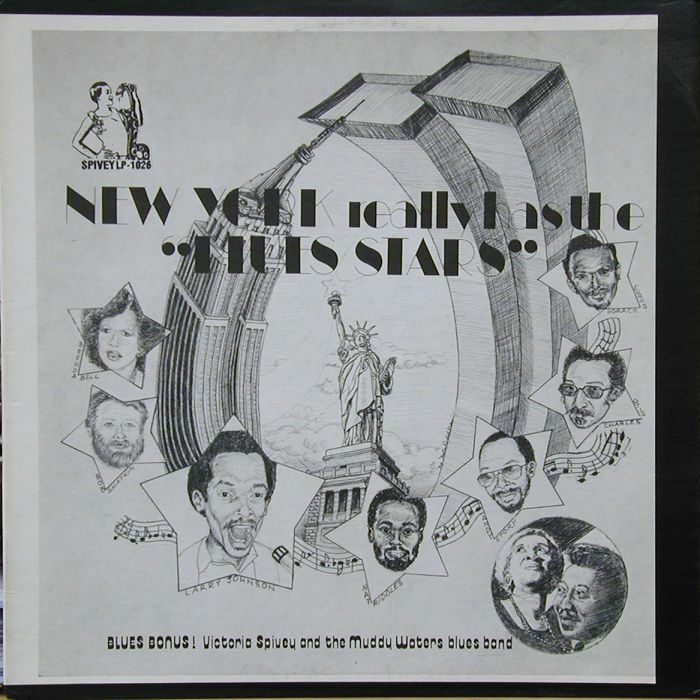 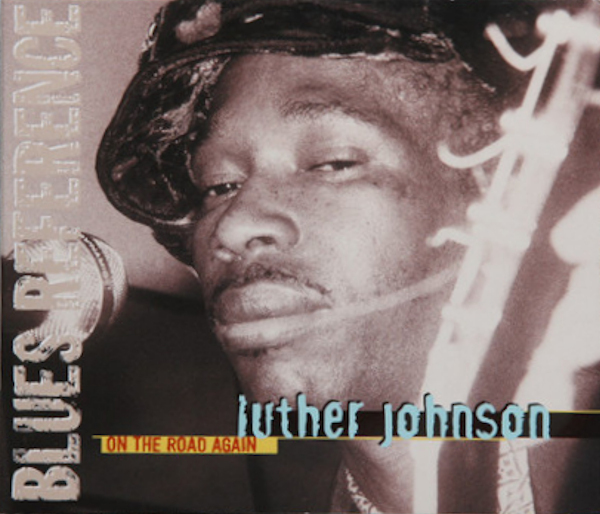 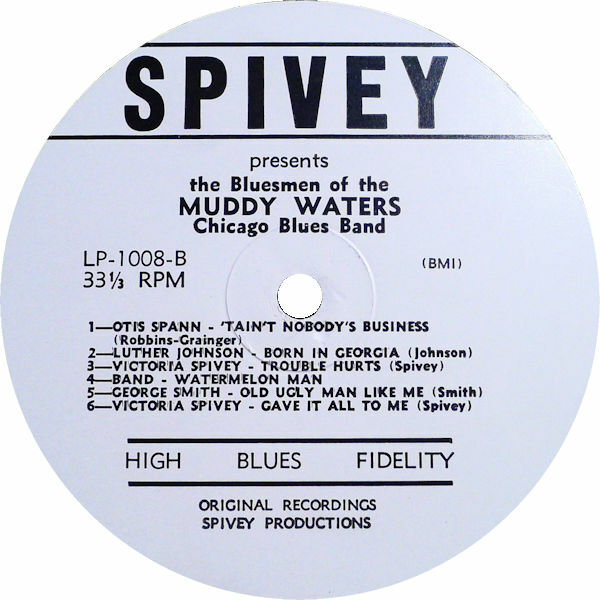 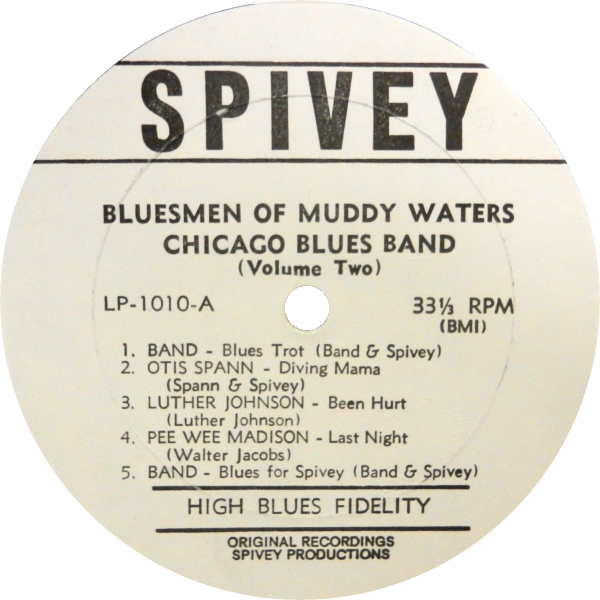 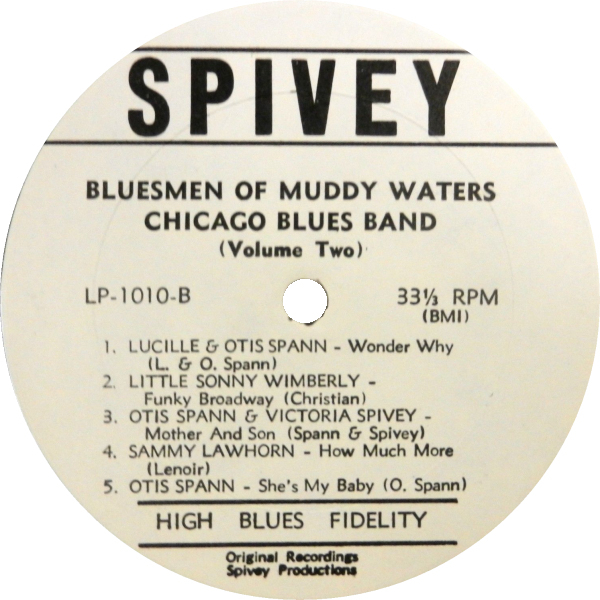 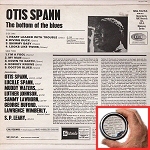 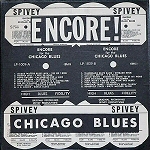 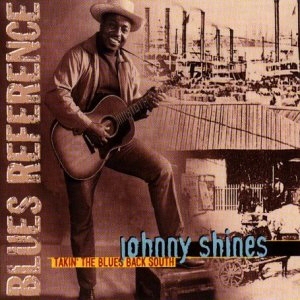 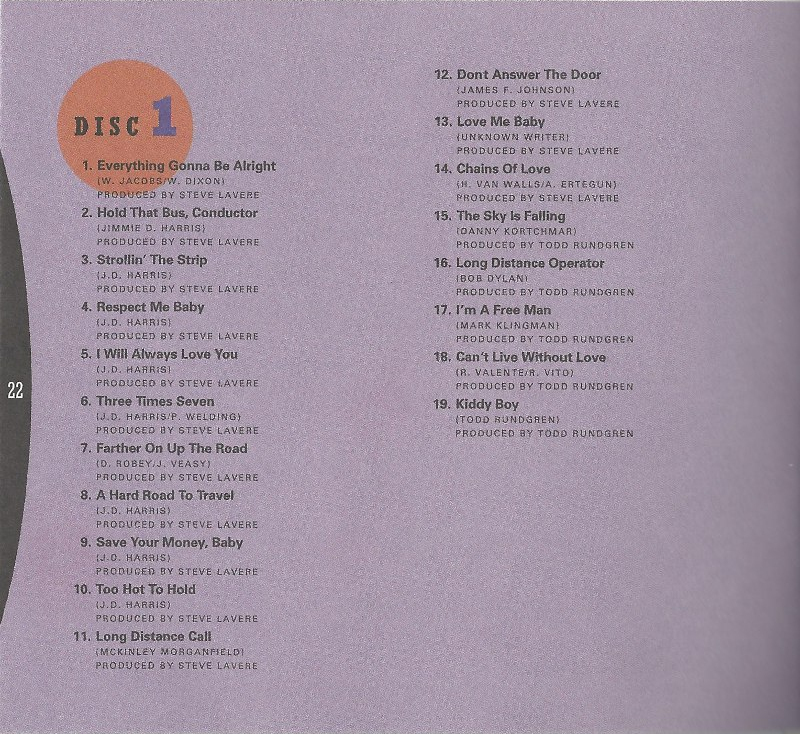 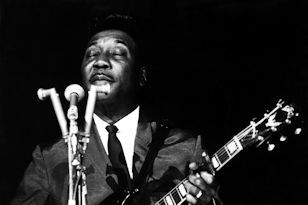 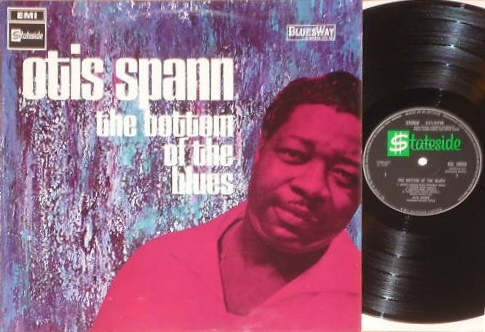 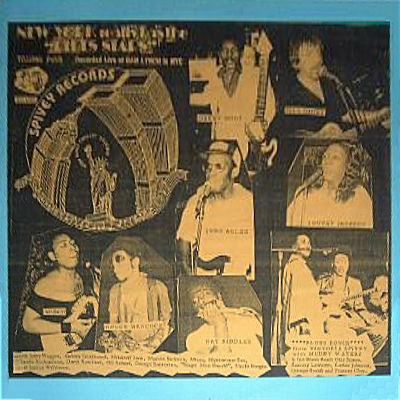 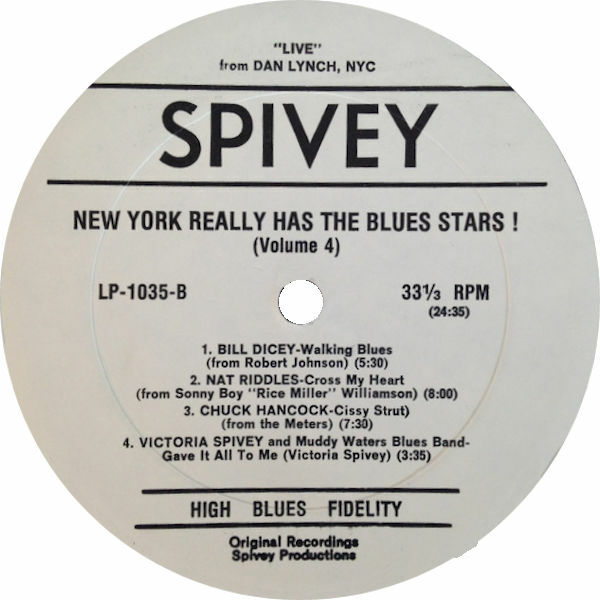 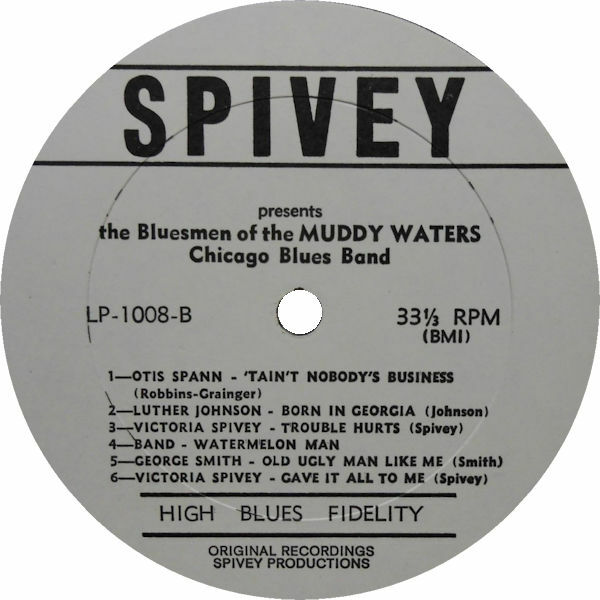 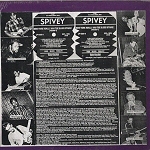 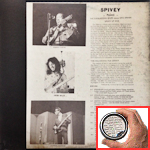 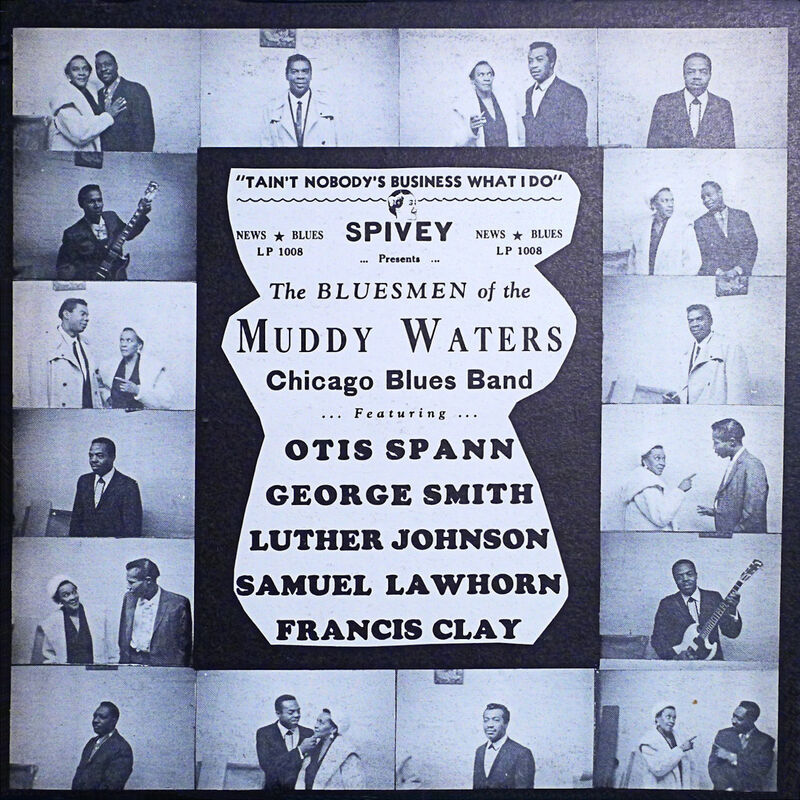 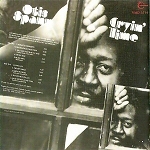 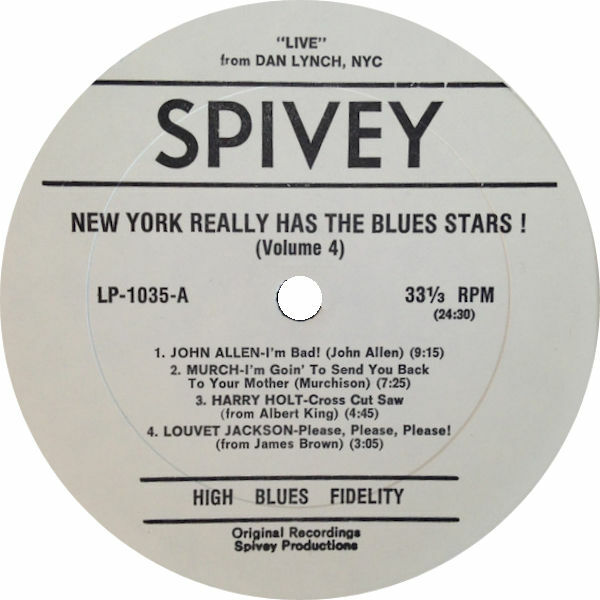 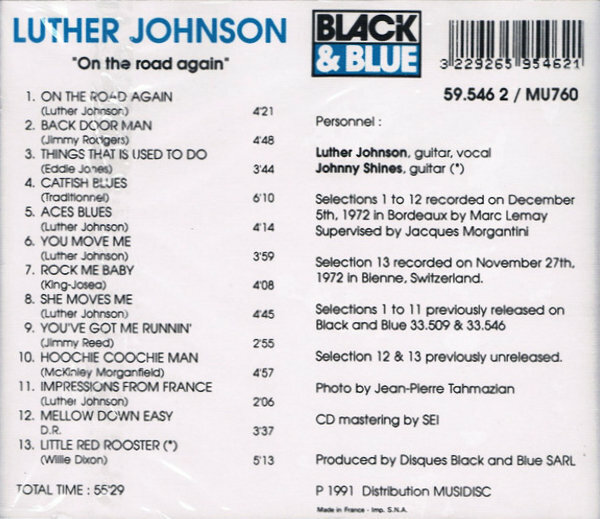 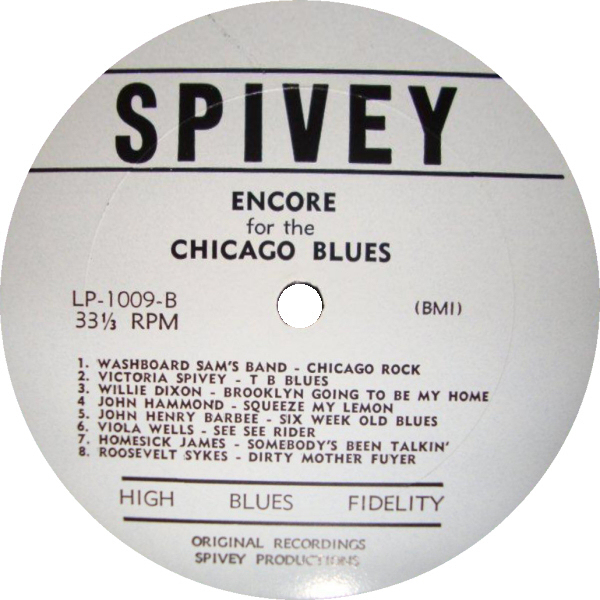 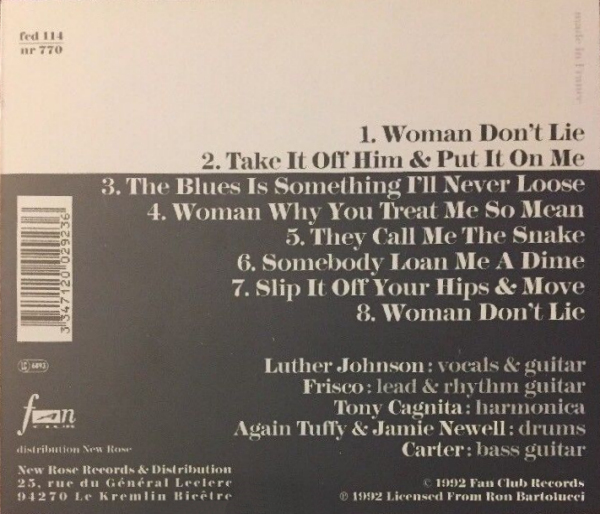 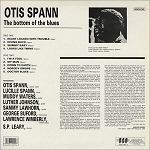 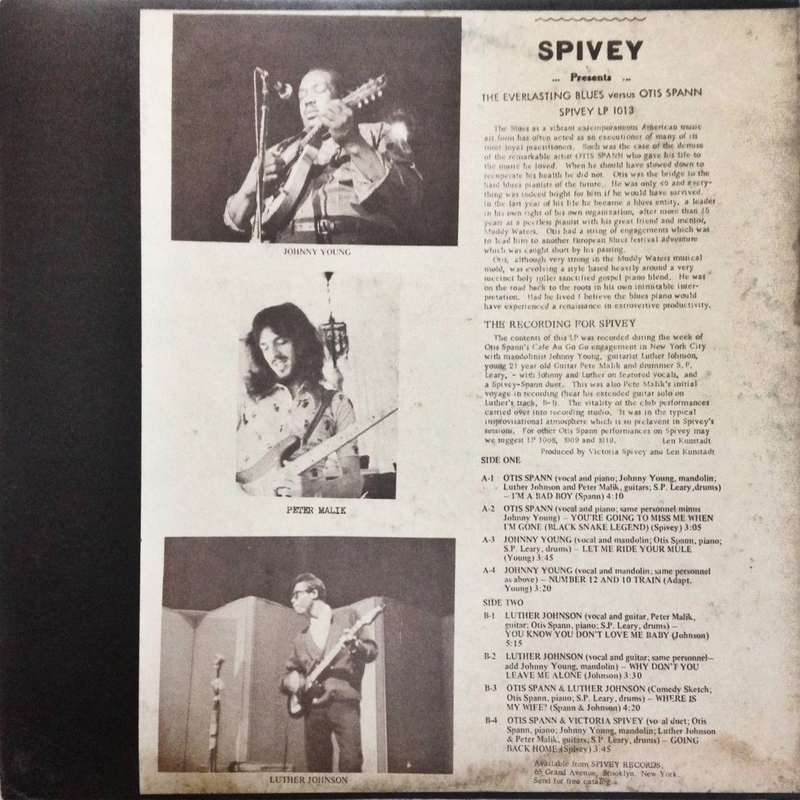 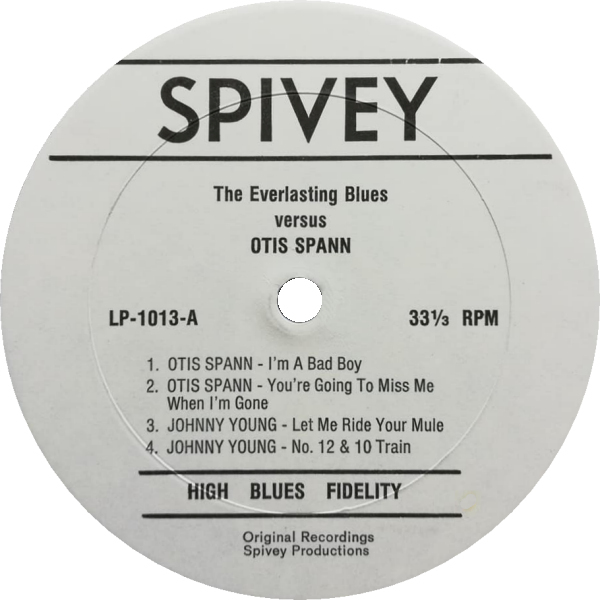 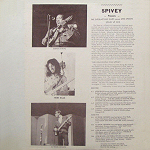 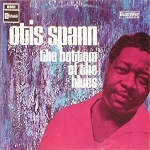 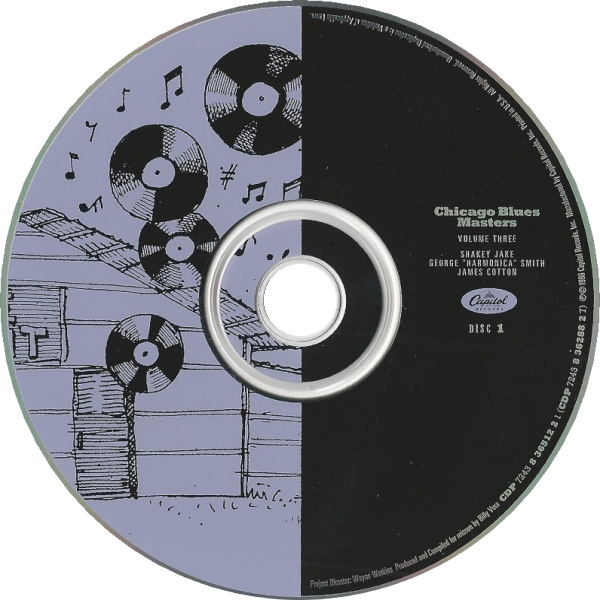 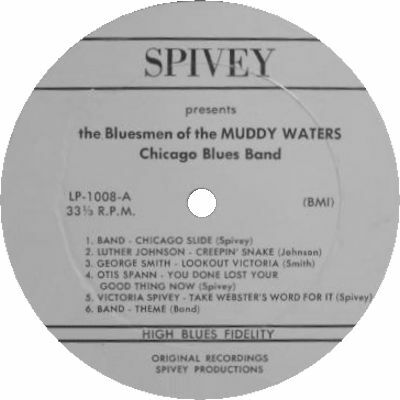 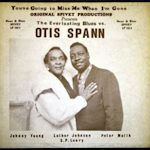 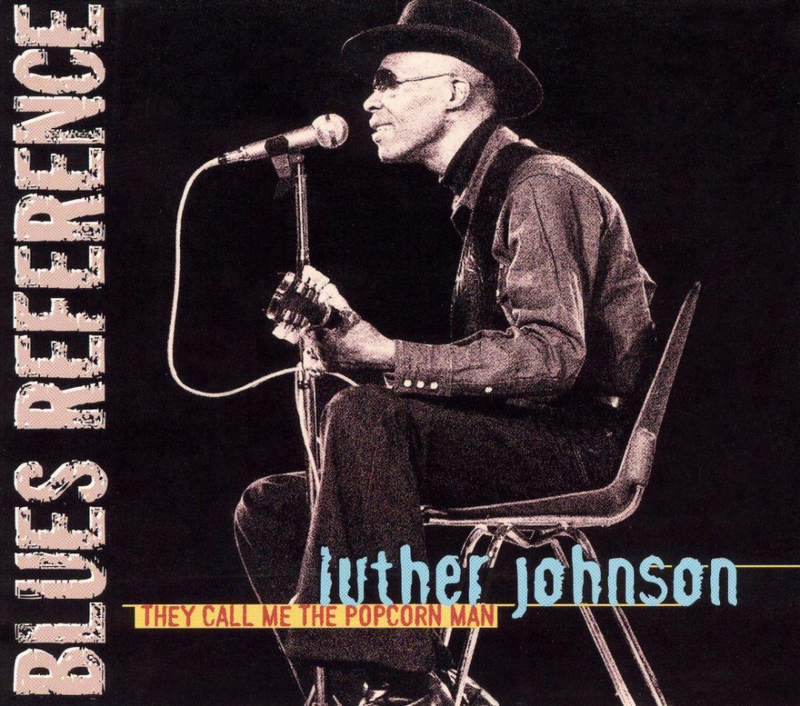 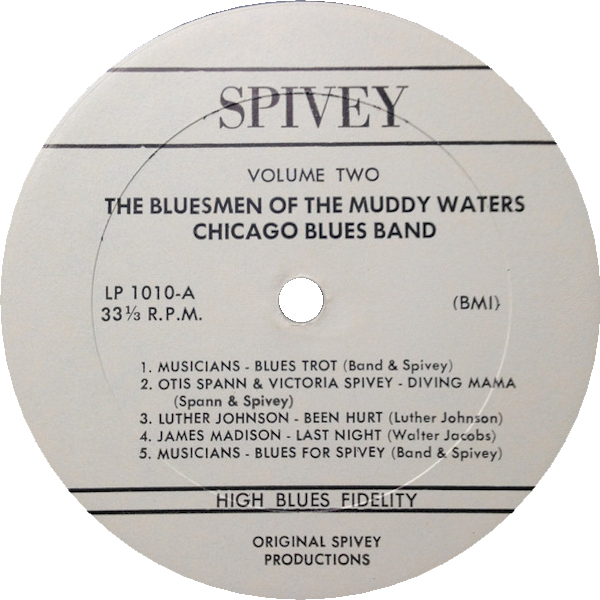 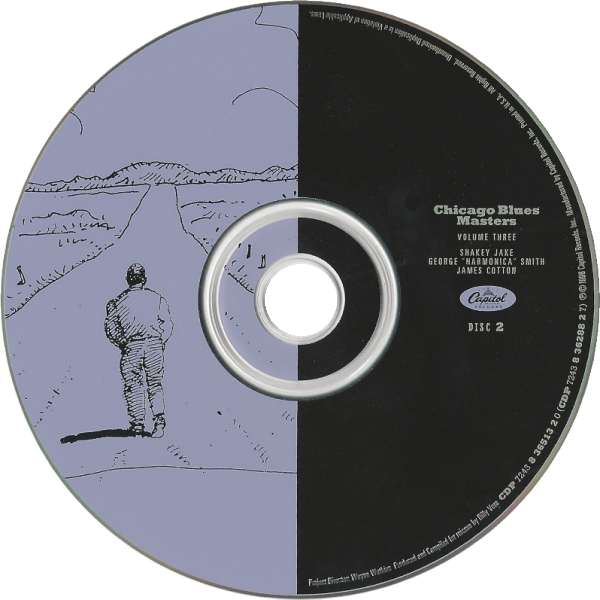 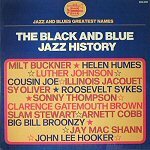 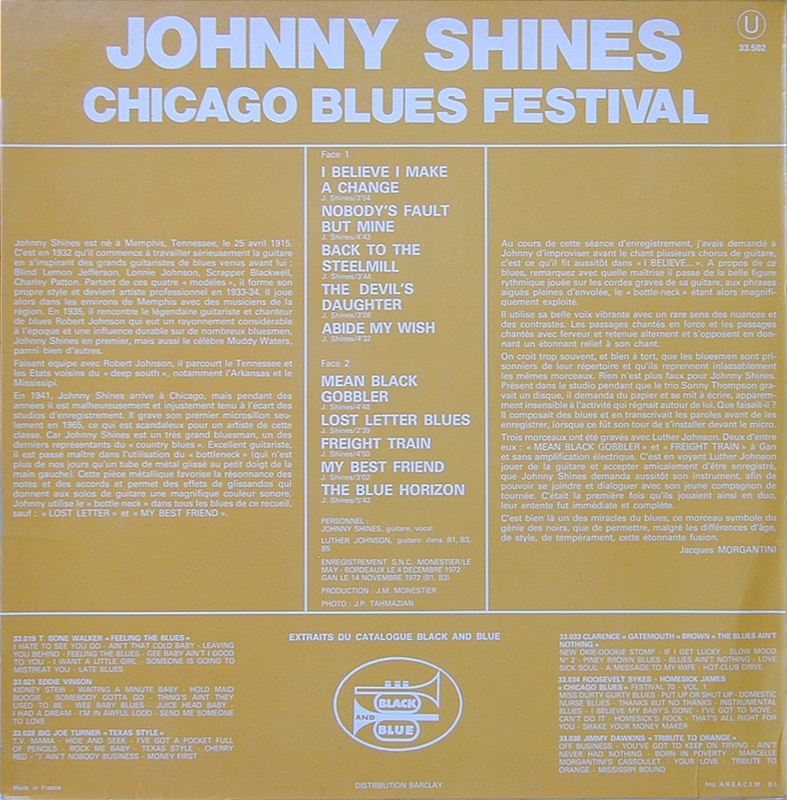 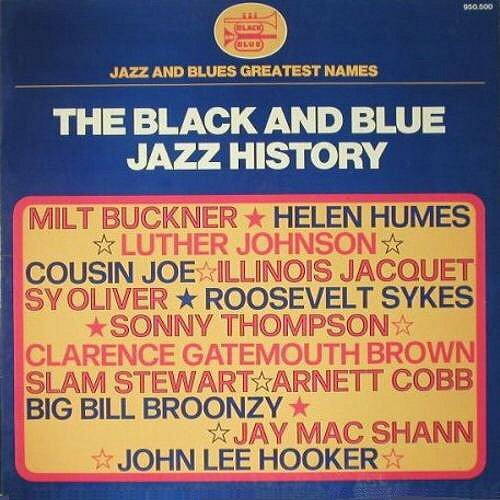 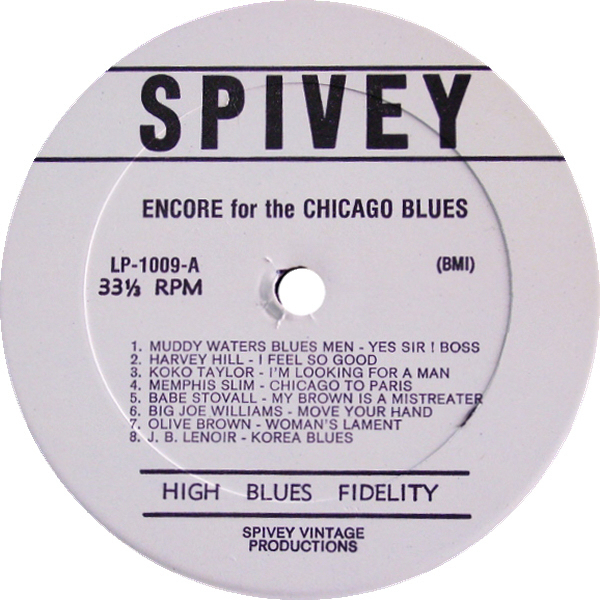 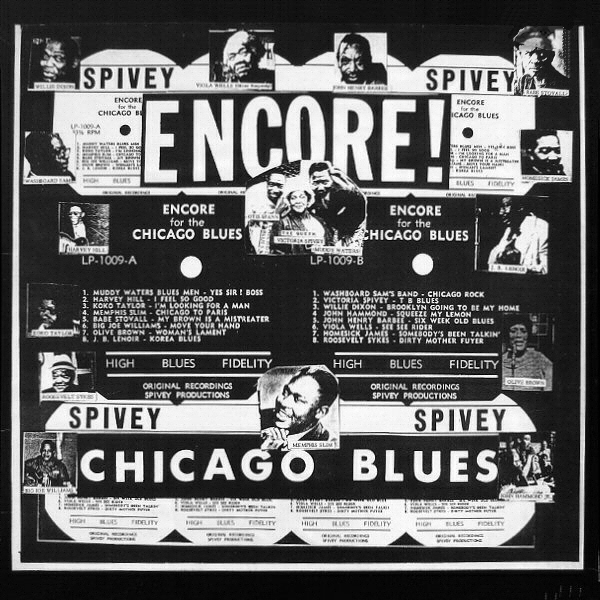 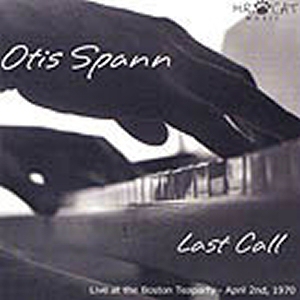 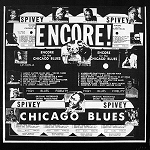 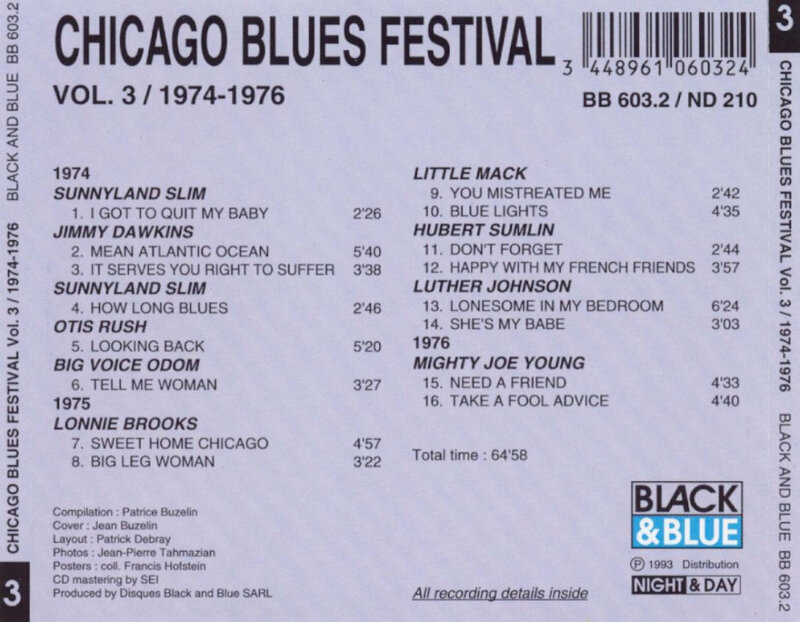 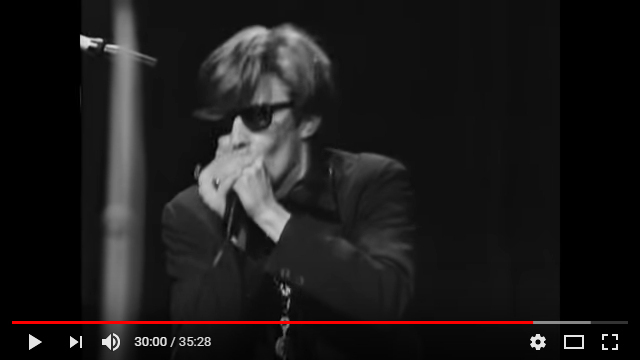 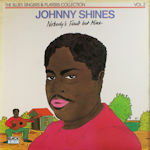 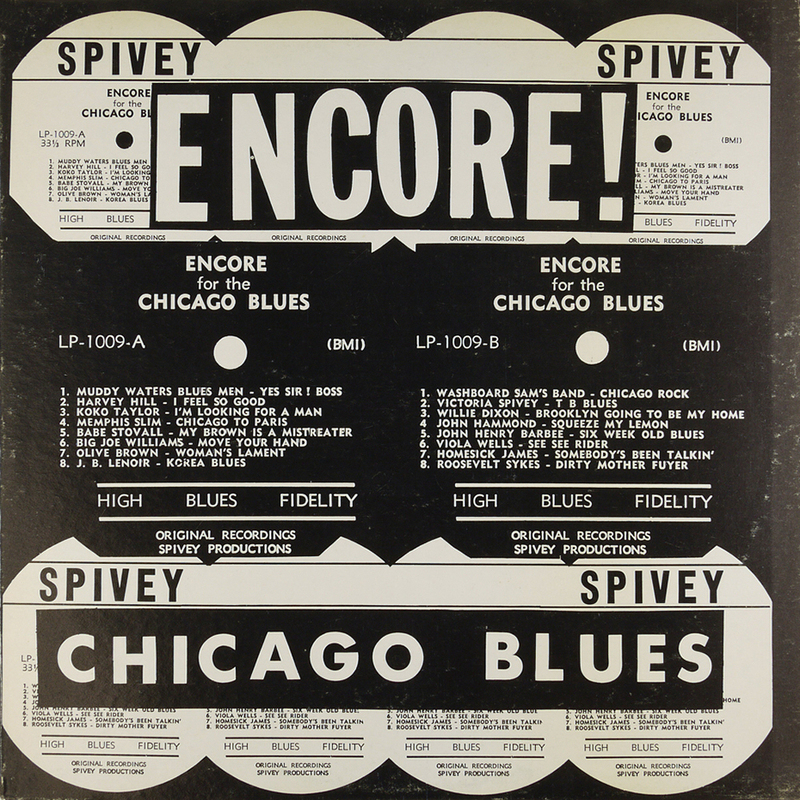 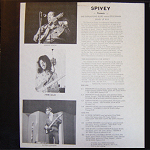 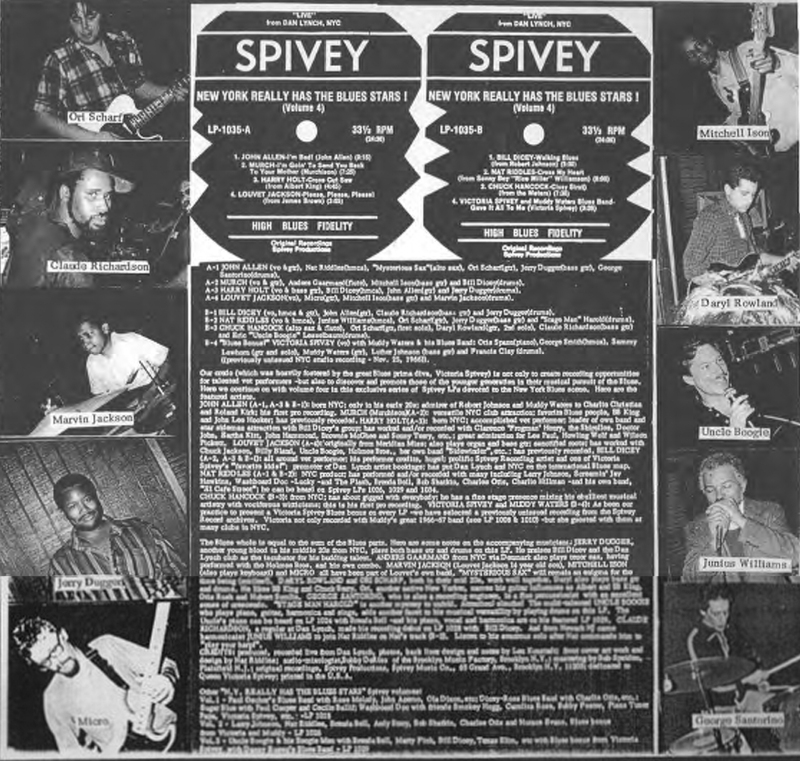 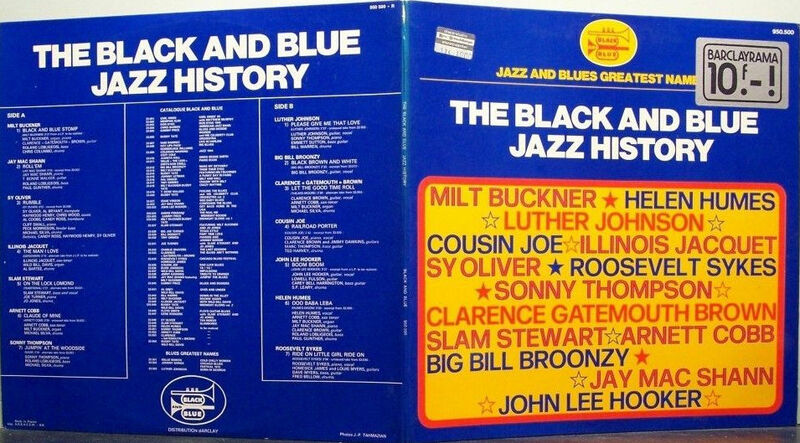 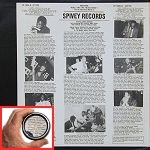 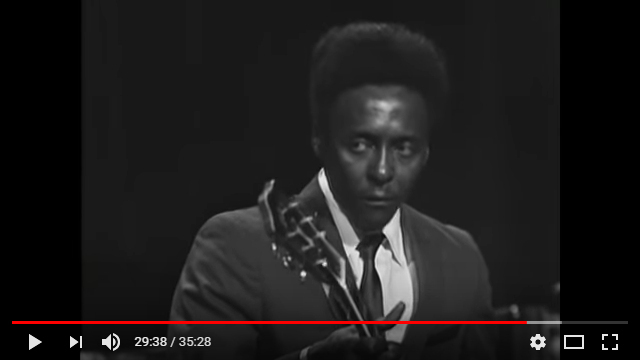 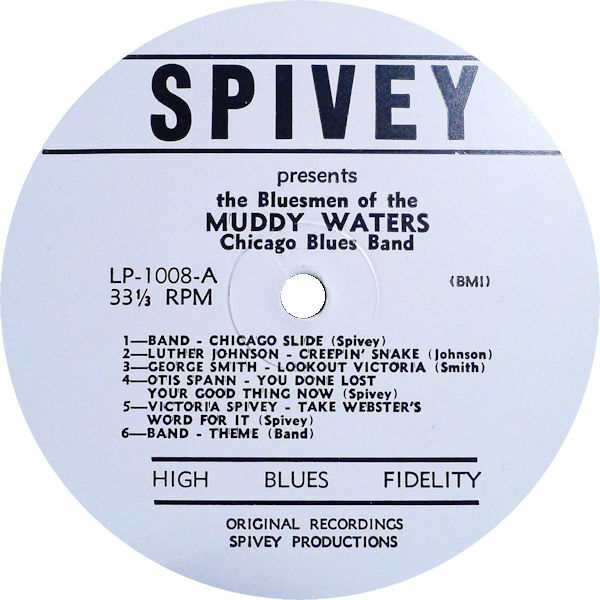 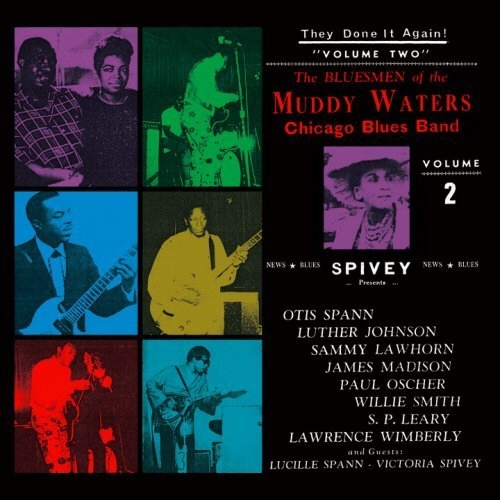 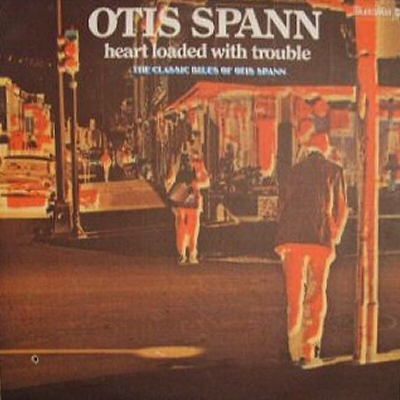 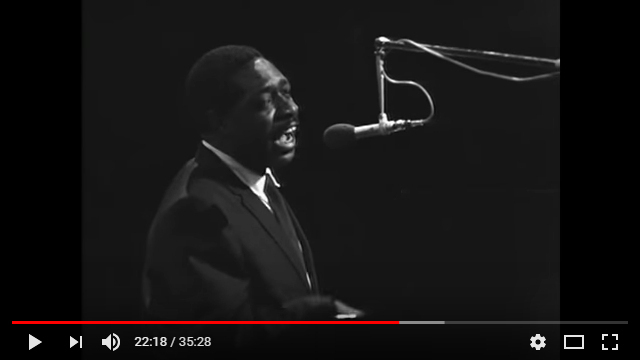 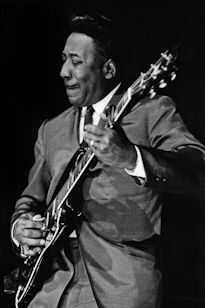 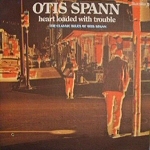 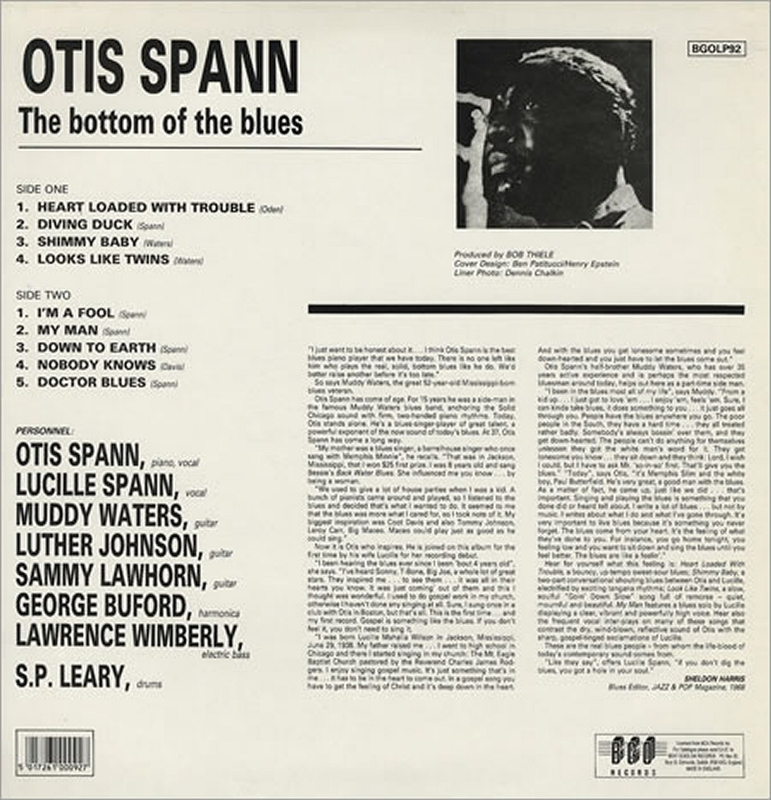 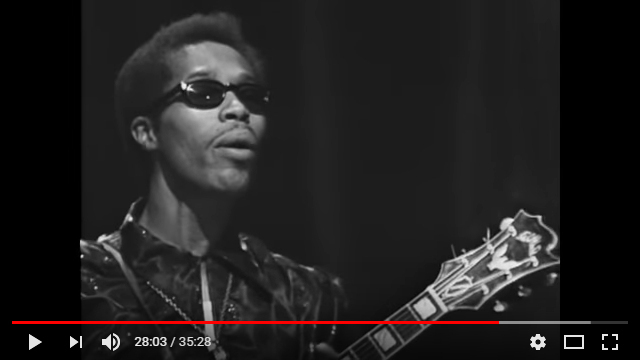 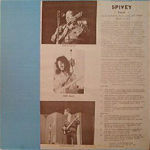 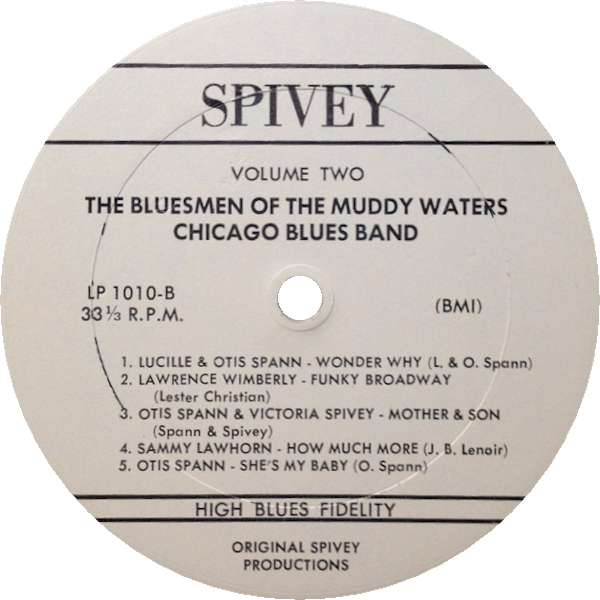 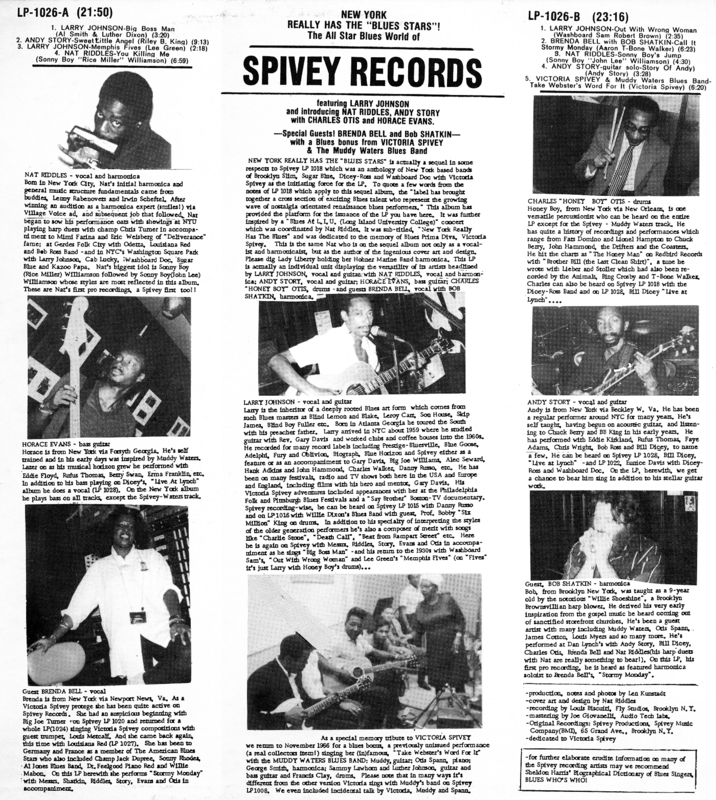 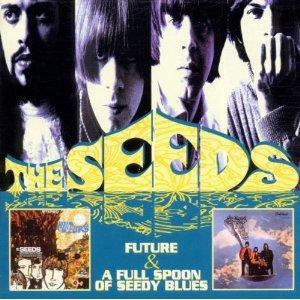 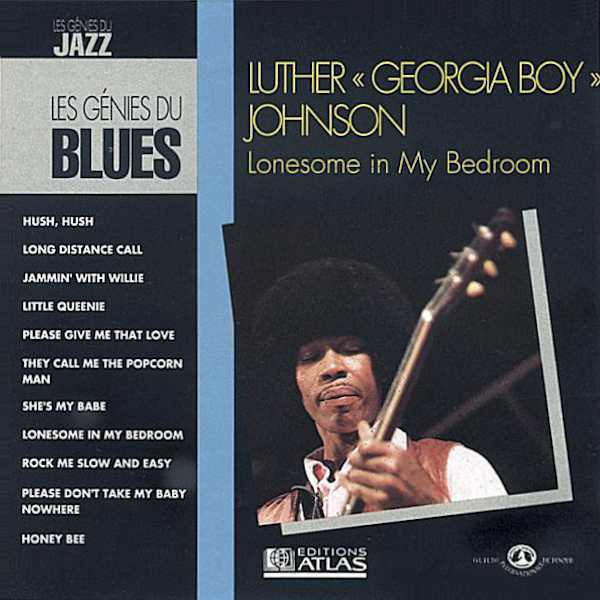 "Nobody's Fault But Mine"
= Black & Blue CD BB 437-2 (Fr 2002) ("Blues Reference") "Taking The Blues Back South"
21 1981 New York Really Has The "Blues Stars"
source: Front cover of Spivey LP 1008 (US 1966) "The Bluesmen of the Muddy Waters Chicago Blues Band"
October / November 1968 European tour, billed as "The Story of Soul"
December 1975 French tour, billed as "Chicago Blues Festival"